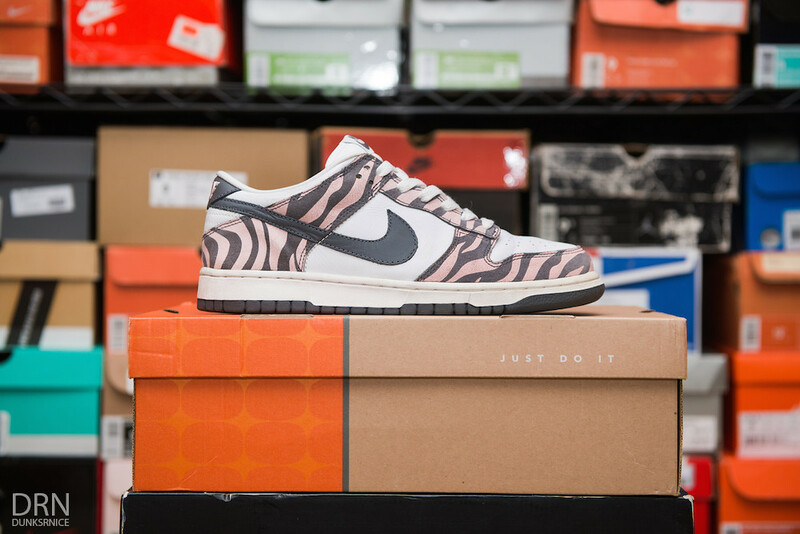 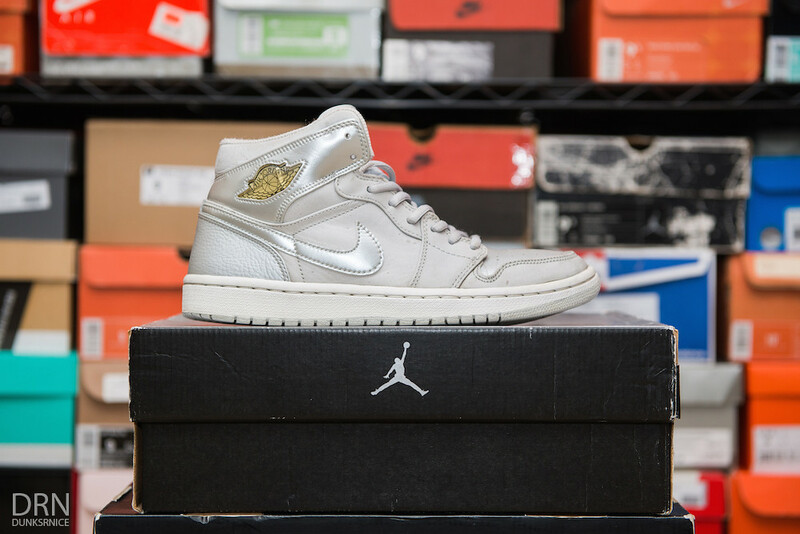 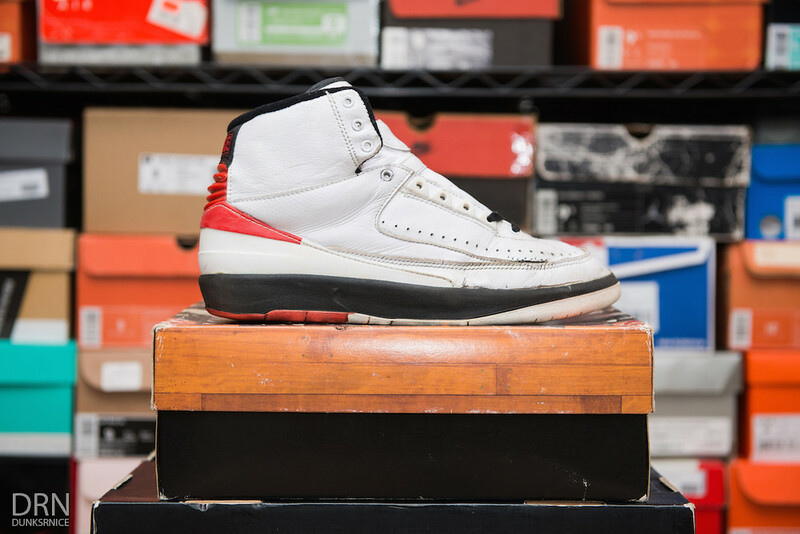 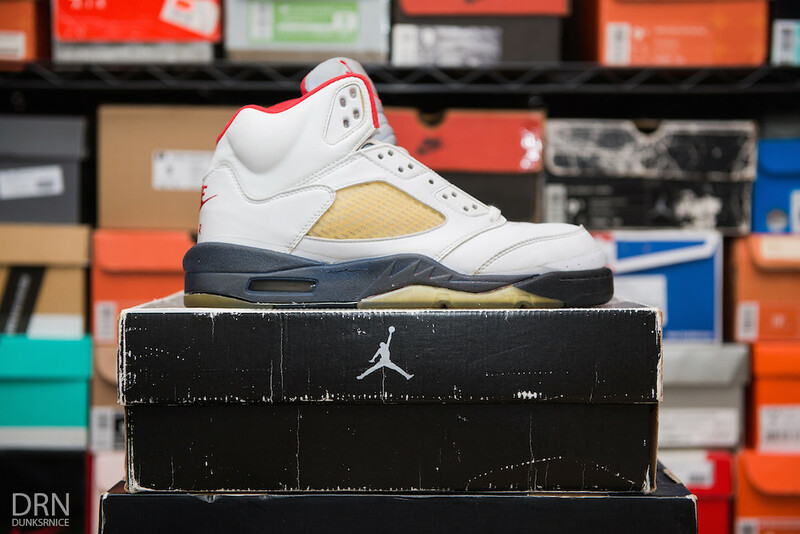 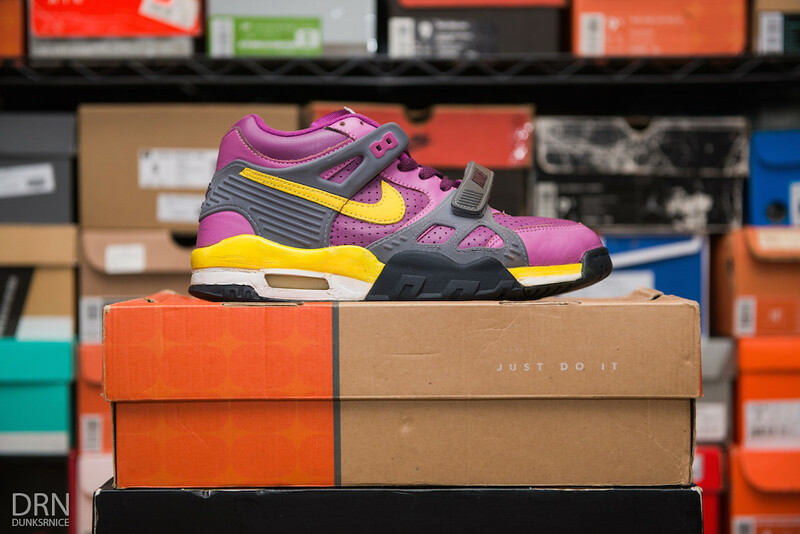 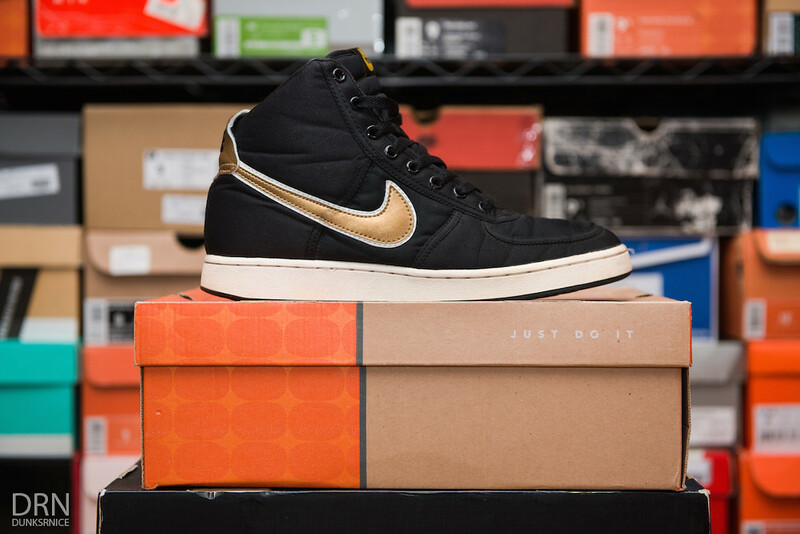 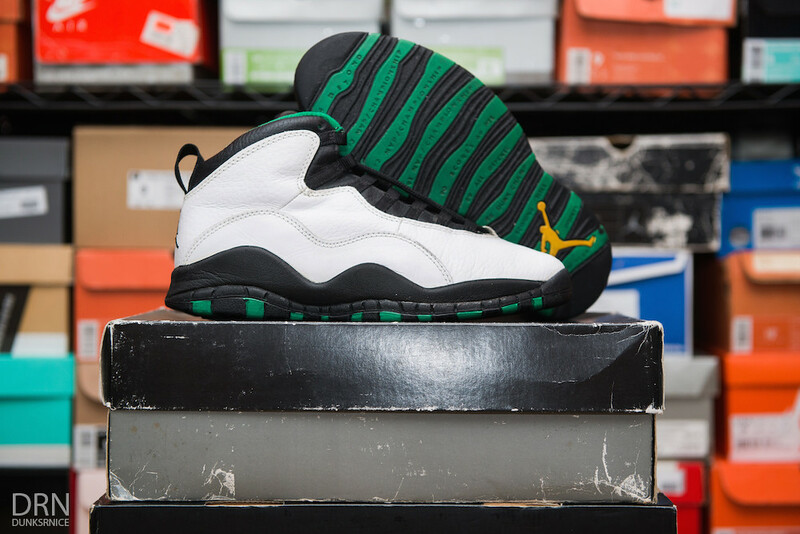 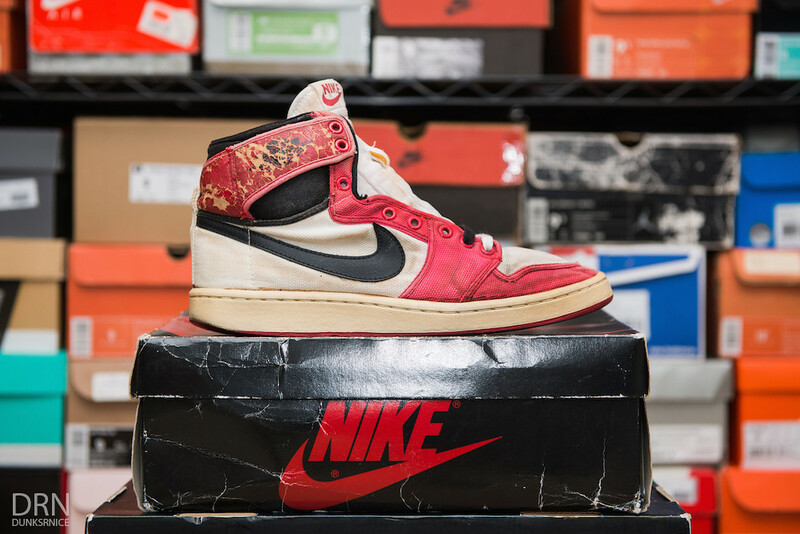 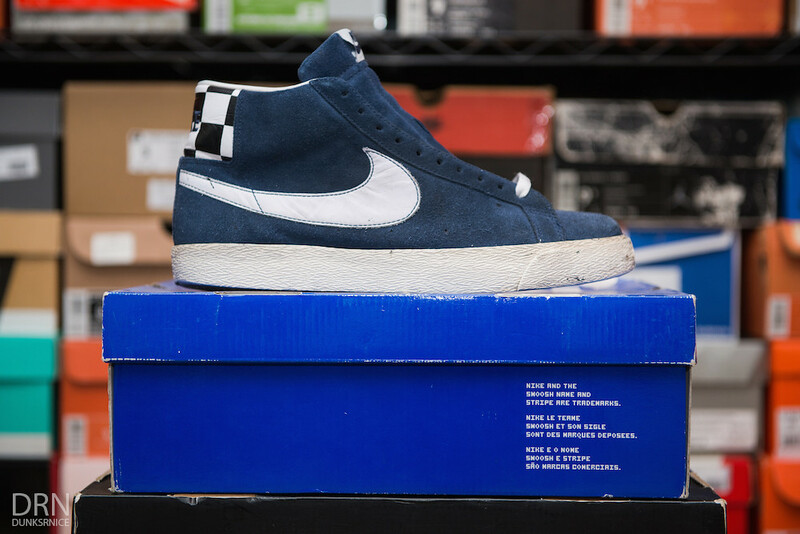 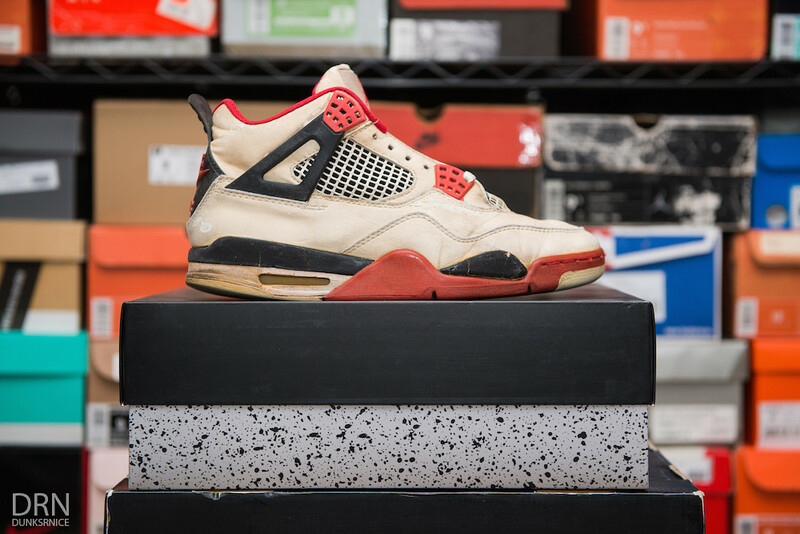 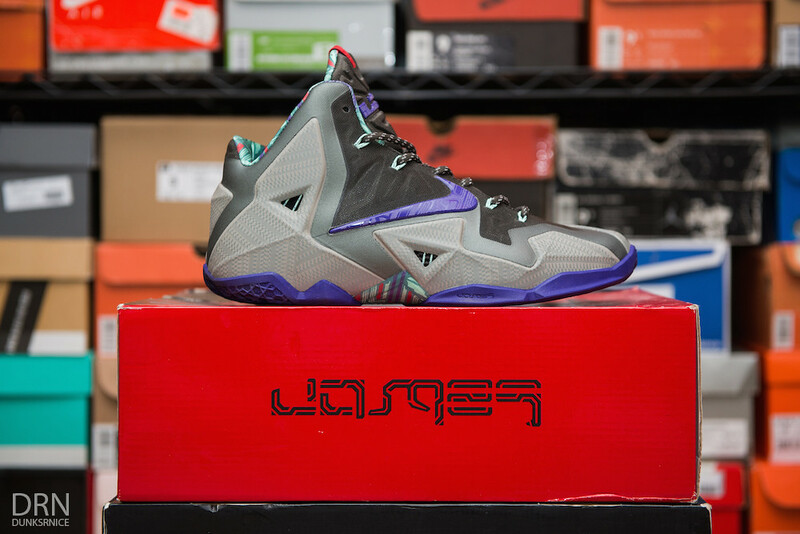 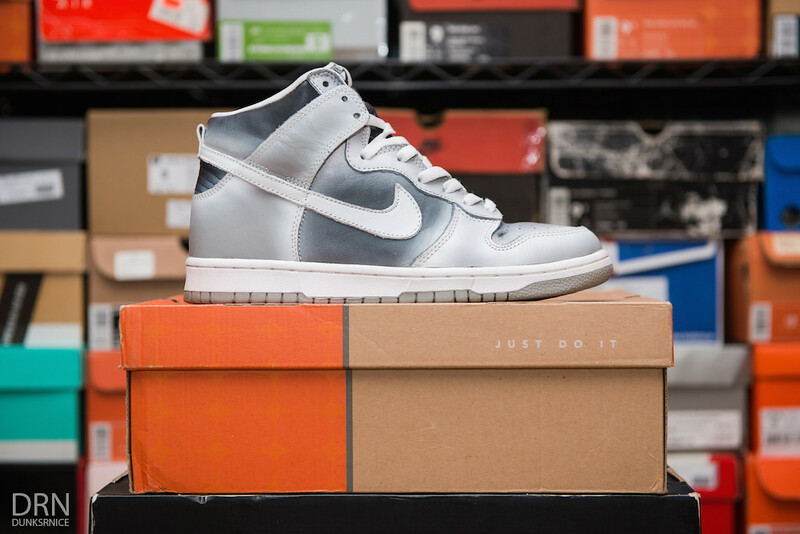 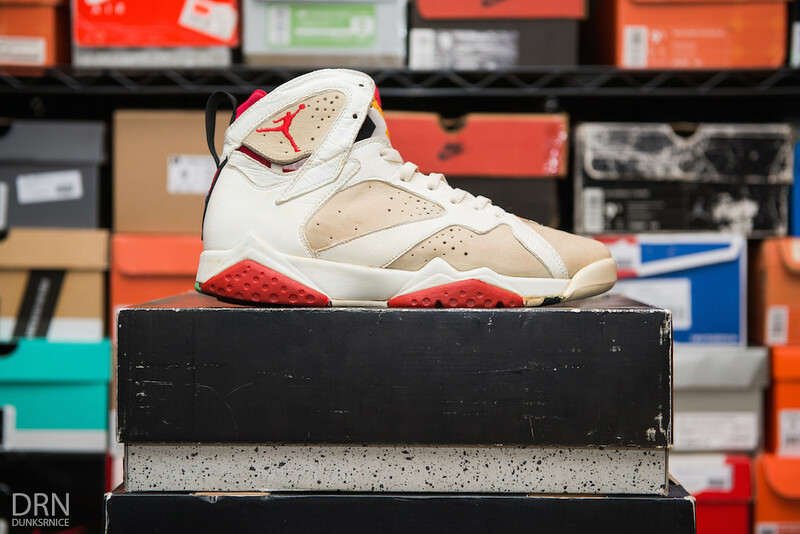 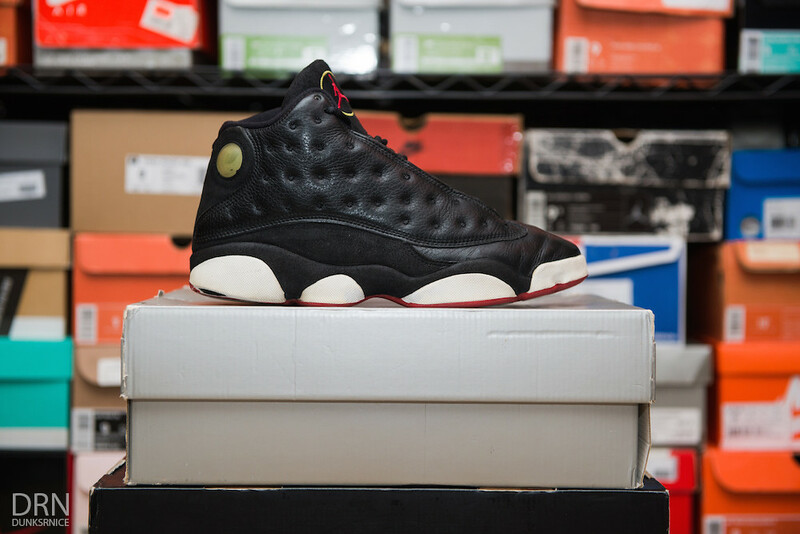 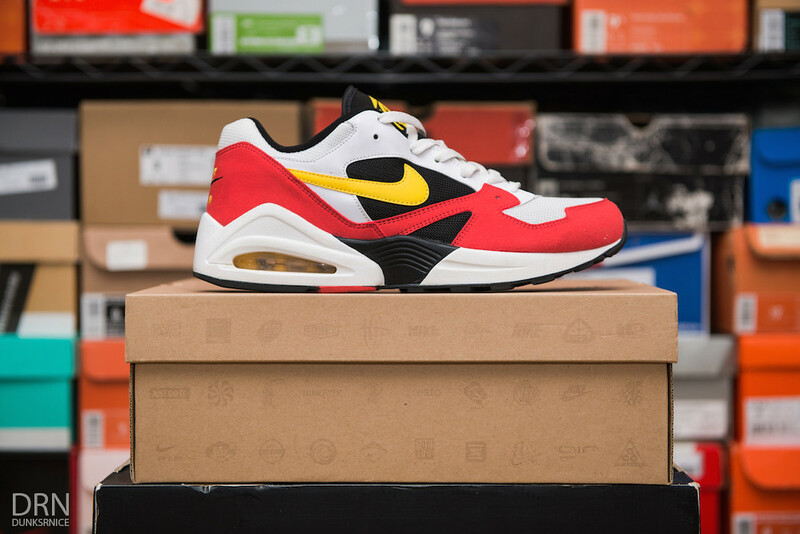 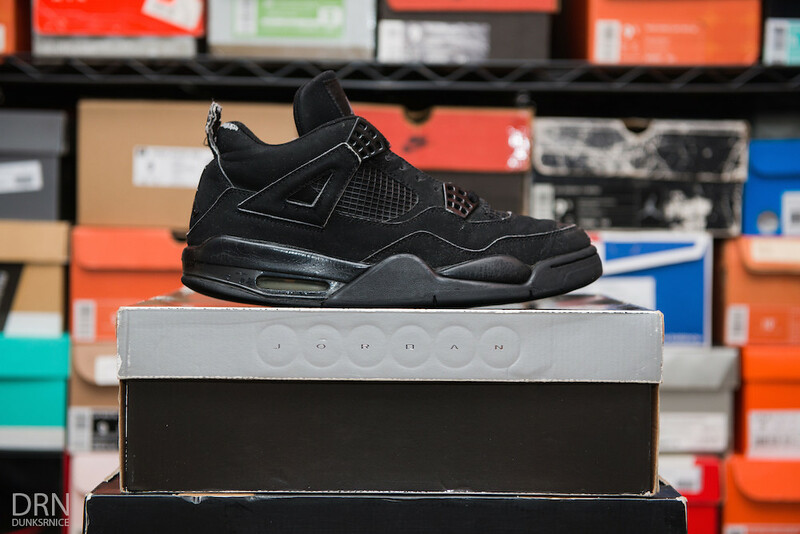 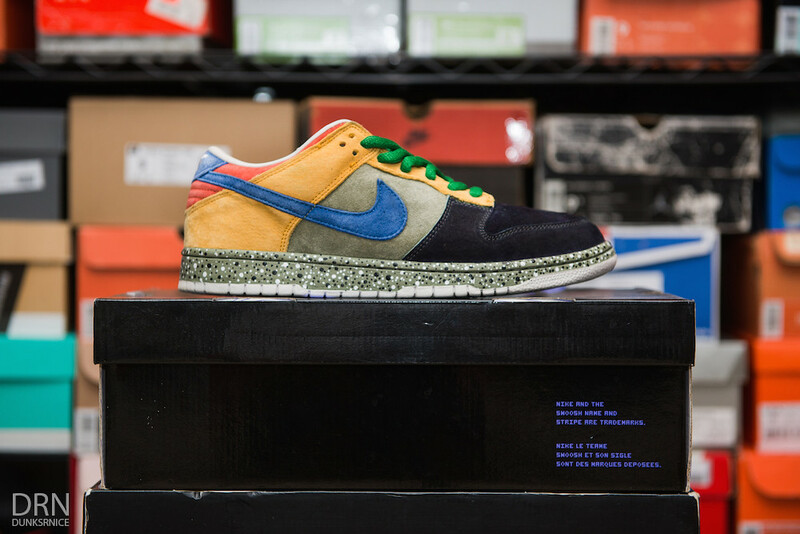 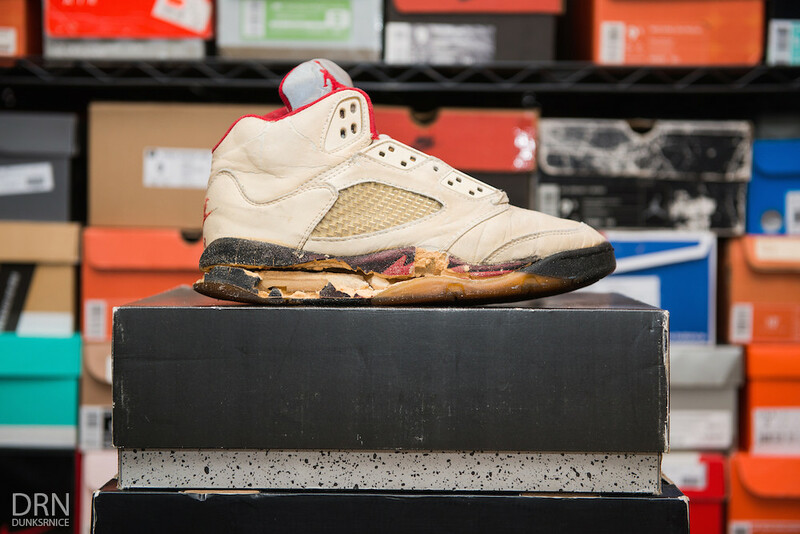 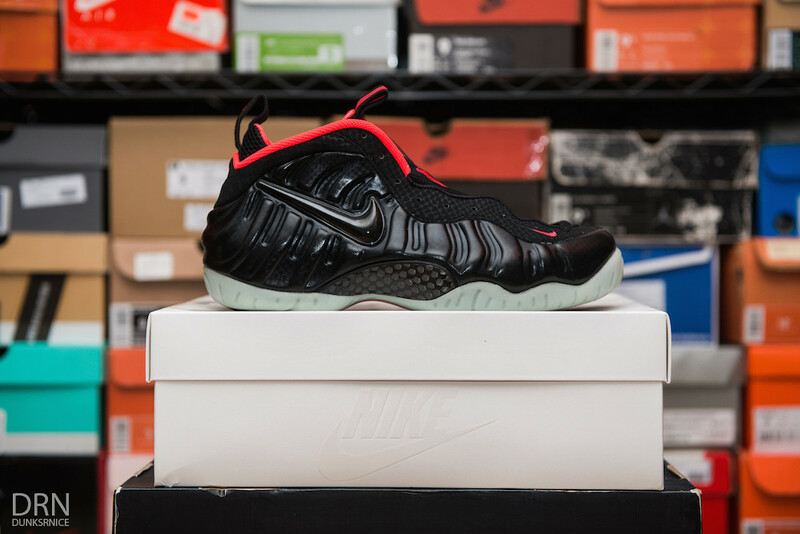 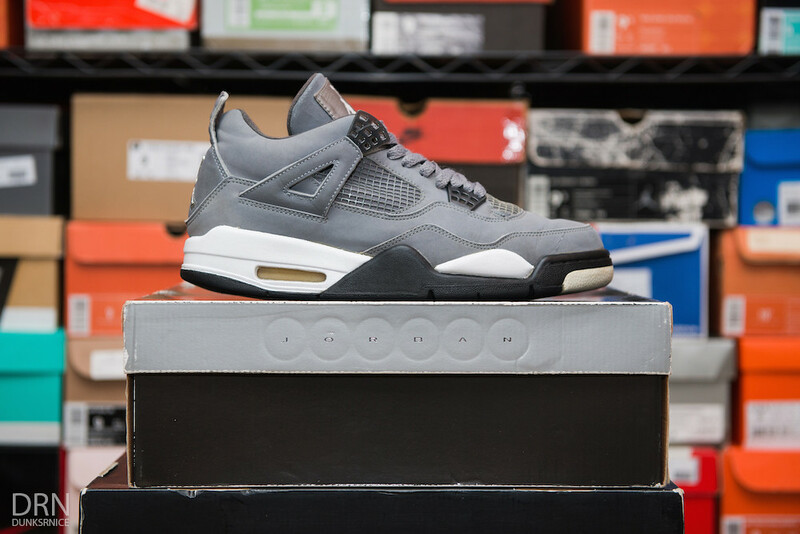 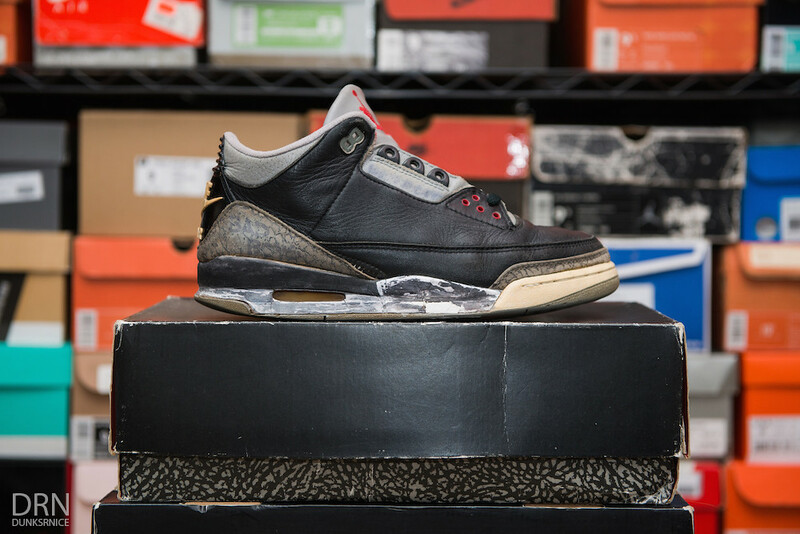 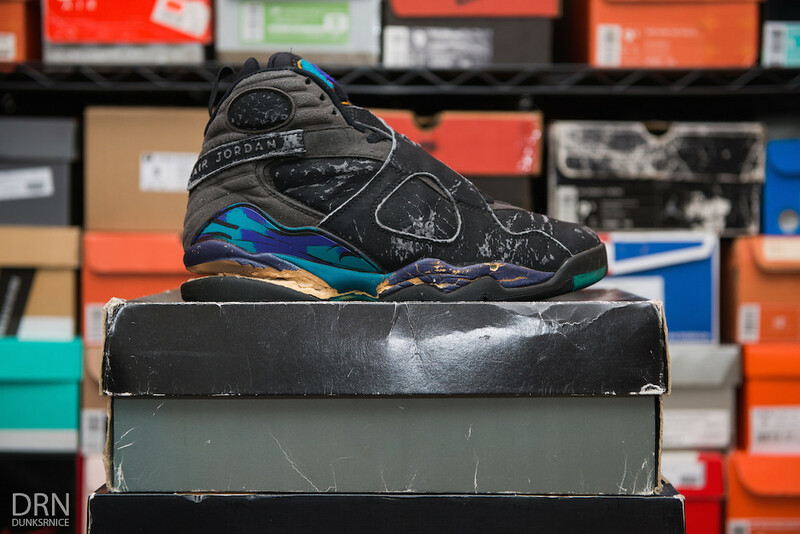 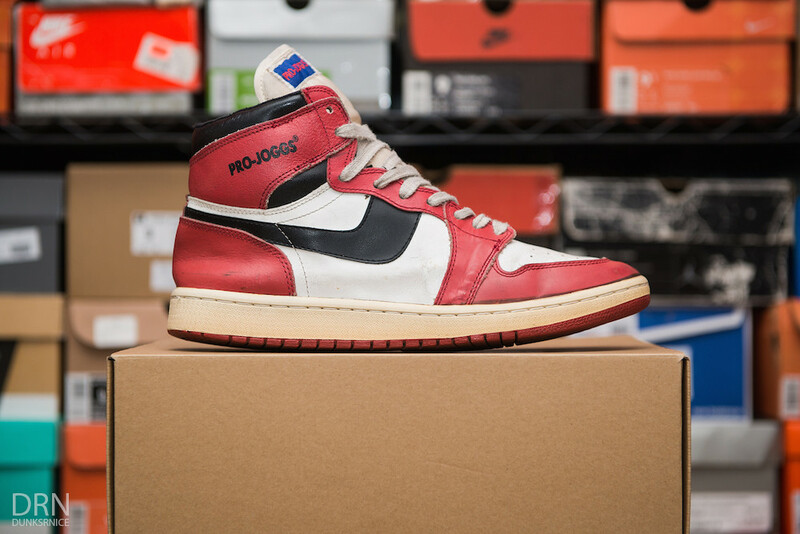 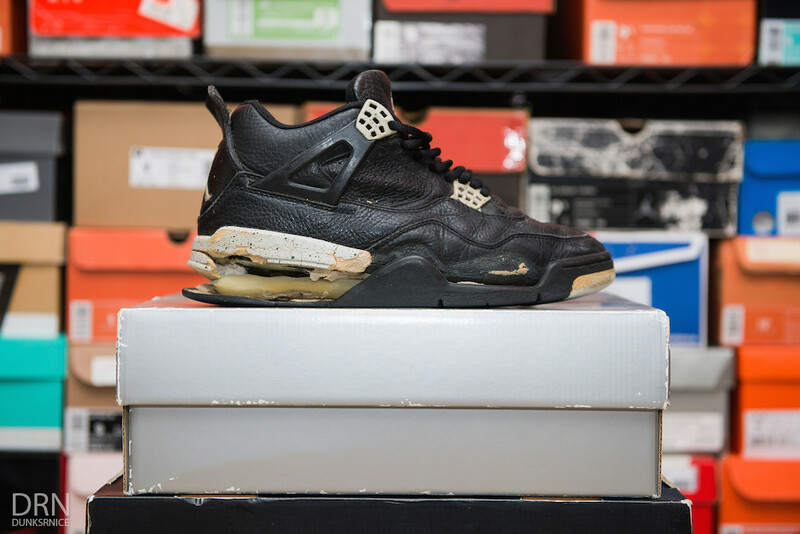 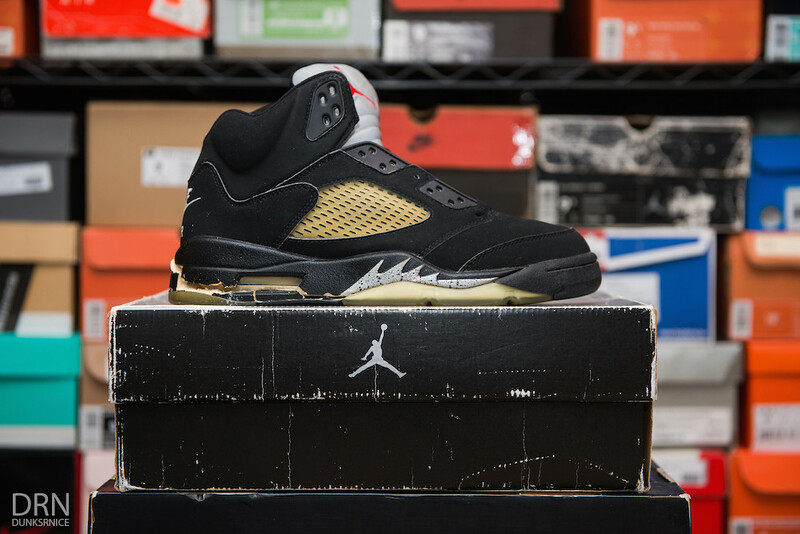 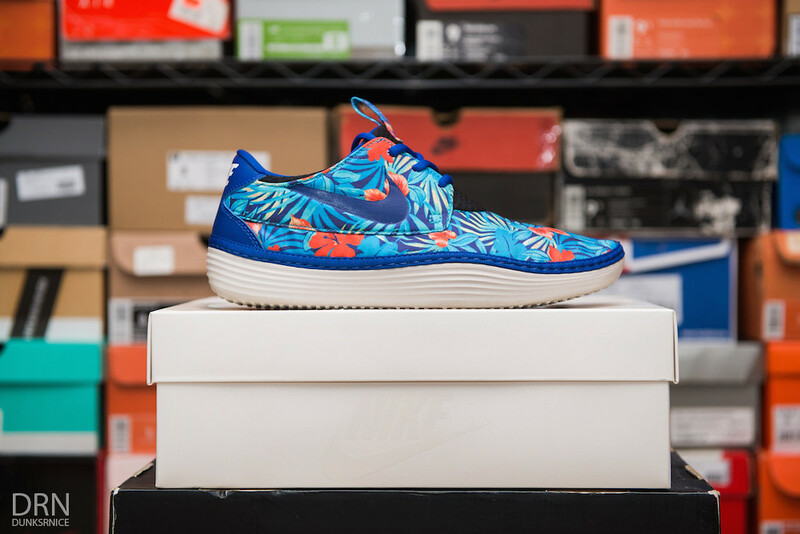 The last time I did a sneaker collection post was back in May of 2011 (Which you can check out by clicking HERE). 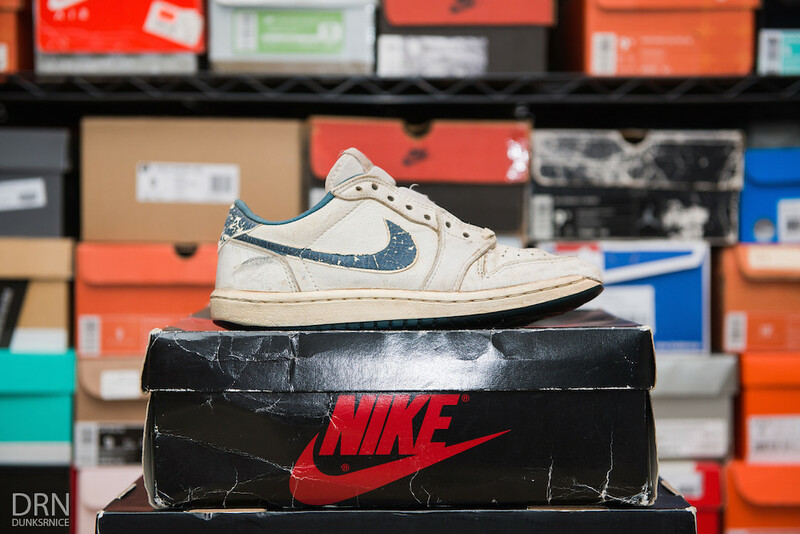 Fast forward four years later, here I am again updating and showcasing my current sneaker collection. 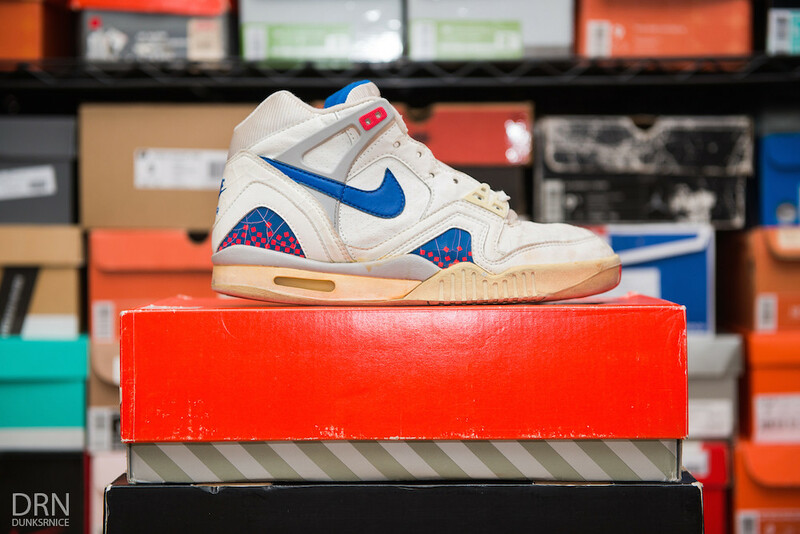 Within those four years, I have acquired a handful of sneakers I would never imagine I would have in my possession as of today. 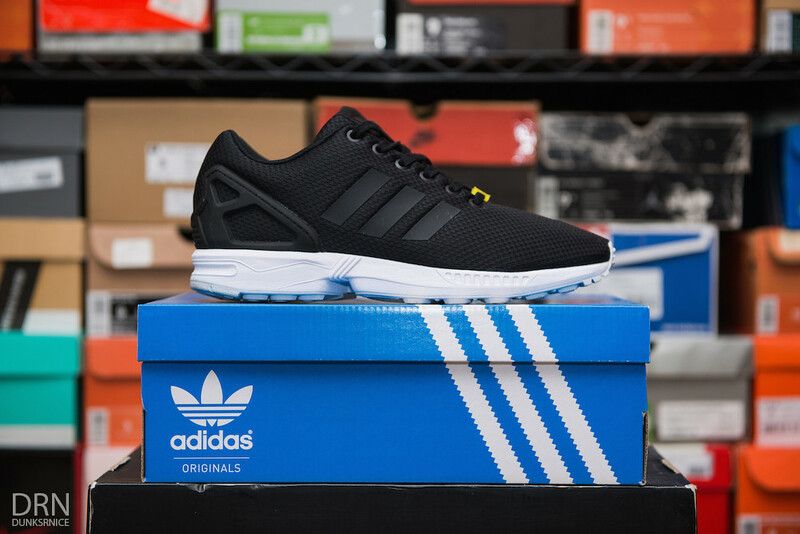 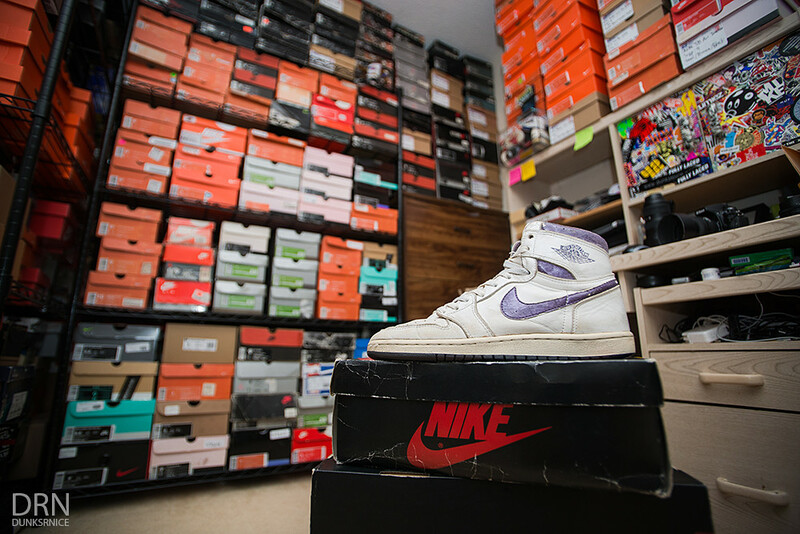 Looking back, I sold a lot of shoes to further my career in photography and since then I have gained majority of those sneakers back. 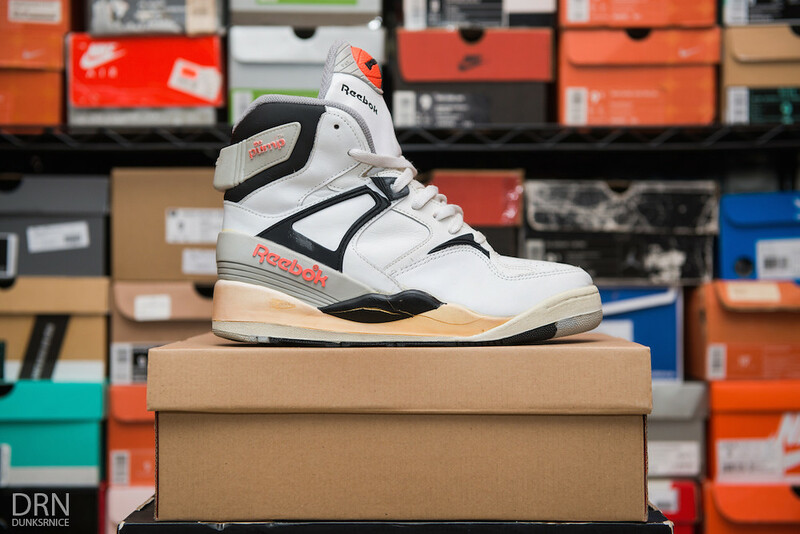 It's funny how sneakers always finds itself back to me no matter how many times I told myself I'm done with shoes. 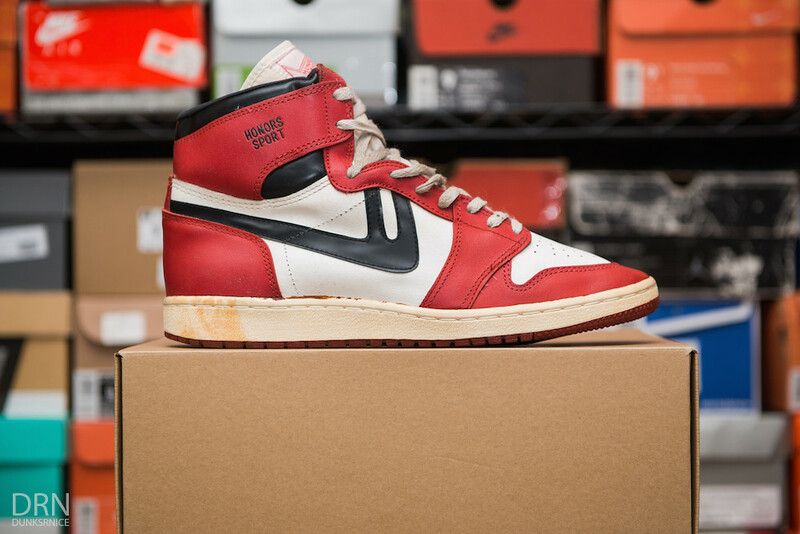 Recently I competed in a sneaker competition and my collection won Best of Show Overall. 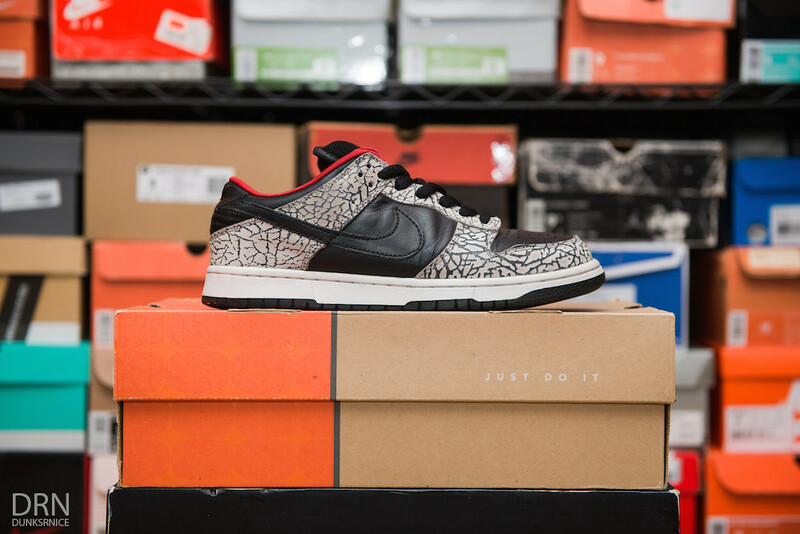 To me, that's something I'm very proud of because I've always had a love for sneakers rather than the money itself. 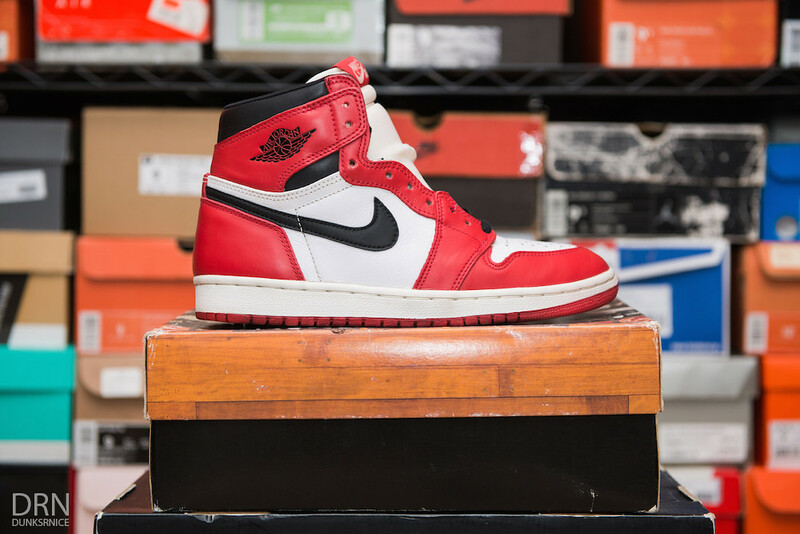 One of the few goals of Air Jordan's I always wanted to complete was to have most or all of the original Air Jordan I's. 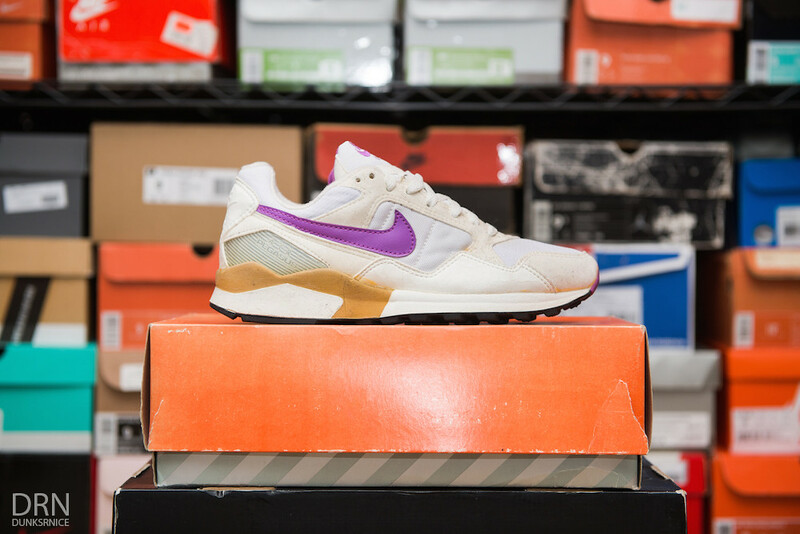 I knew it was one of the most difficult goals to achieve but hunting them down is the thrill of it and makes it fun. 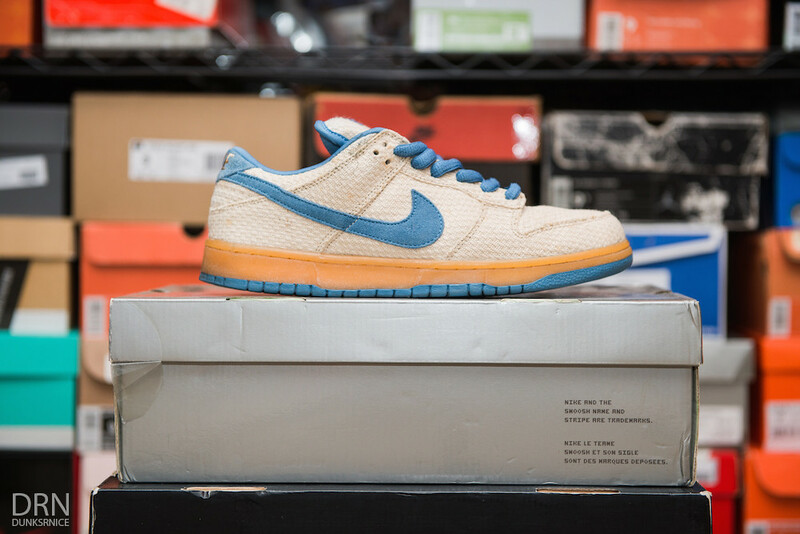 I'm now only five away from completing the set that was released to the public. 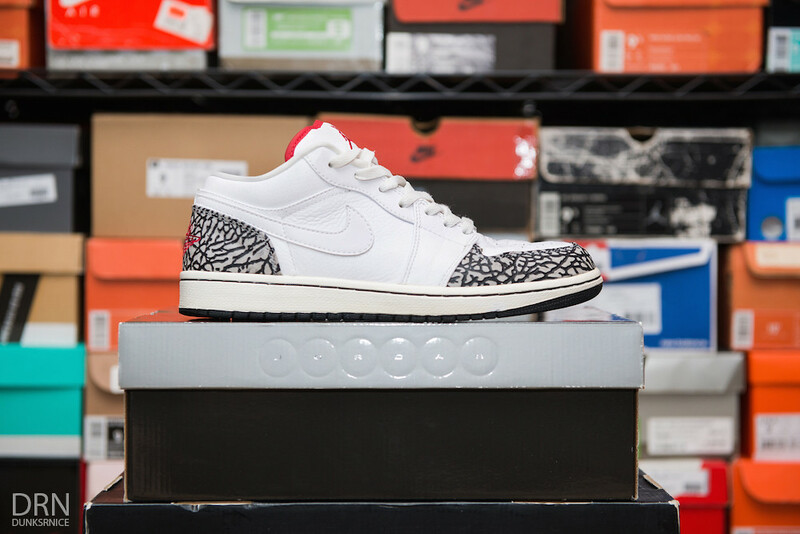 I'm only missing Metallic Orange & Maroon/Burgundy, White & Grey Lows, Black & Red AJKO's, & Black Toes. 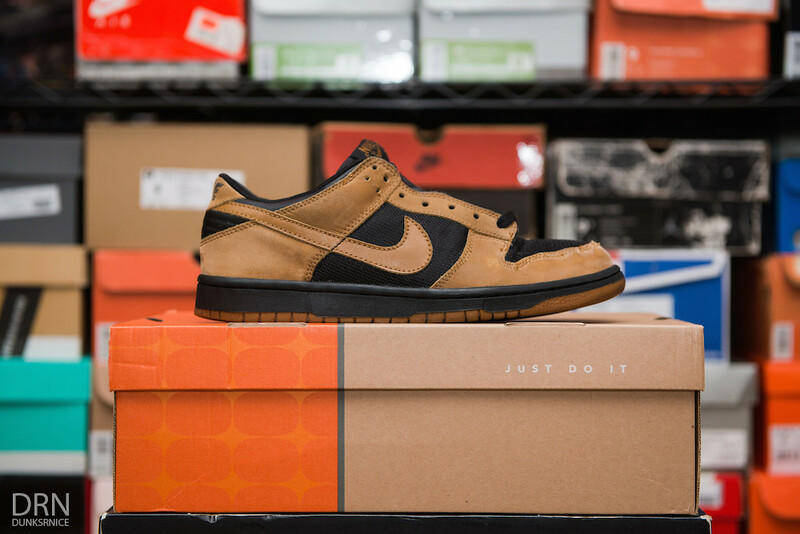 I'm content with my current sneaker collection, but I'm still plan to complete most or all CO.JP Dunks. 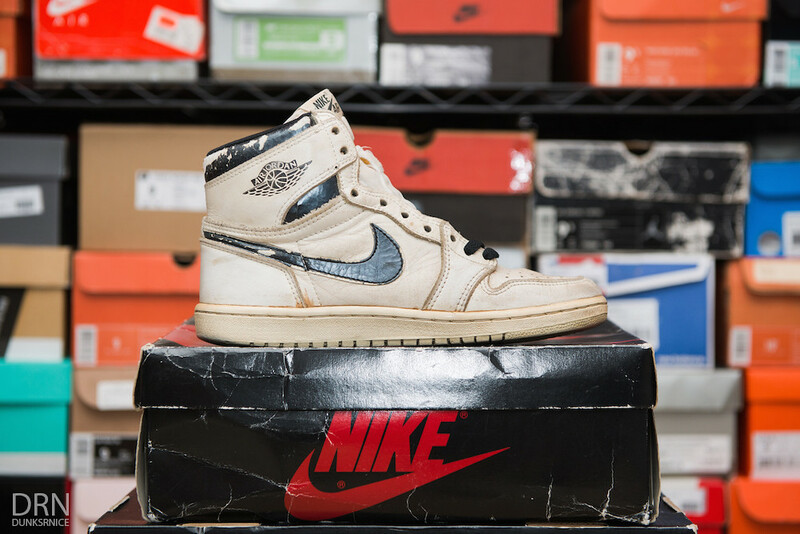 Until next time, thank you for checking out my sneaker collection! 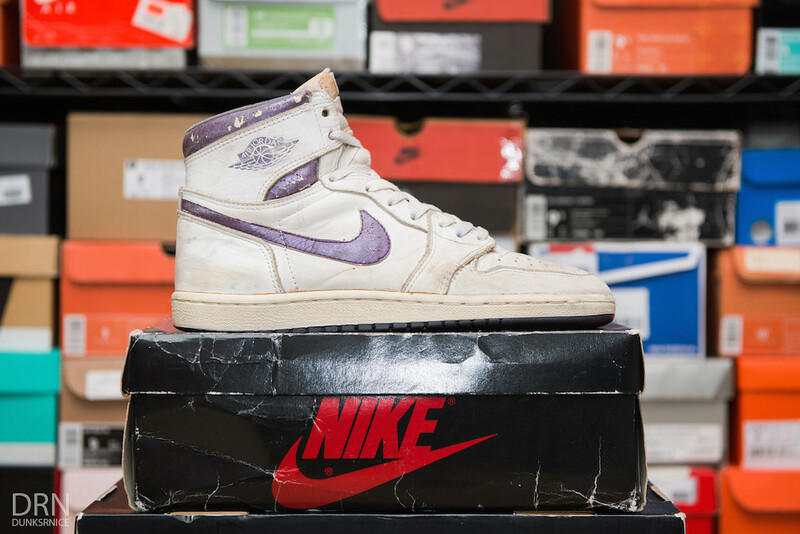 1985 Metallic Purple & White I's & Shoe Boxes. 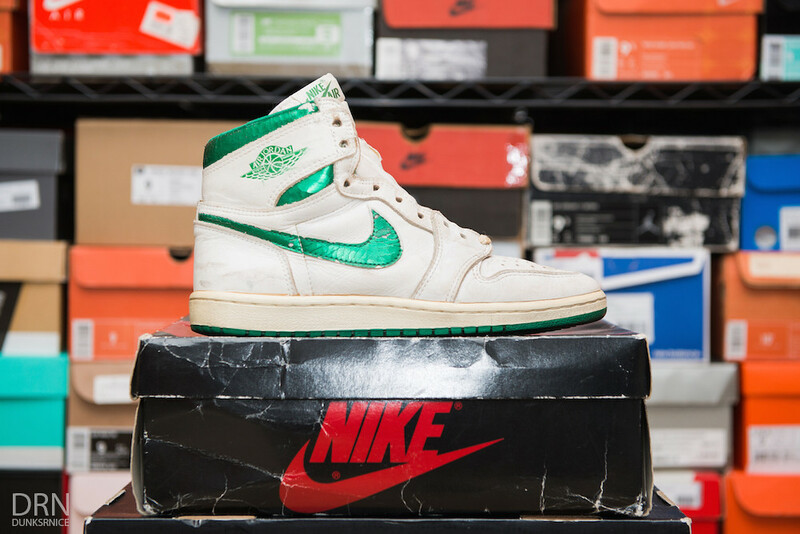 1985 Metallic Green & White I's. 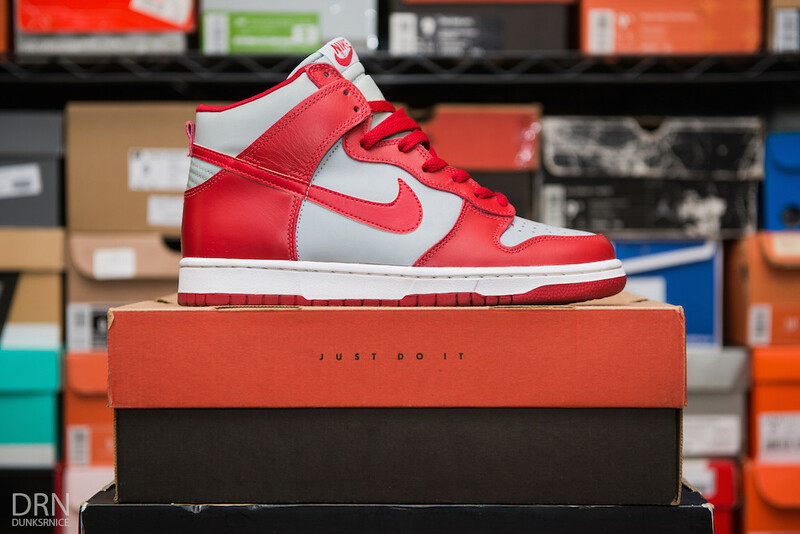 1985 Metallic Red & White I's. 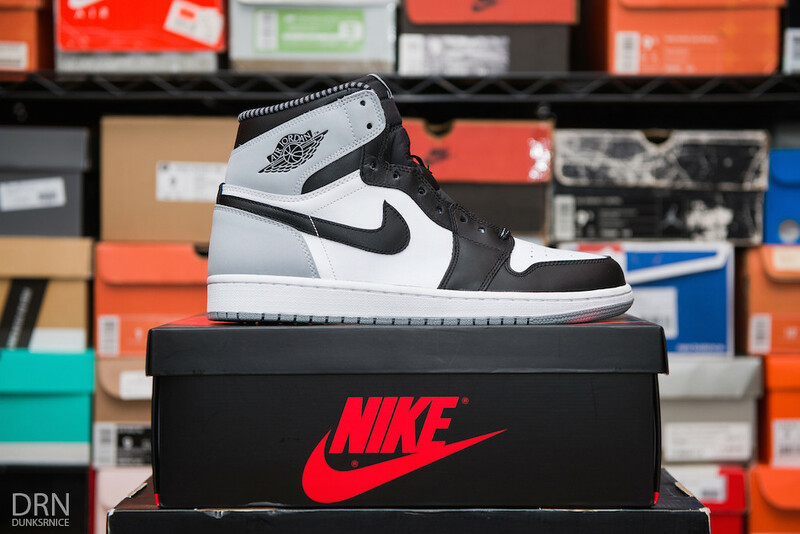 1985 Metallic Black & White I's. 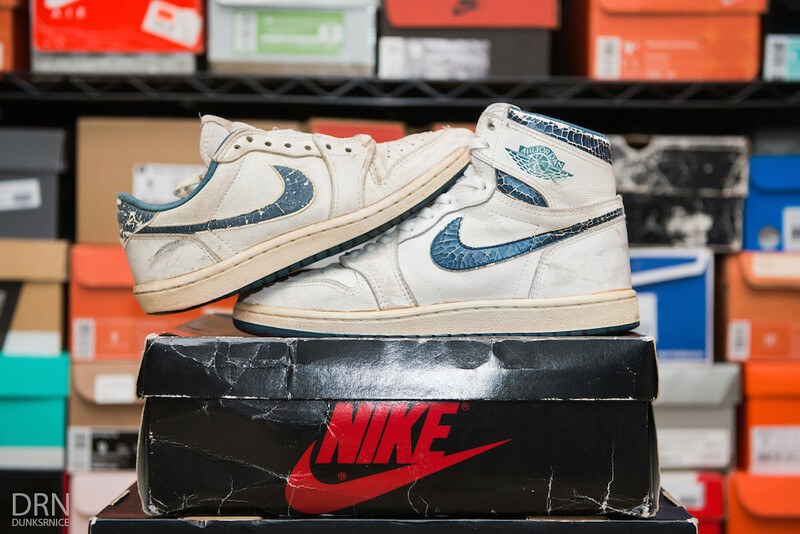 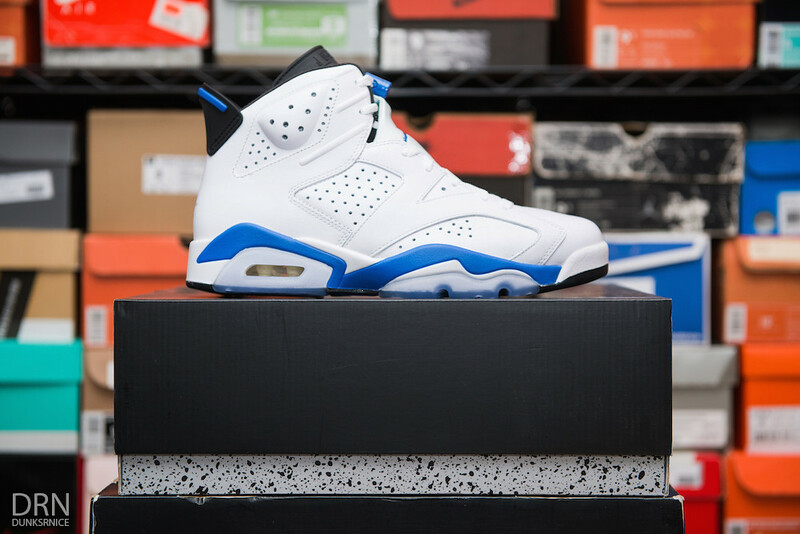 1985 Metallic Blue & White I's. 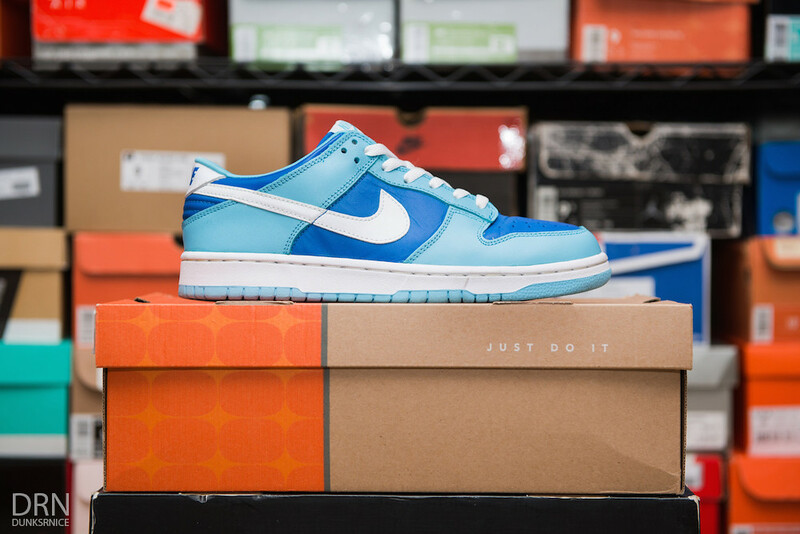 1985 Metallic Blue & White Low I's. 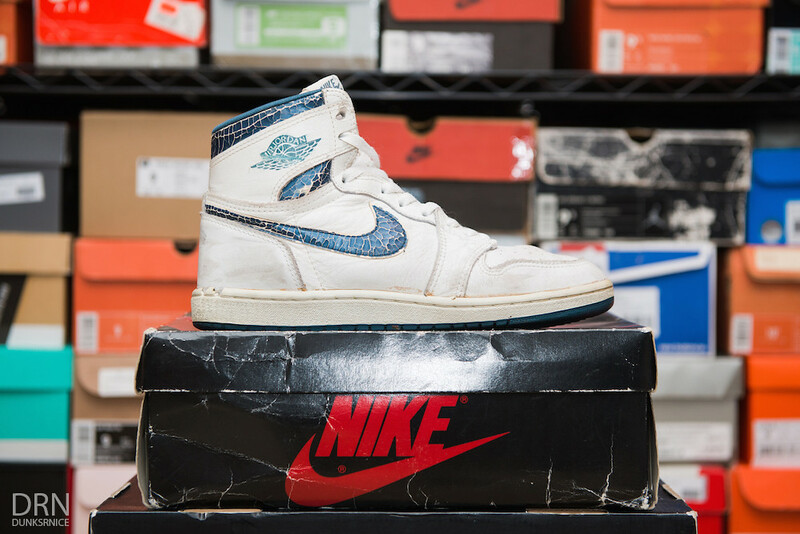 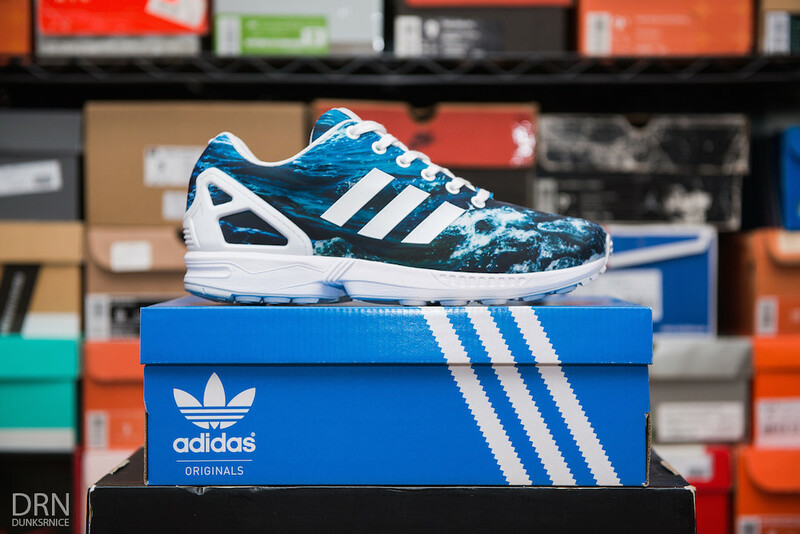 1985 Metallic Blue & White Low & High Set I's. 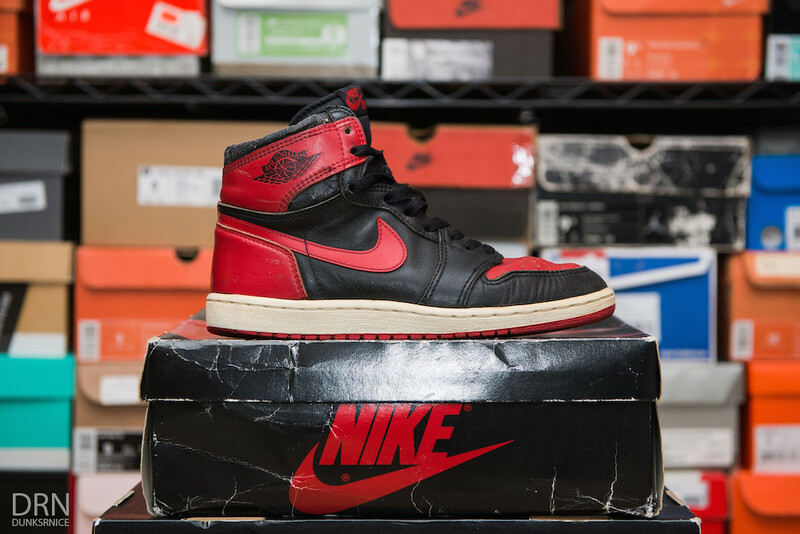 1985 Black & Red I's. 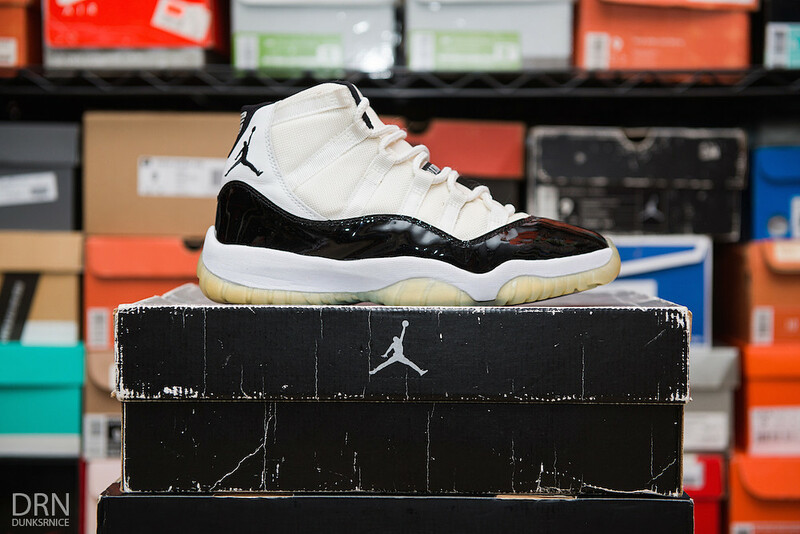 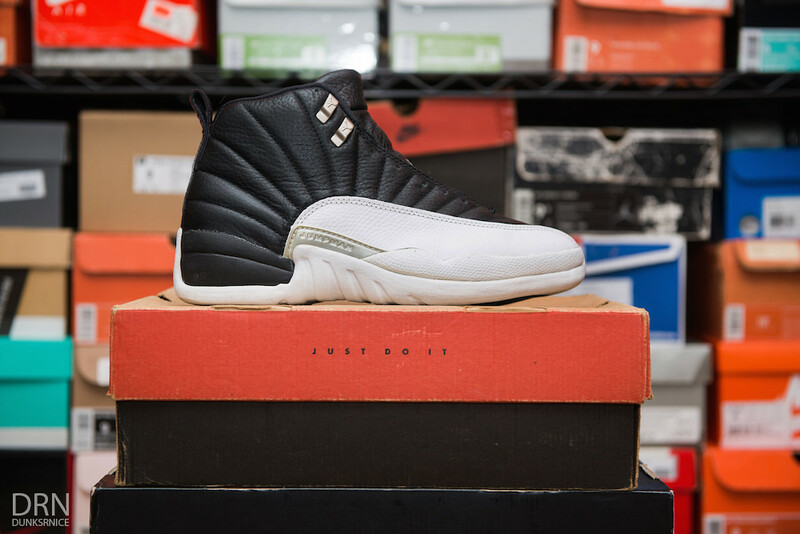 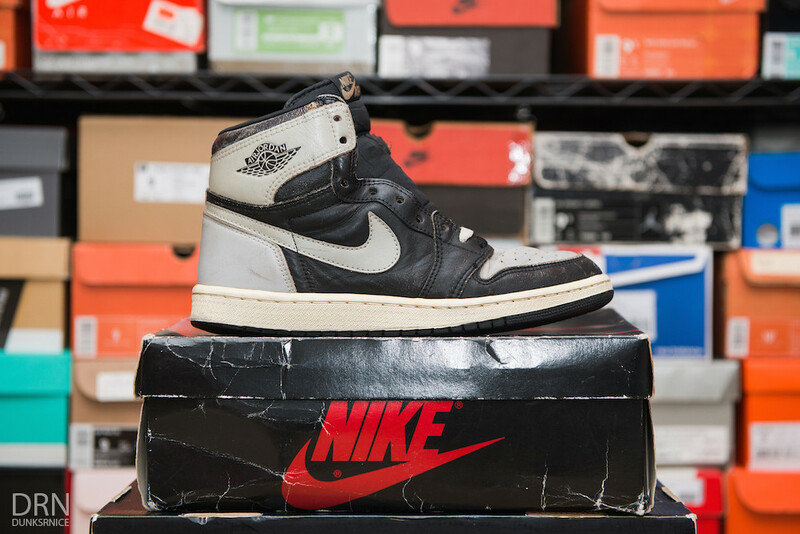 1985 Black & White I's. 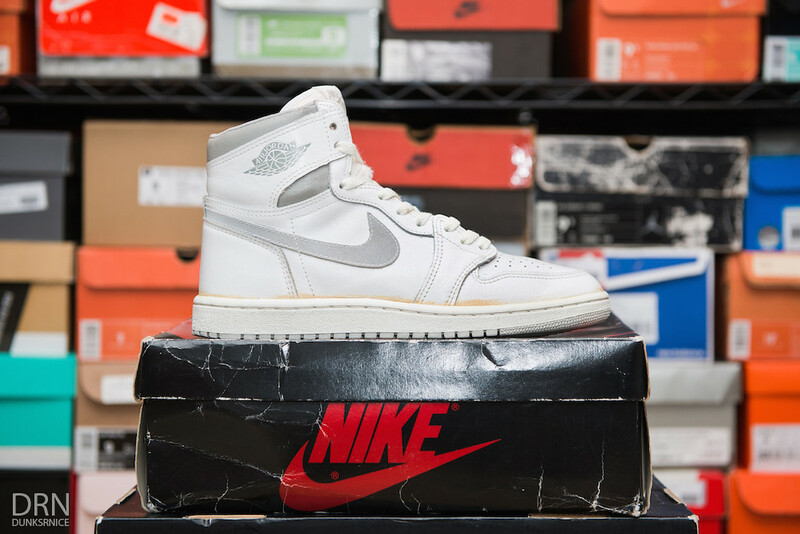 1985 White & Grey I's. 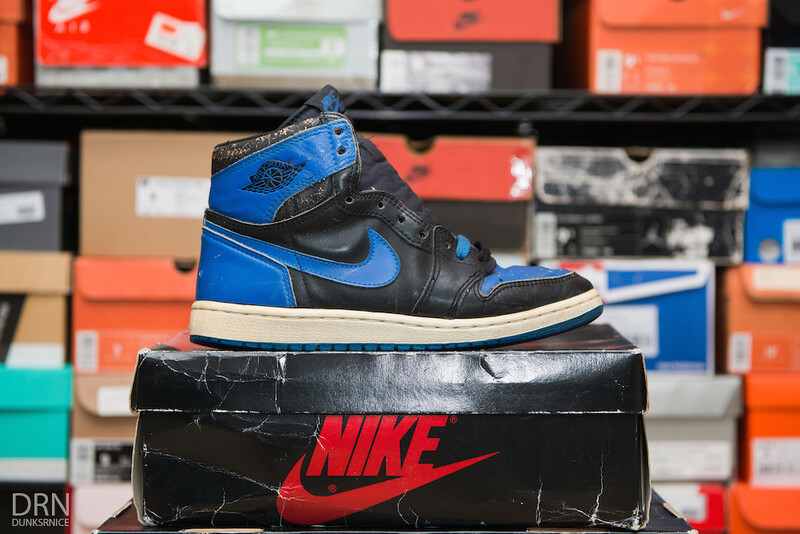 1985 Black and Royal Blue I's. 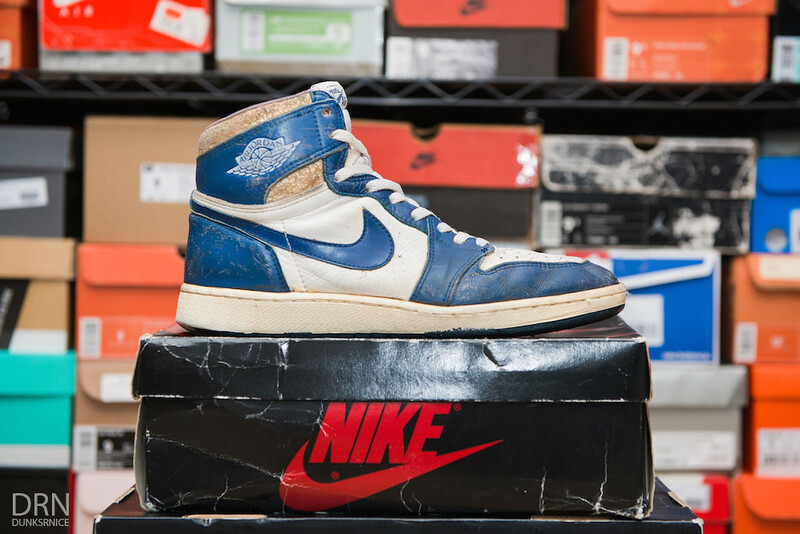 1985 Kentucky Blue & White I's. 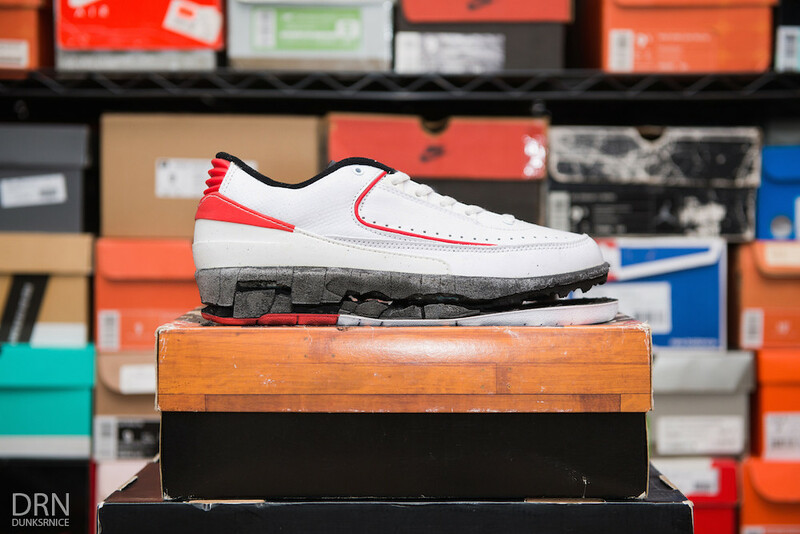 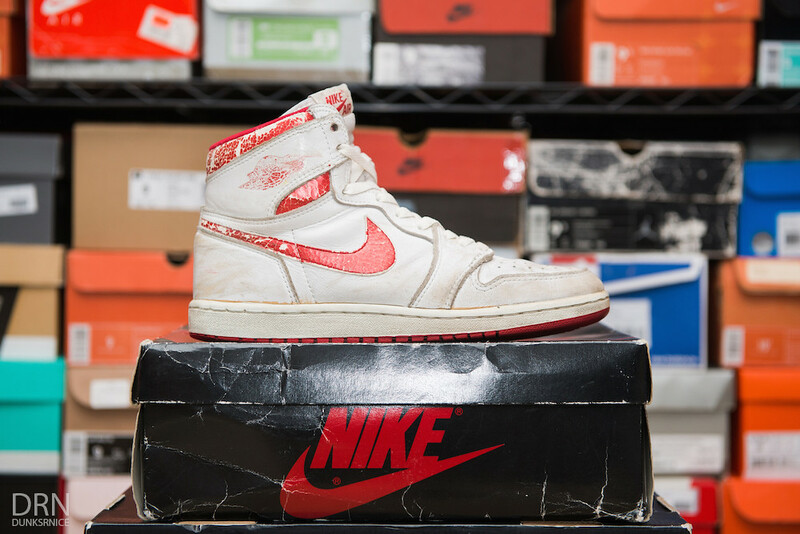 1985 White & Red AJKO's. 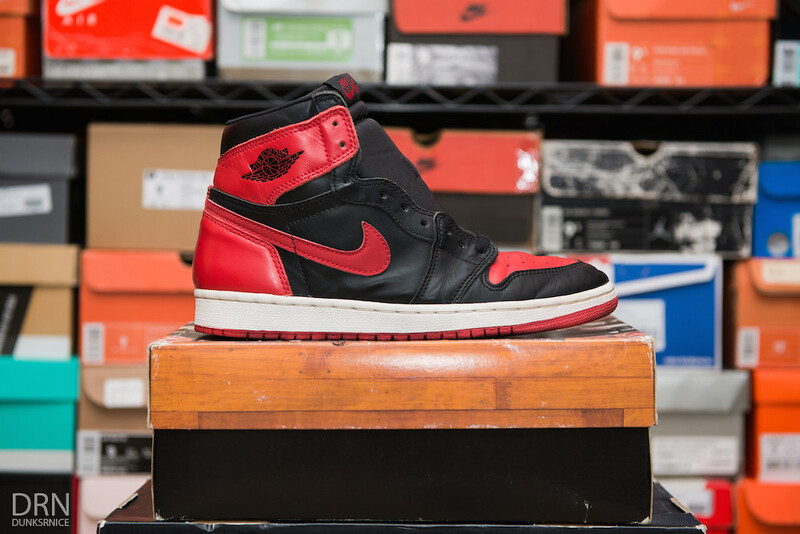 1994 Black & Red I's. 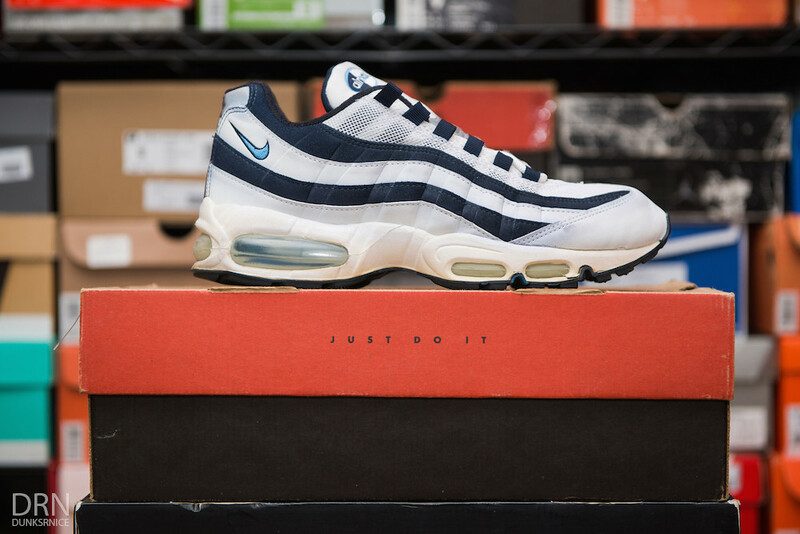 2001 White & Navy I's. 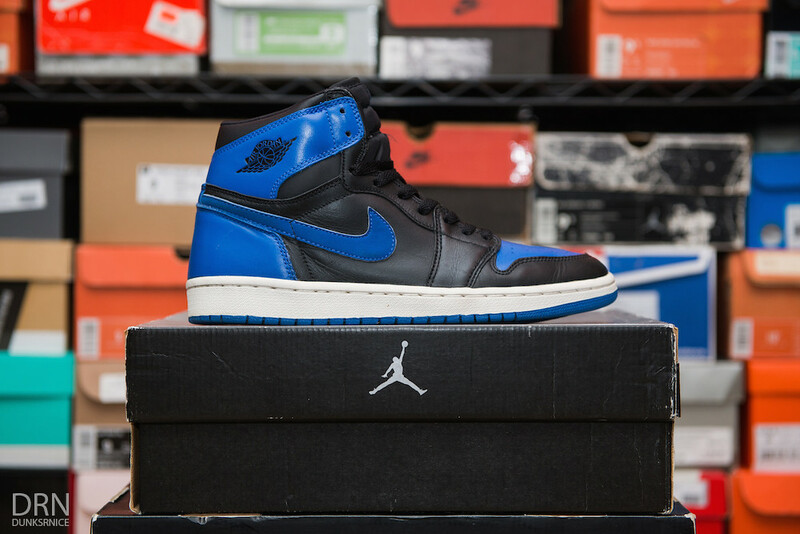 2001 Black & Royal I's. 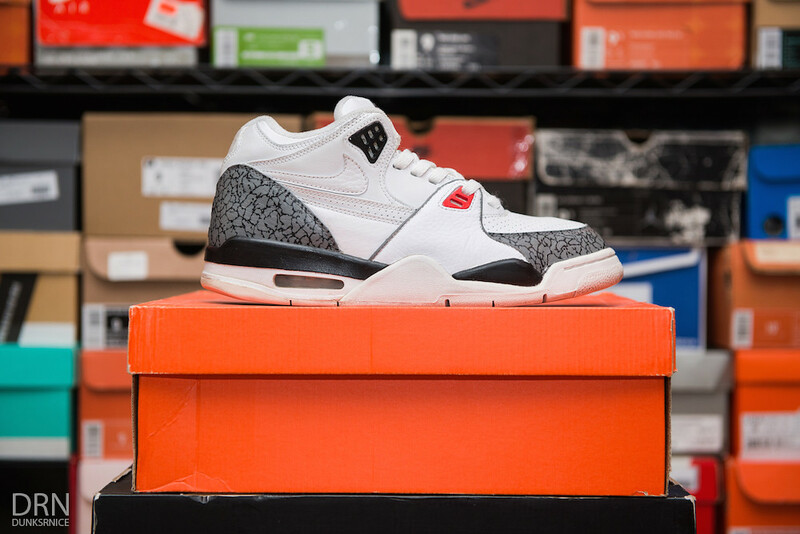 2008 White Cement Phat Low I's. 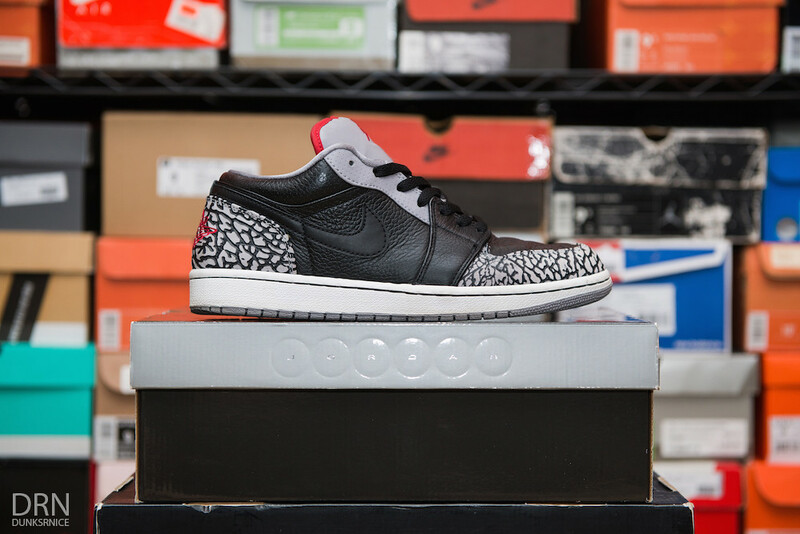 2008 Black Cement Phat Low I's. 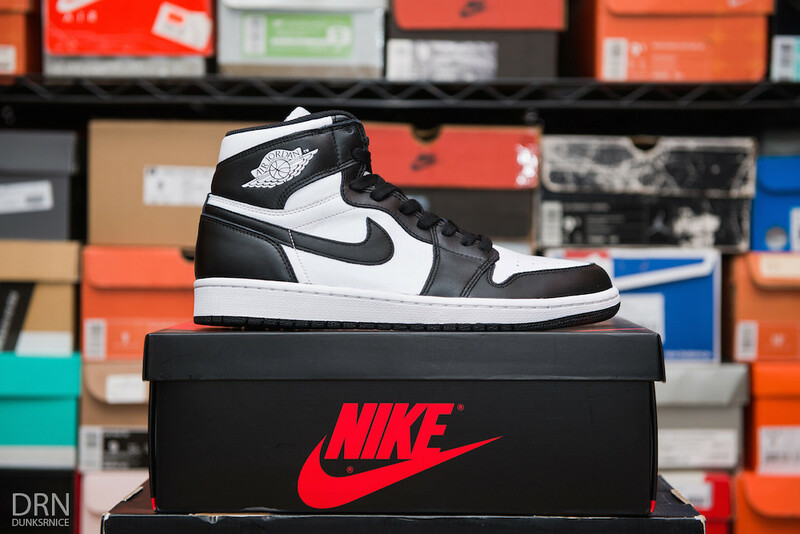 2014 Black & White I's. 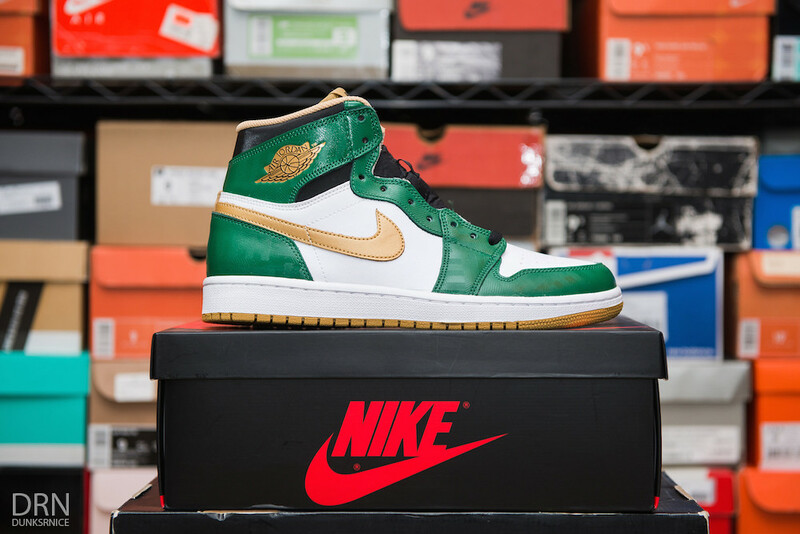 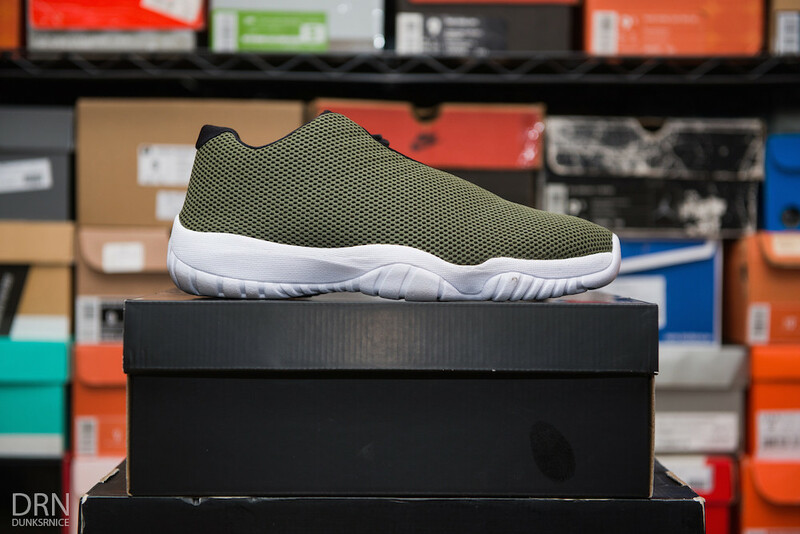 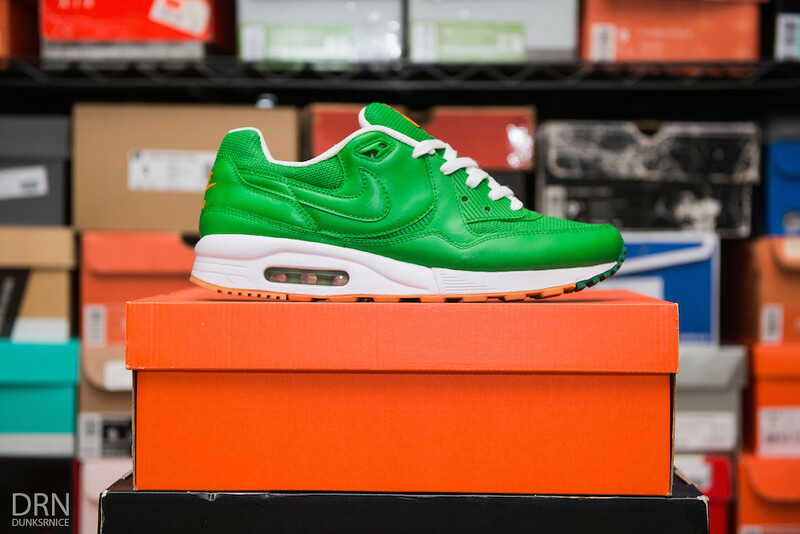 2014 White & Clover Green I's. 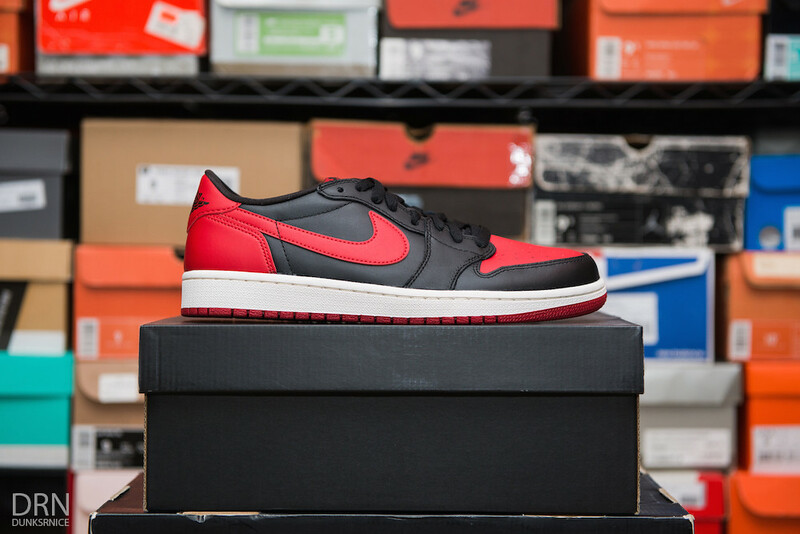 2015 Black & Red Low I's. 2015 White & Red Low I's. 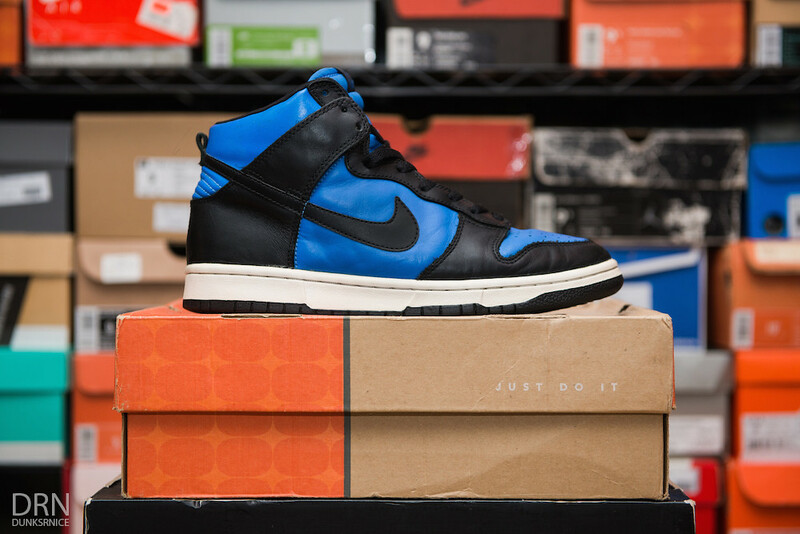 Poorman Laser Fragment Custom I's. 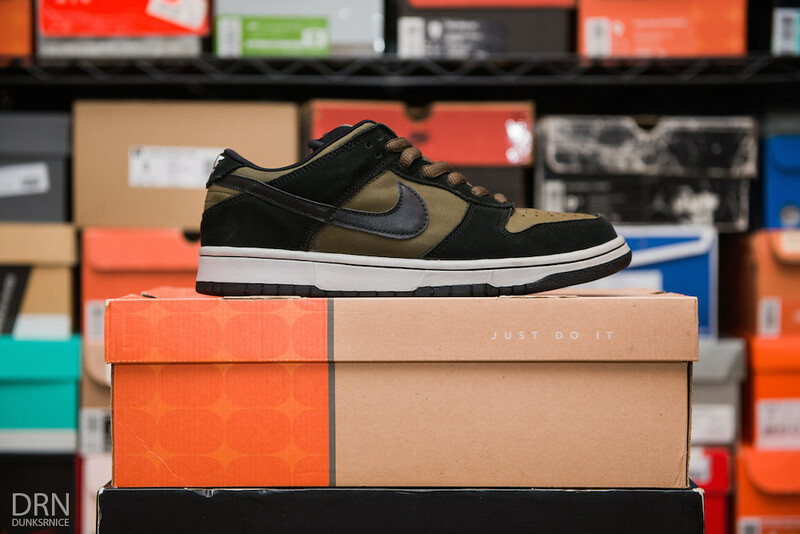 (Done by me). 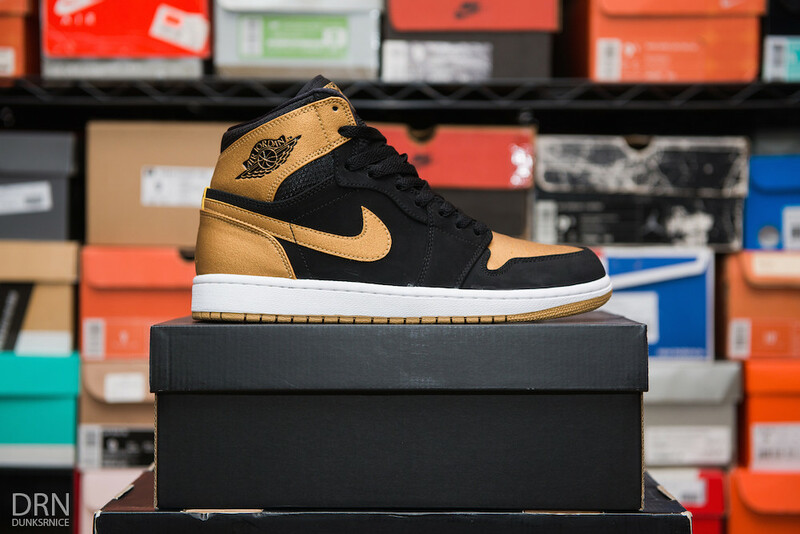 Black & Gold Custom I's. 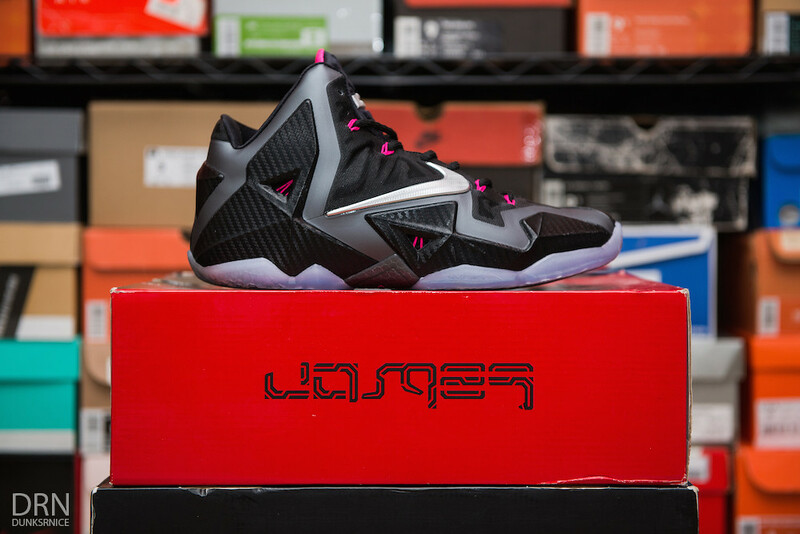 (Done by me). 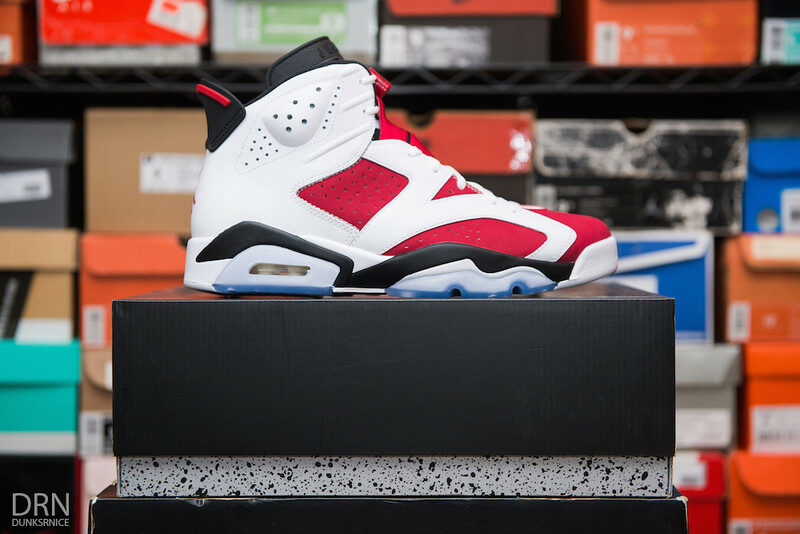 2015 The Return Chicago 1.5's. 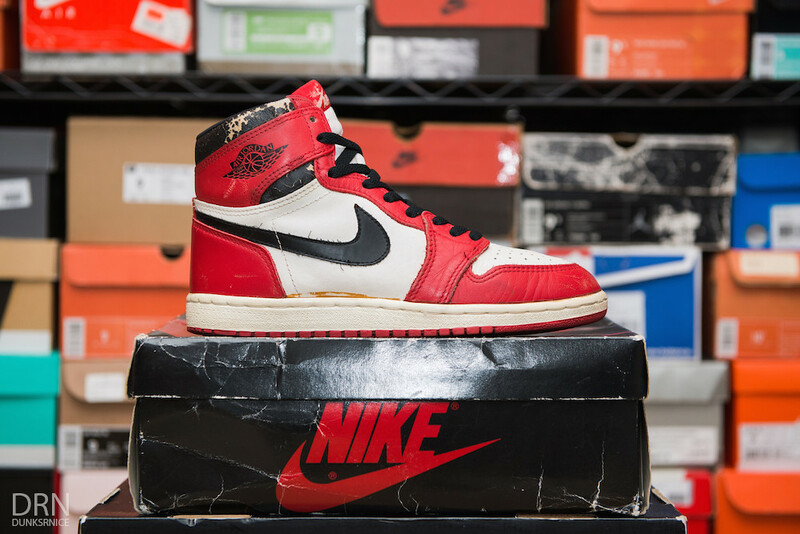 1995 Chicago II's. 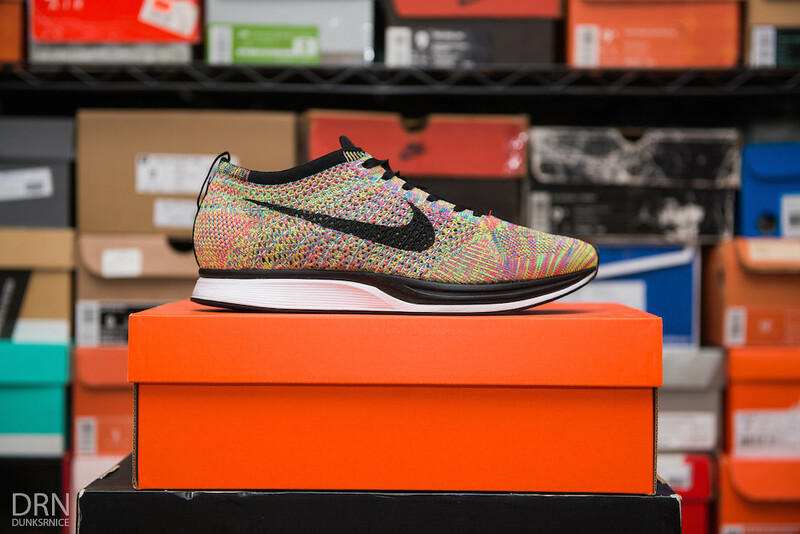 First Pair. 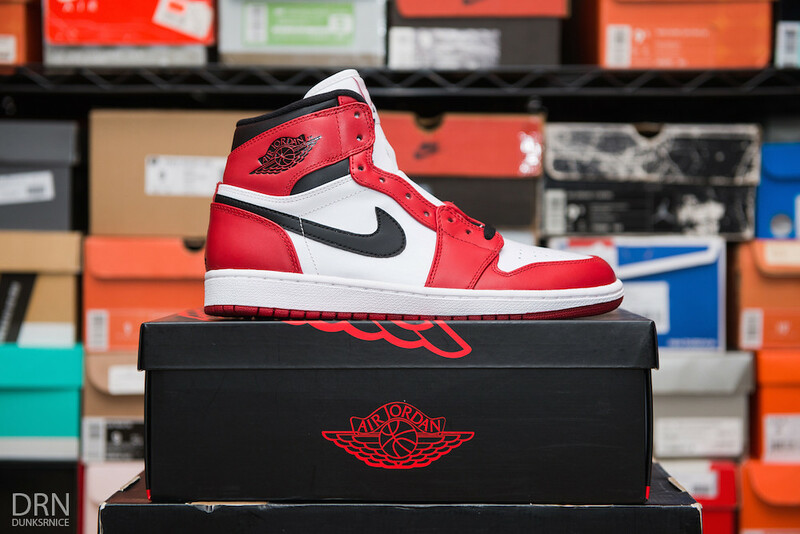 1995 Chicago II's. 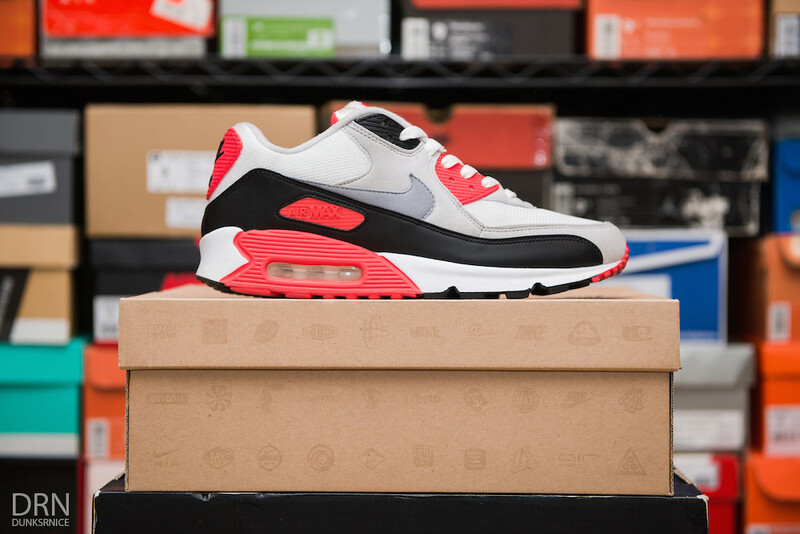 Second Pair. 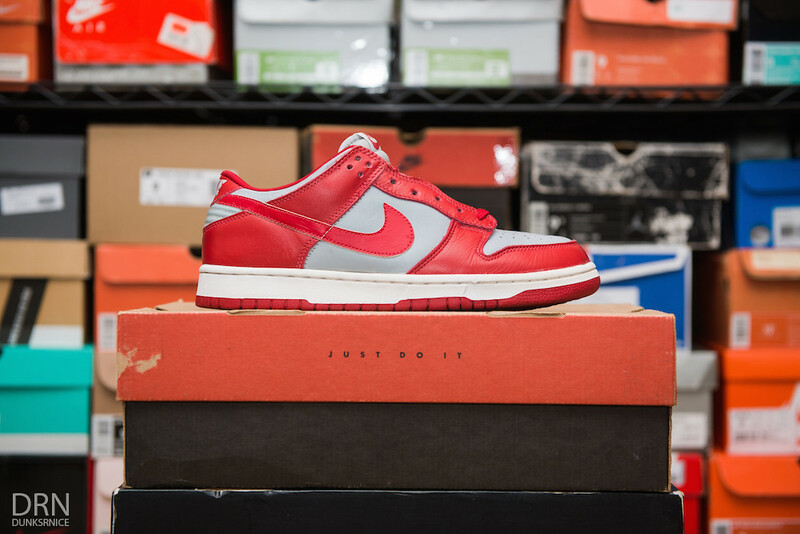 2004 White & Red Low II's. 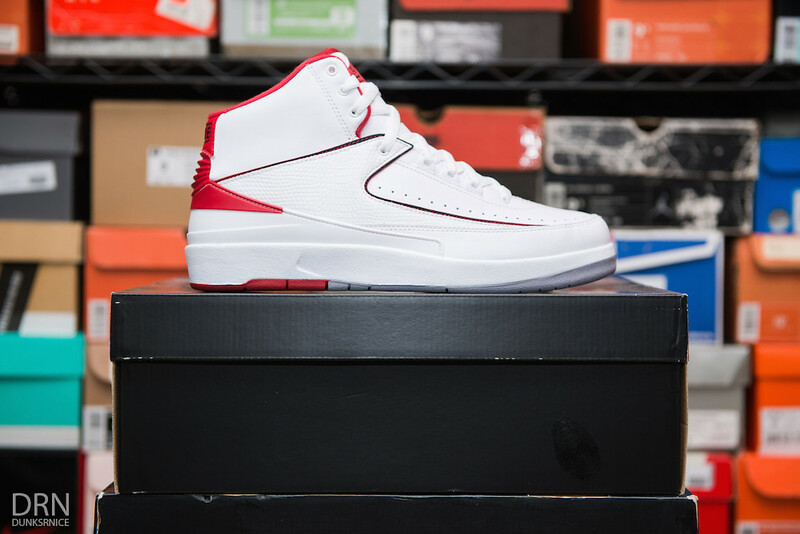 2014 White & Red II's. 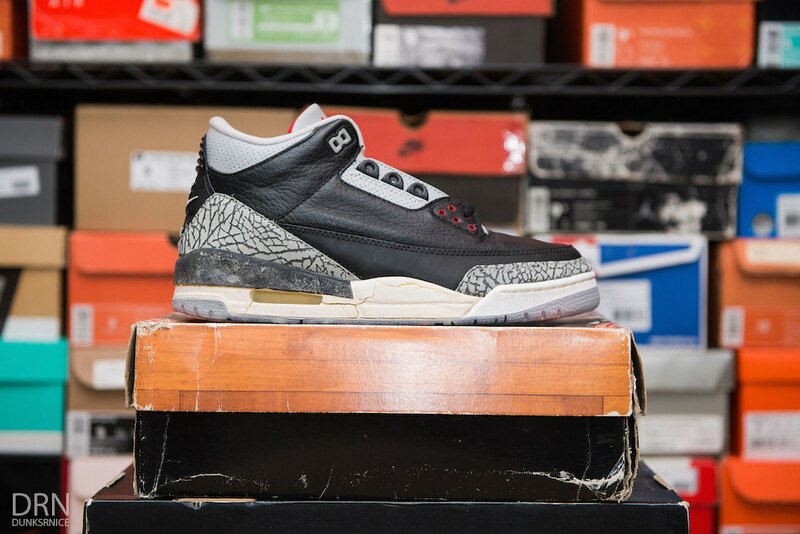 1988 Black Cement III's. 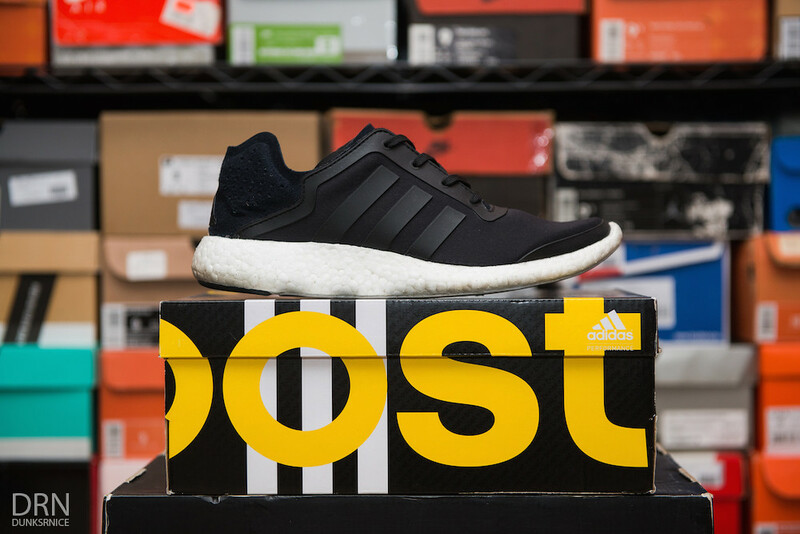 First Pair. 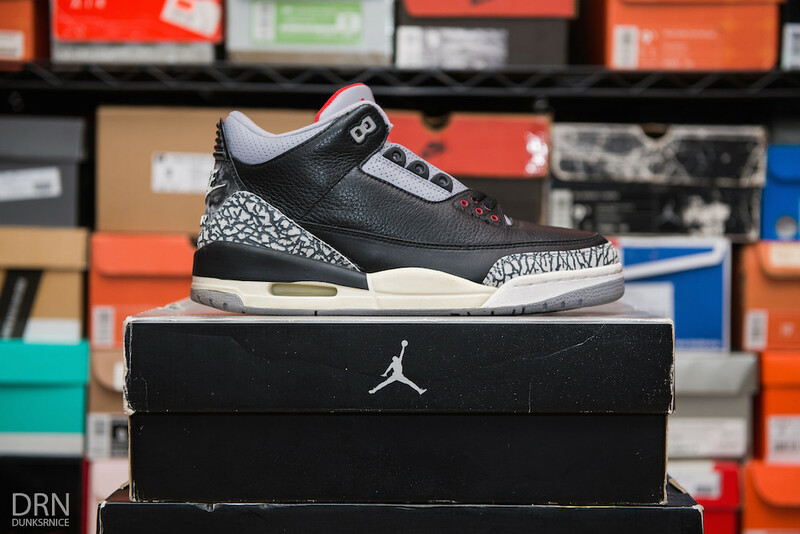 1988 Black Cement III's. 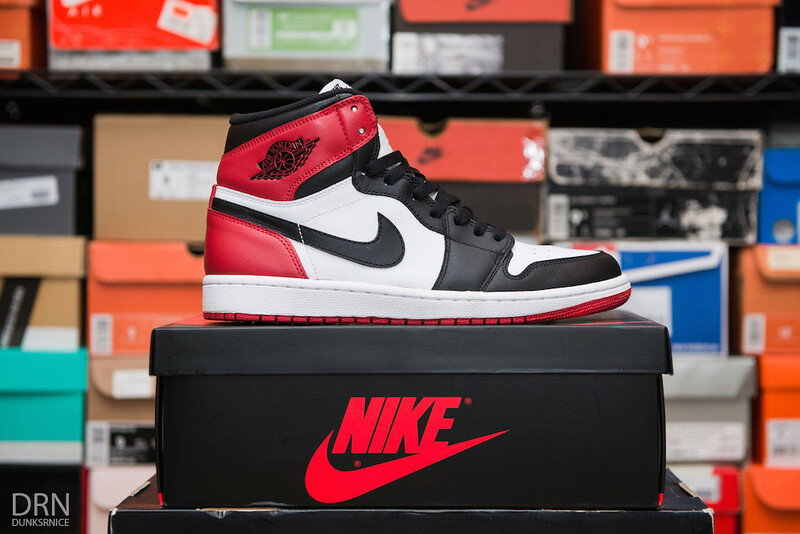 Second Pair. 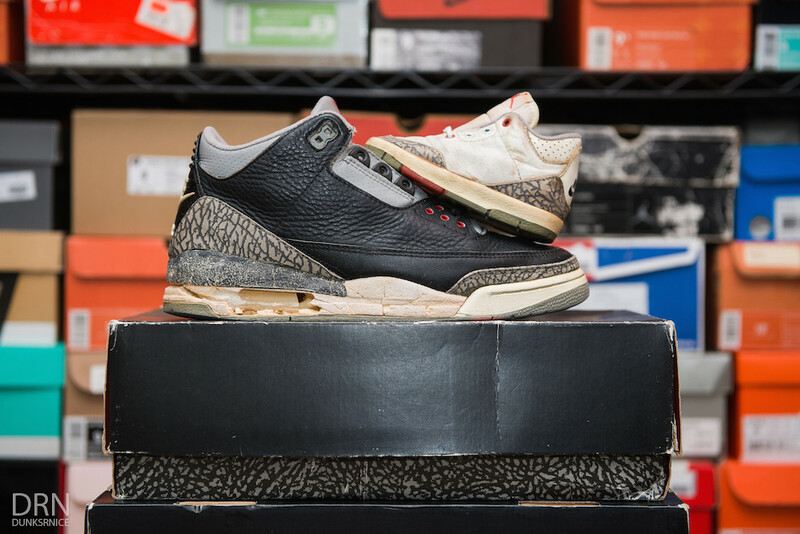 1998 Black Cement & Baby White Cement III's. 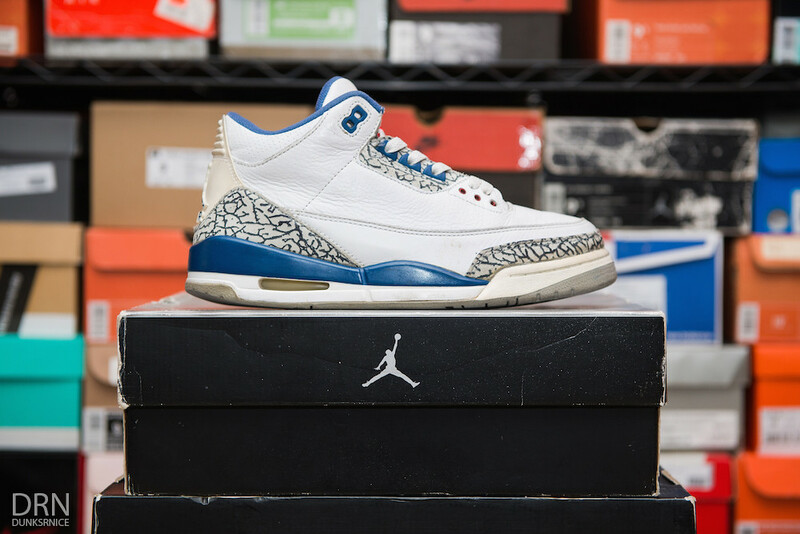 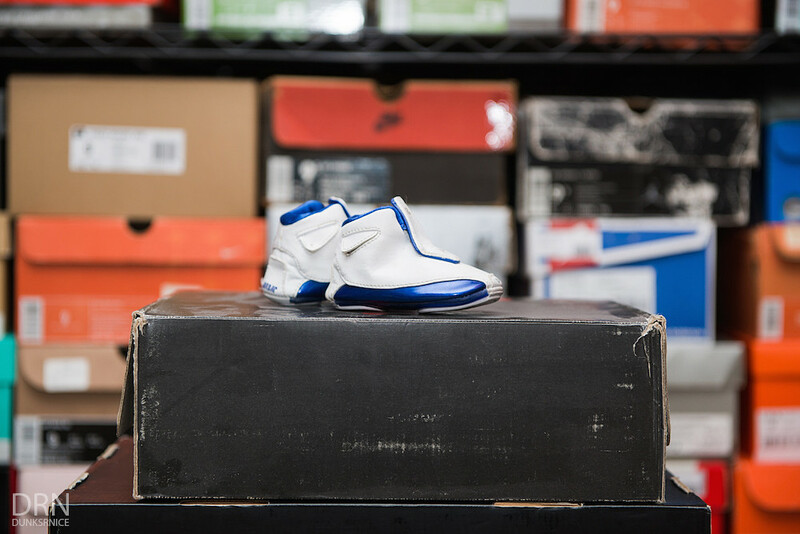 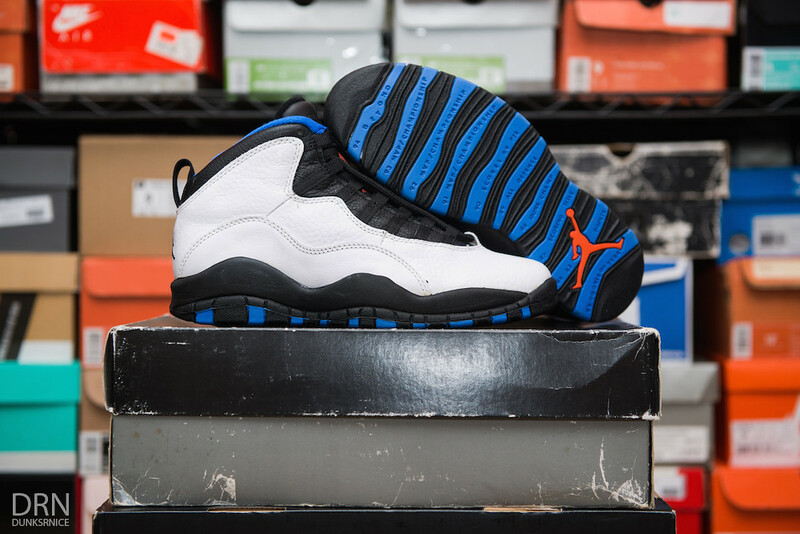 2001 True Blue Mens & Baby III's. 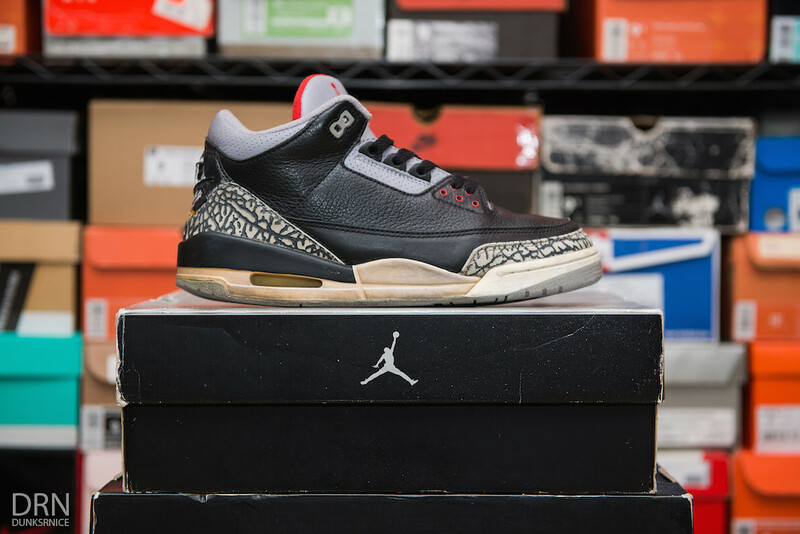 2001 Black Cement III's. 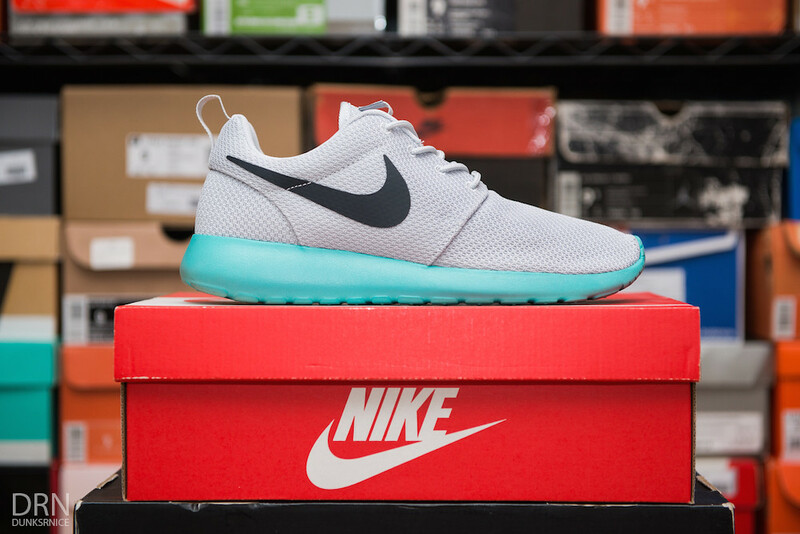 First Pair. 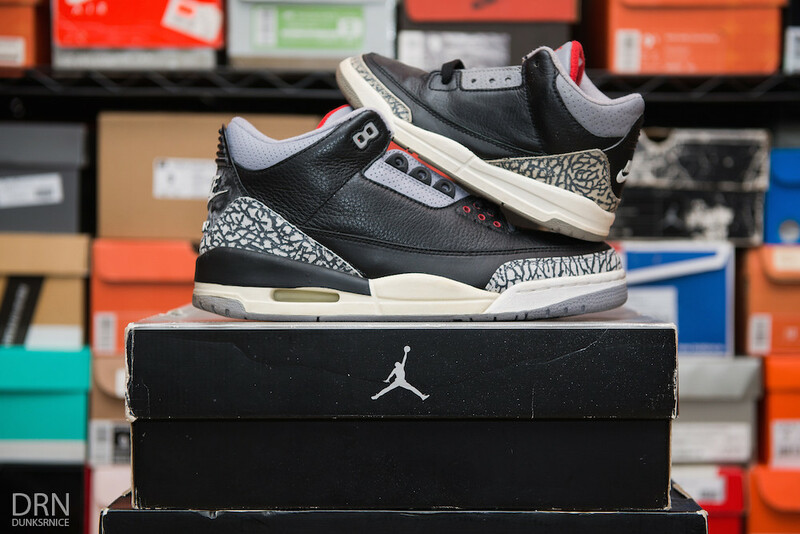 2001 Black Cement III's. 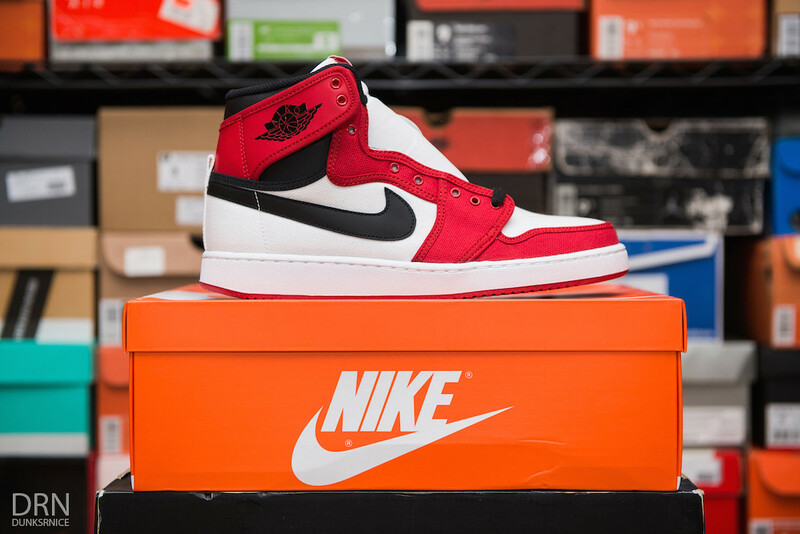 Second Pair. 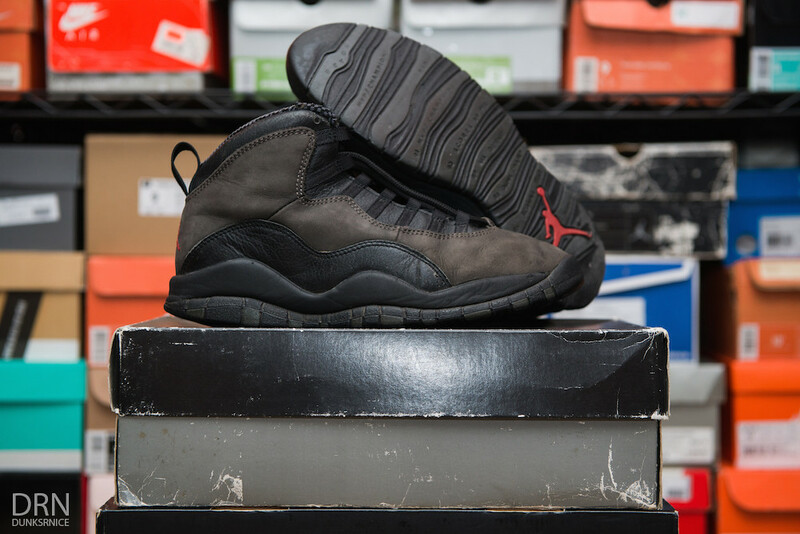 2001 Black Cement Mens & Youth III's. 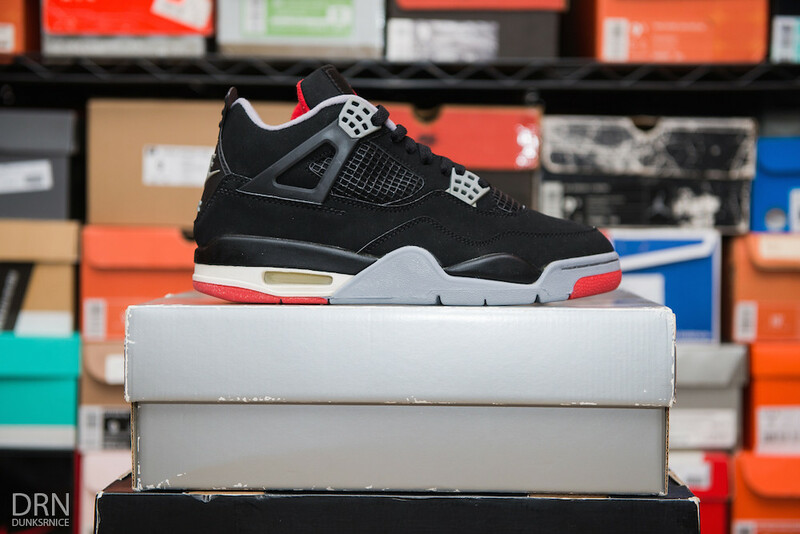 1999 Black & Red IV's. 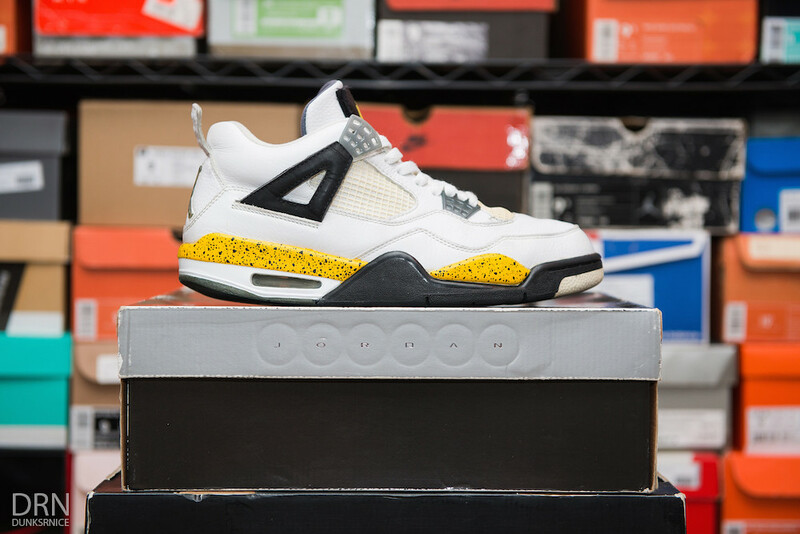 2006 White & Tour Yellow IV's. 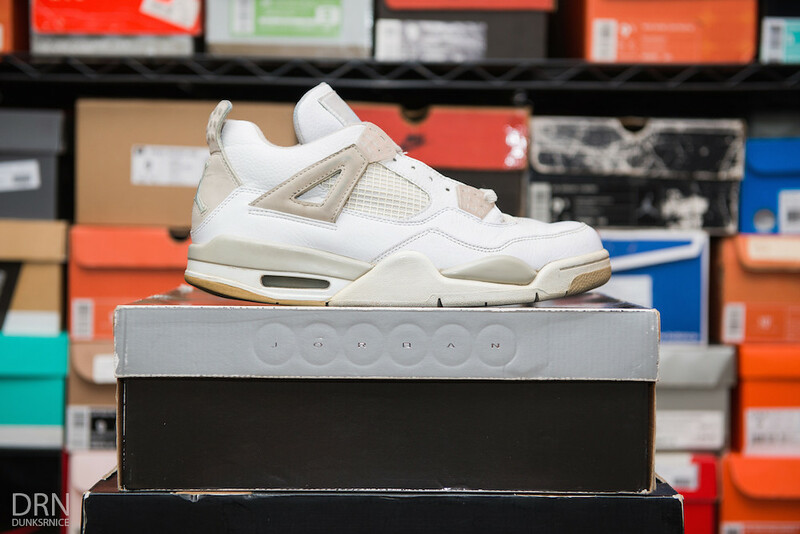 2006 White & Sand IV's. 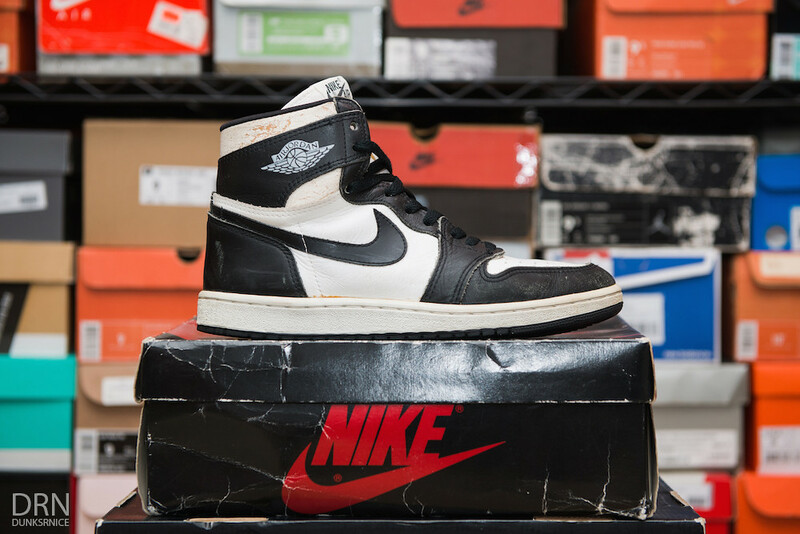 1990 Black Tongue 23 V's. 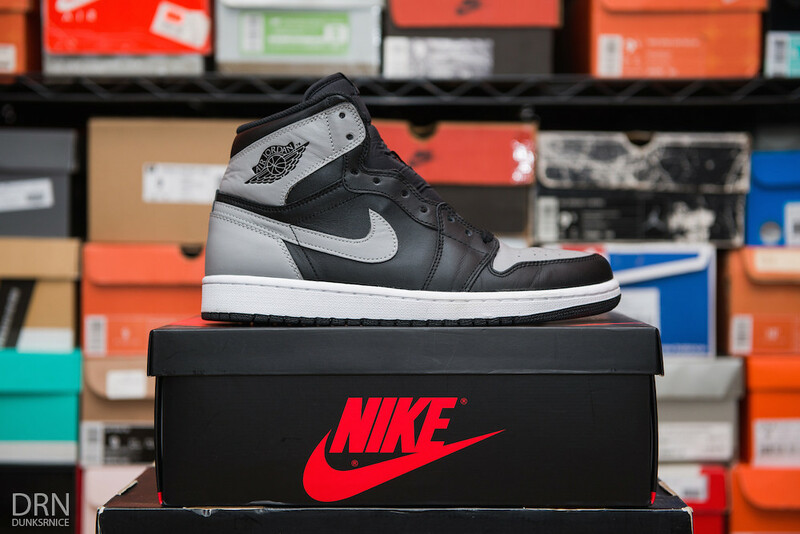 2000 Metallic Black Silver V's. 2000 Fire Red V's. First Pair. 2000 Fire Red V's. 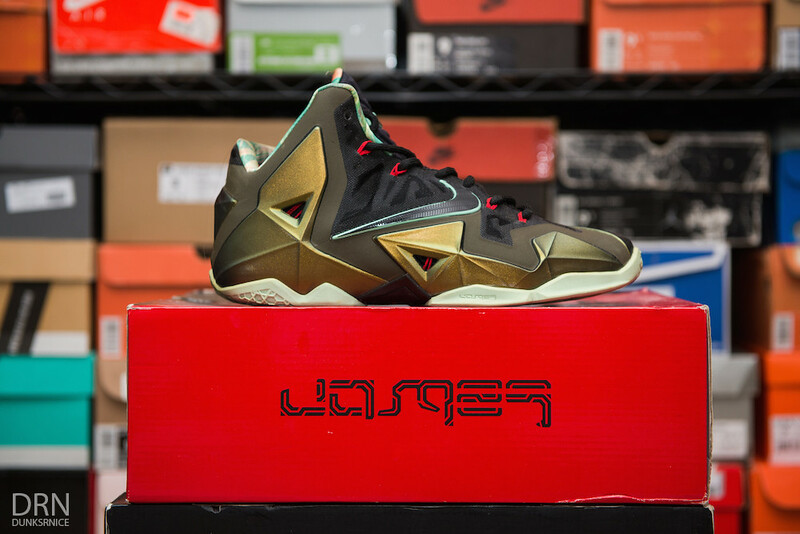 Second Pair. 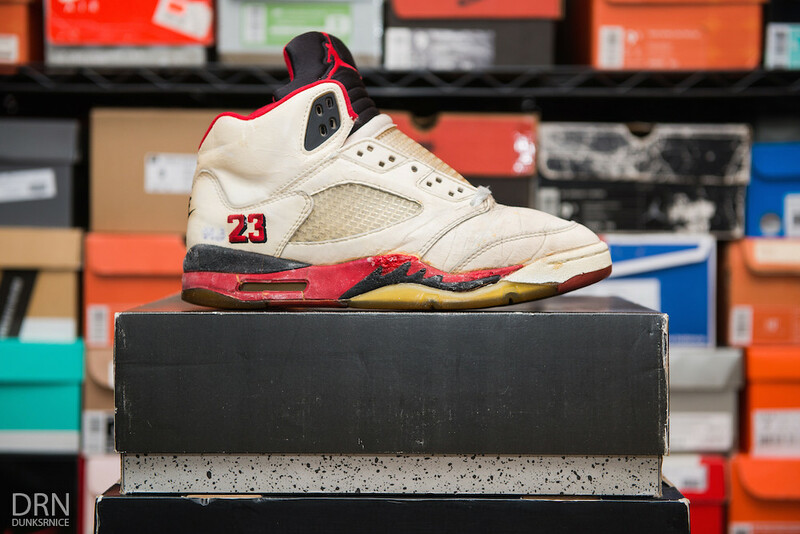 2000 Fire Red V's. 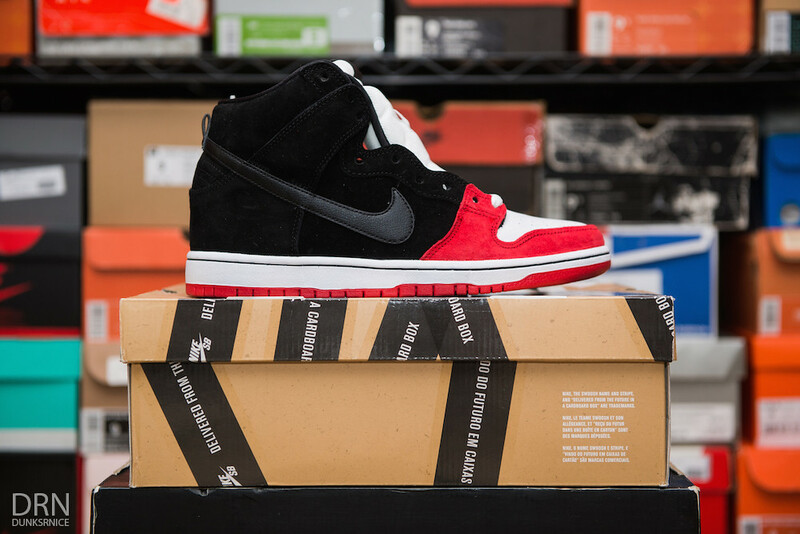 Third Pair. 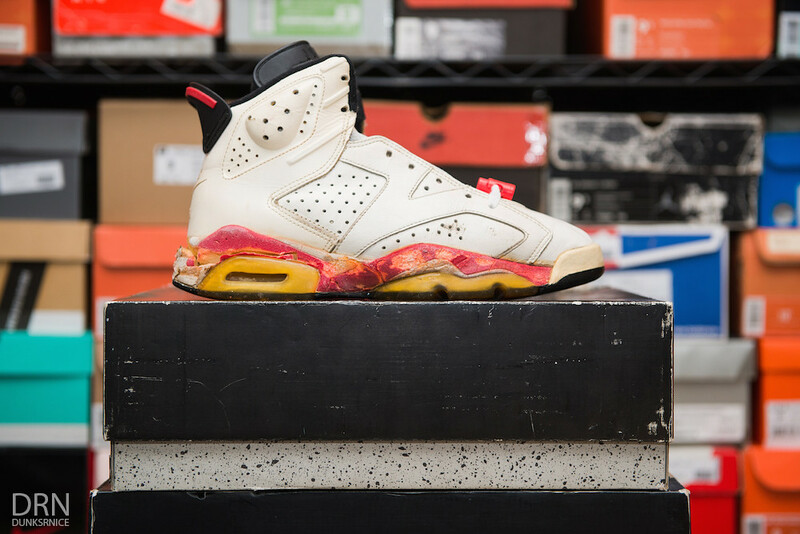 1991 White & Infrared VI's. 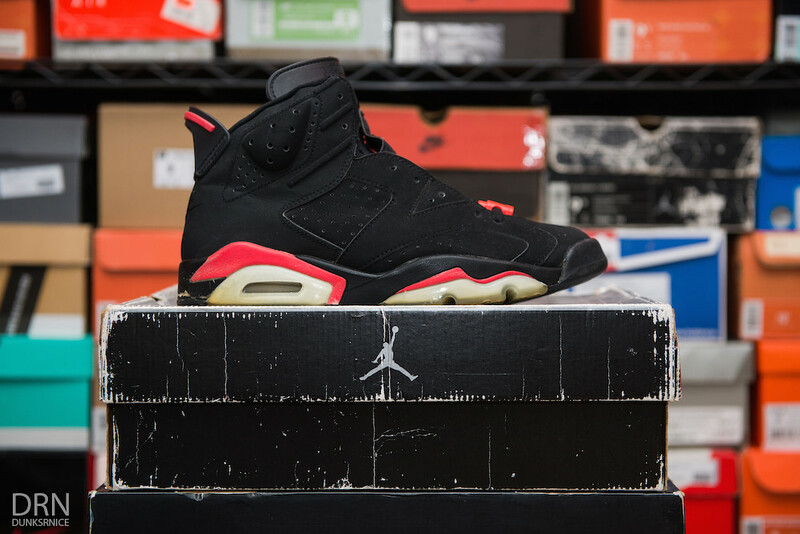 1991 Black & Infrared VI's. 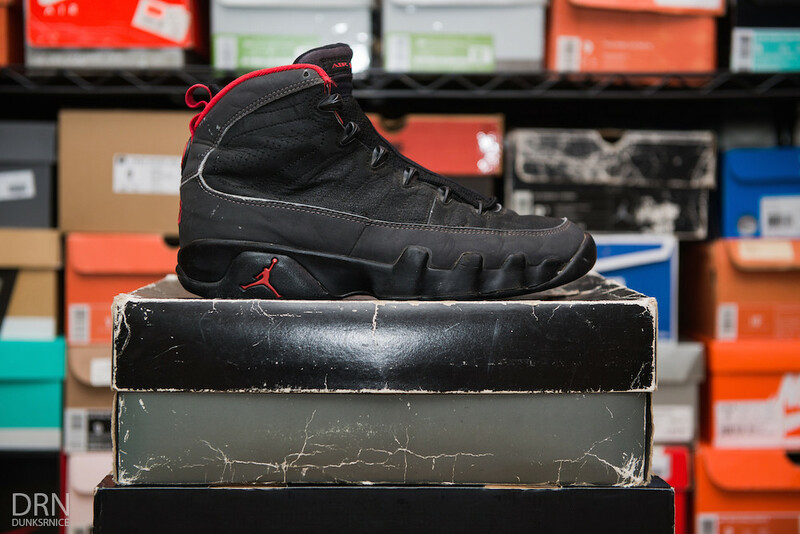 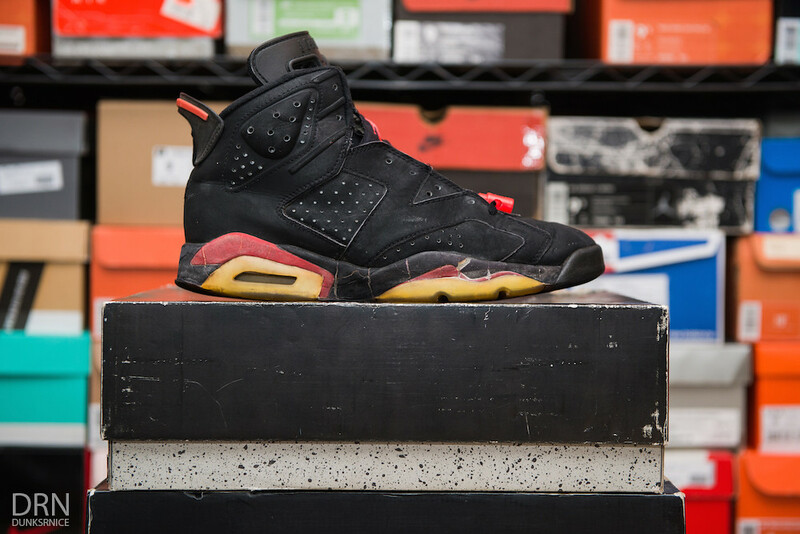 2000 Black & Infrared VI's. 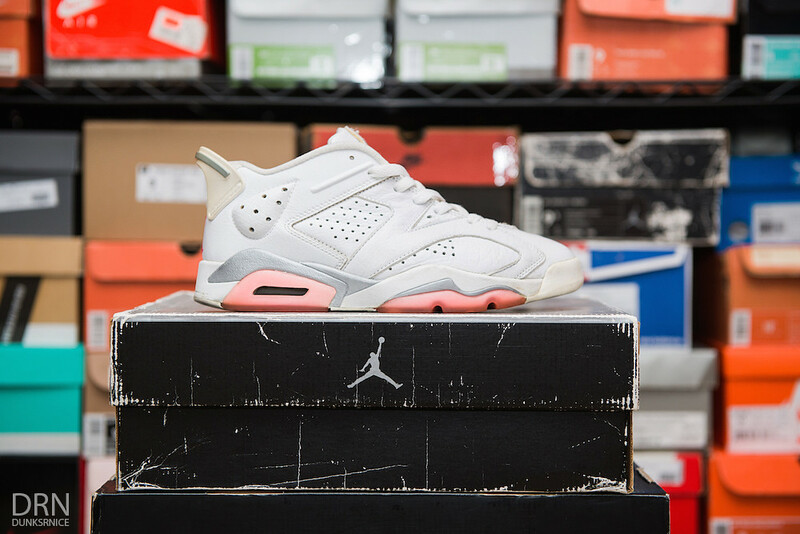 2002 White & Coral Rose Low VI's. 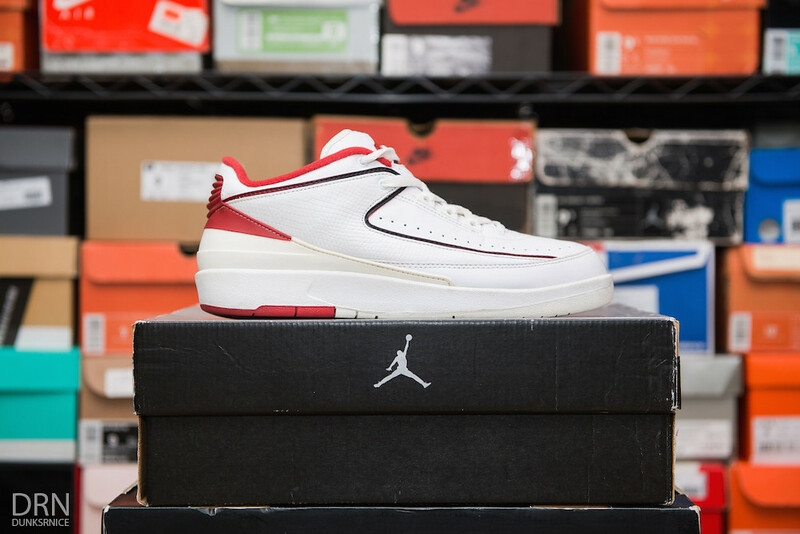 2010 White & Varsity Red VI's. 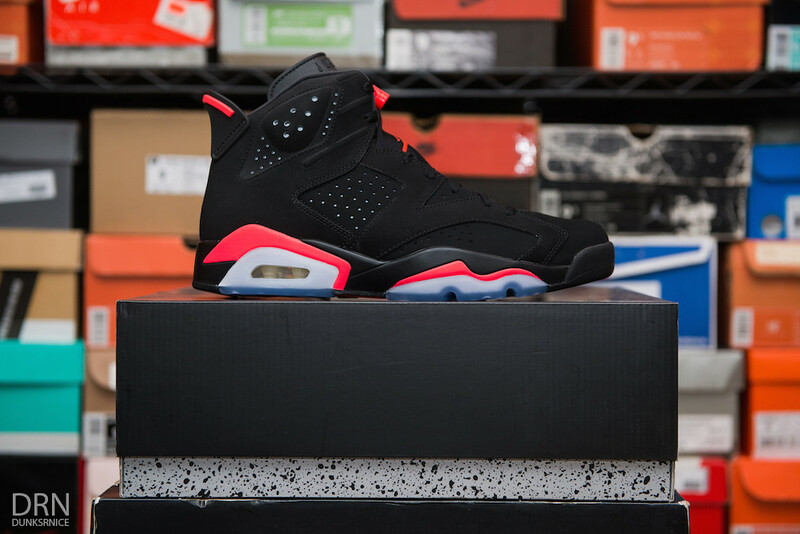 2014 Black & Infrared VI's. 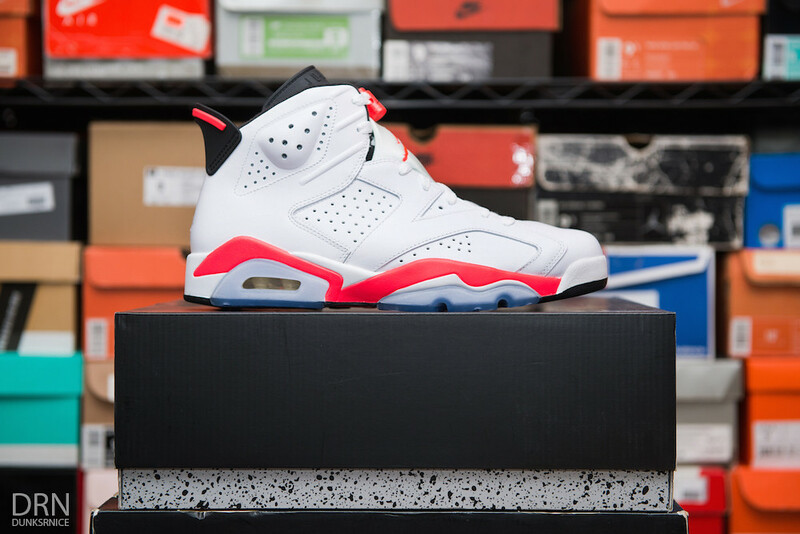 2014 White & Infrared VI's. 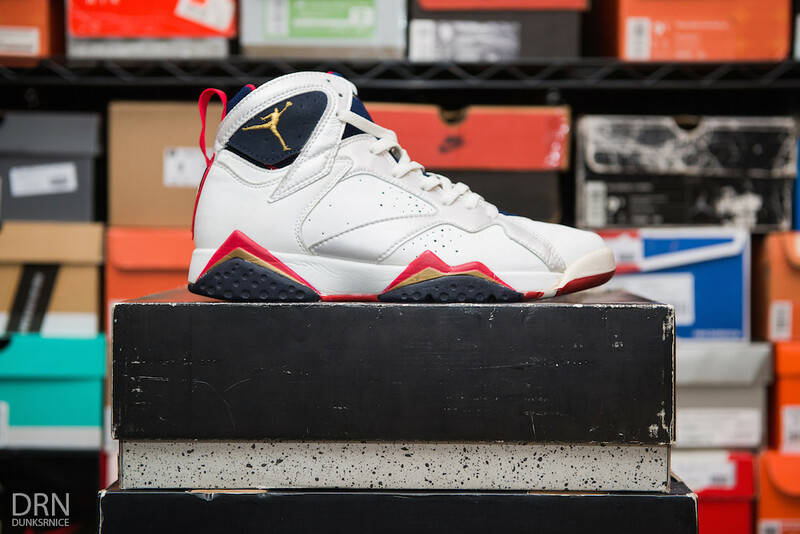 1992 Olympic VII's. 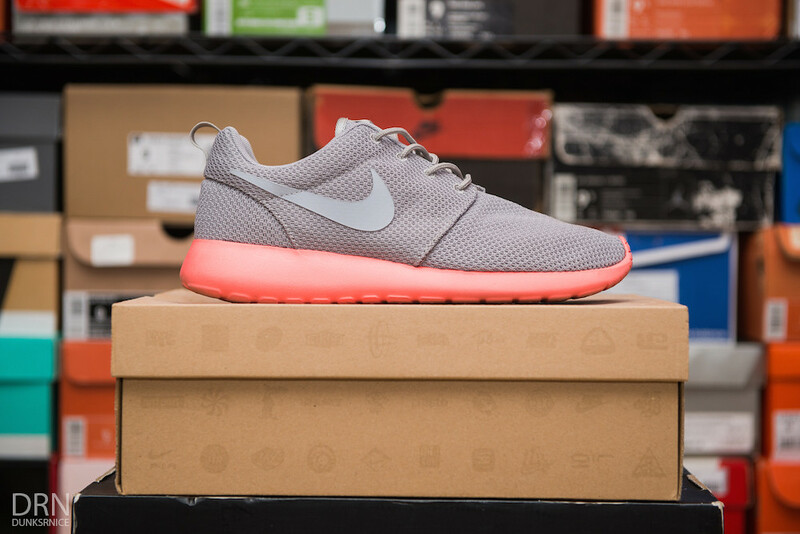 First Pair. 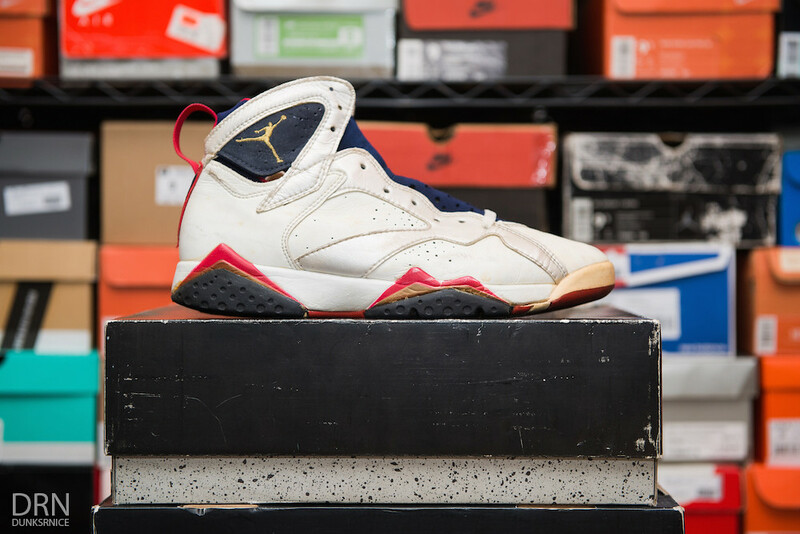 1992 Olympic VII's. 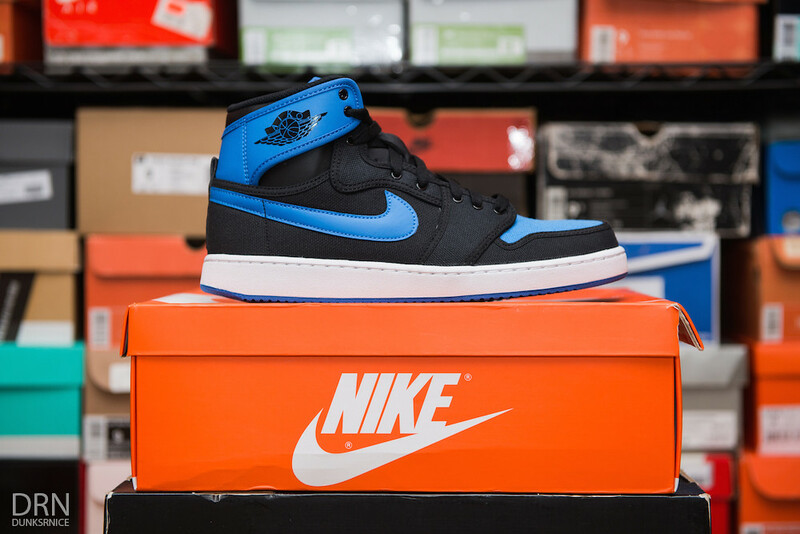 Second Pair. 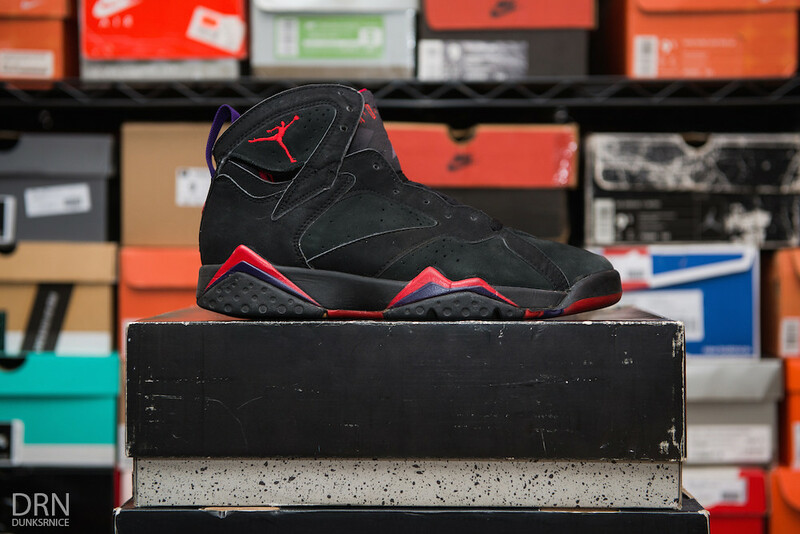 1992 Black & Red VII's. 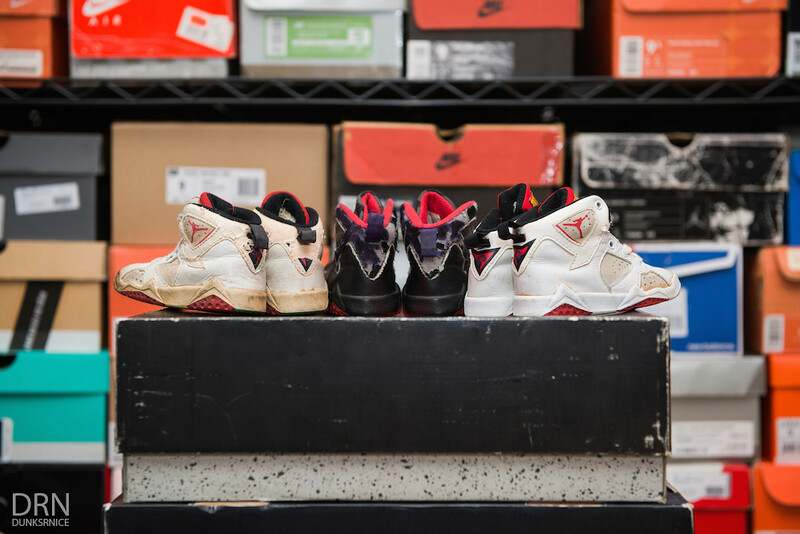 1992 Baby Hare & Black & Red VII's. 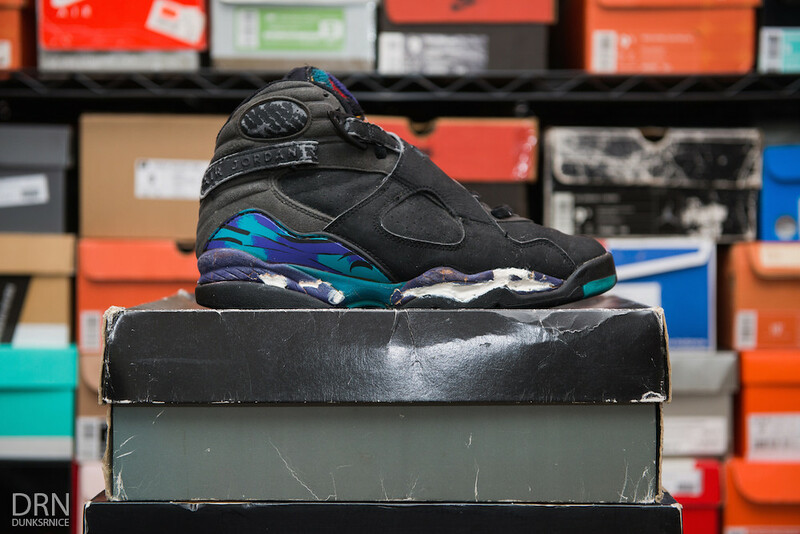 1993 Aqua VIII's. 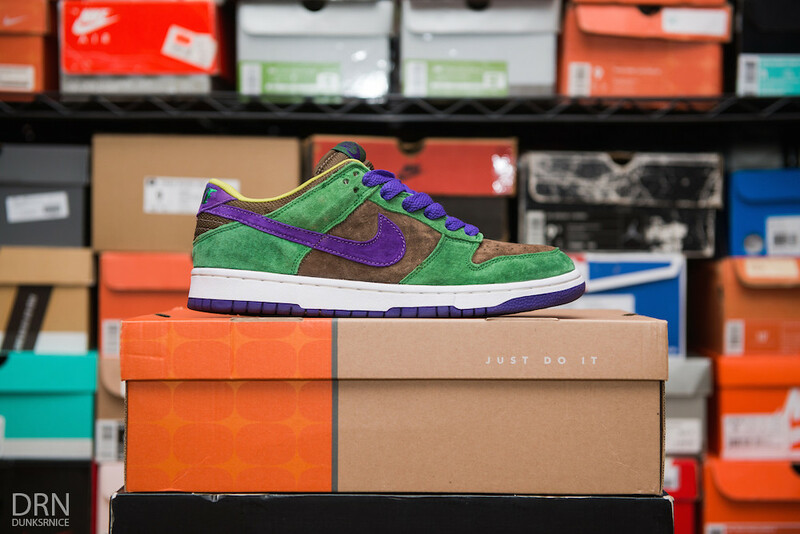 First Pair. 1993 Aqua VIII's. 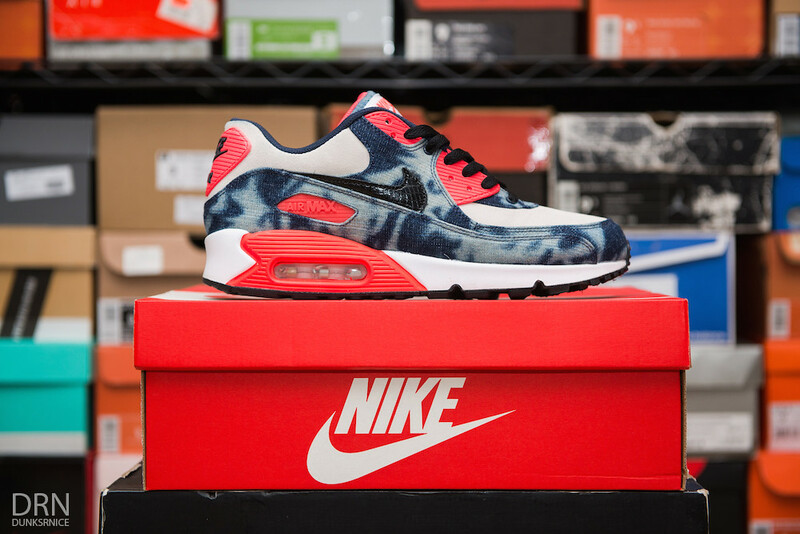 Second Pair. 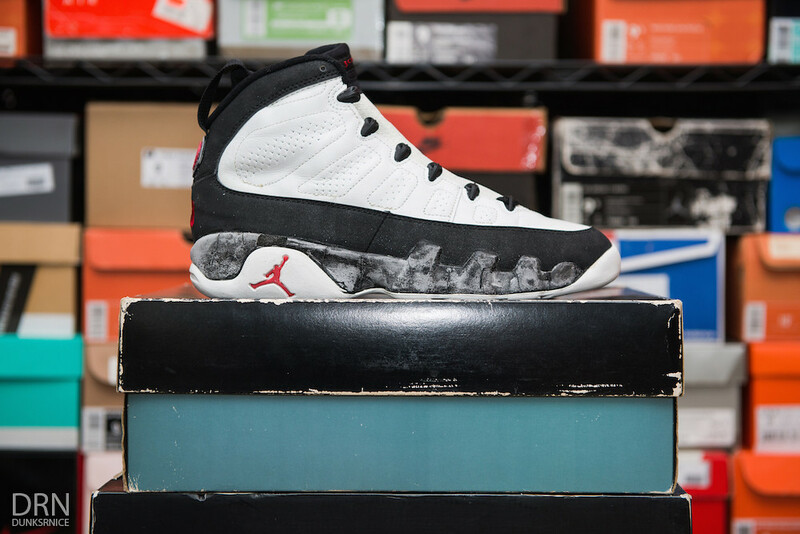 1993 White & Black IX's. 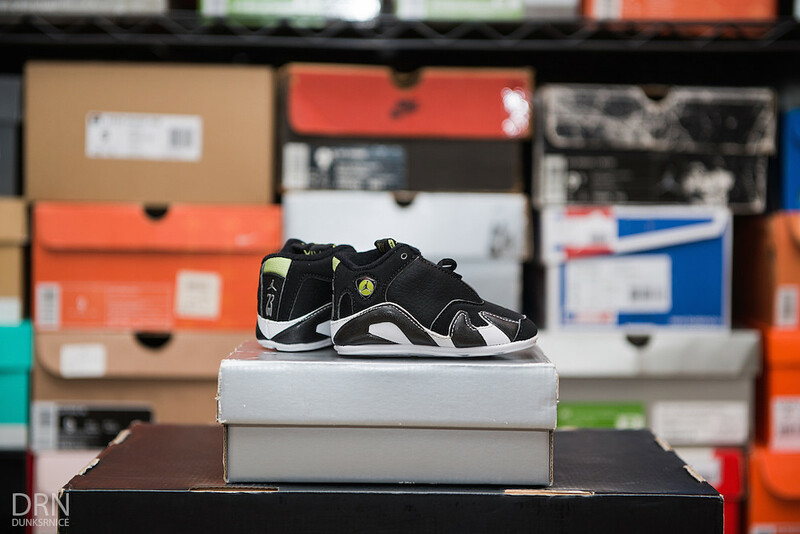 1994 Shadow X's First Pair. 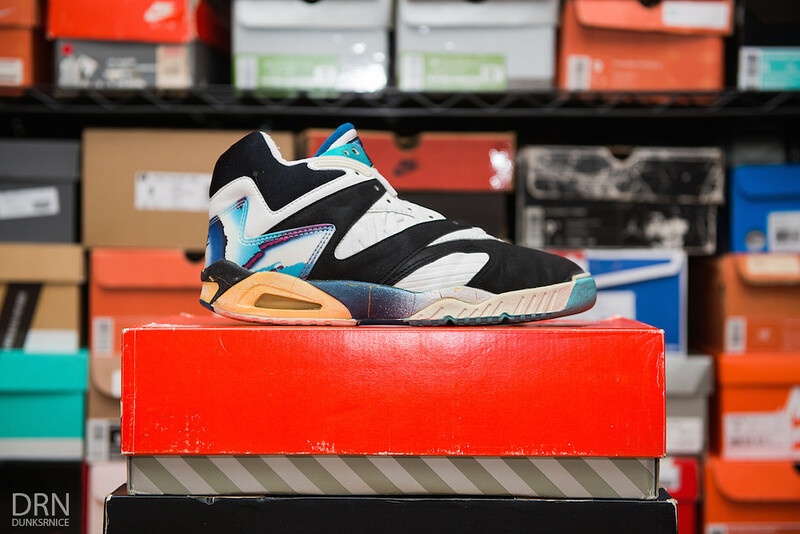 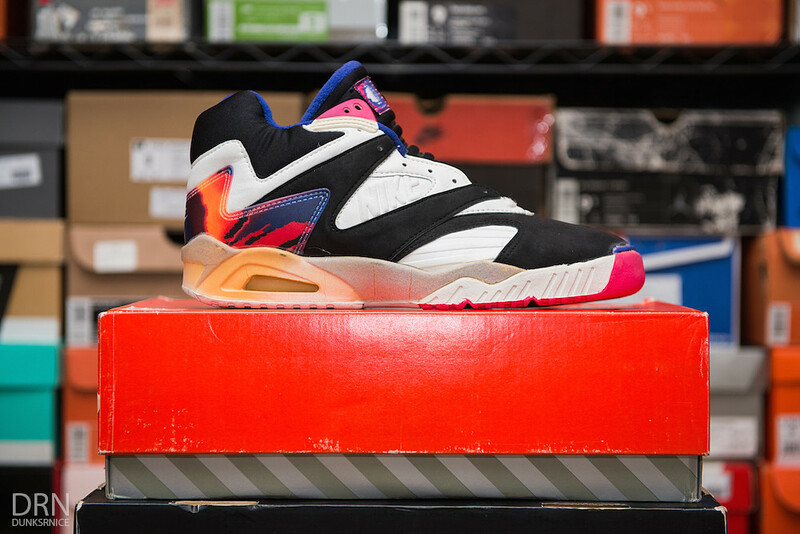 1994 Youth Shadow X's Second Pair. 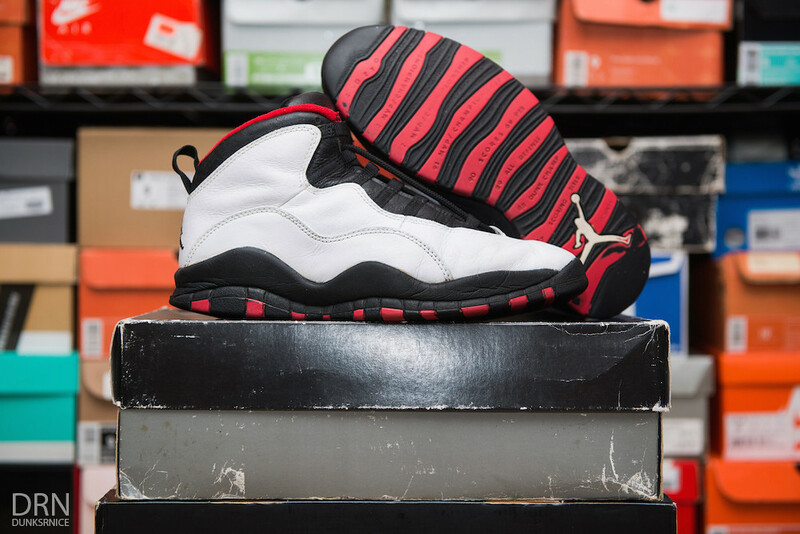 2015 Double Nickel 45 X's. 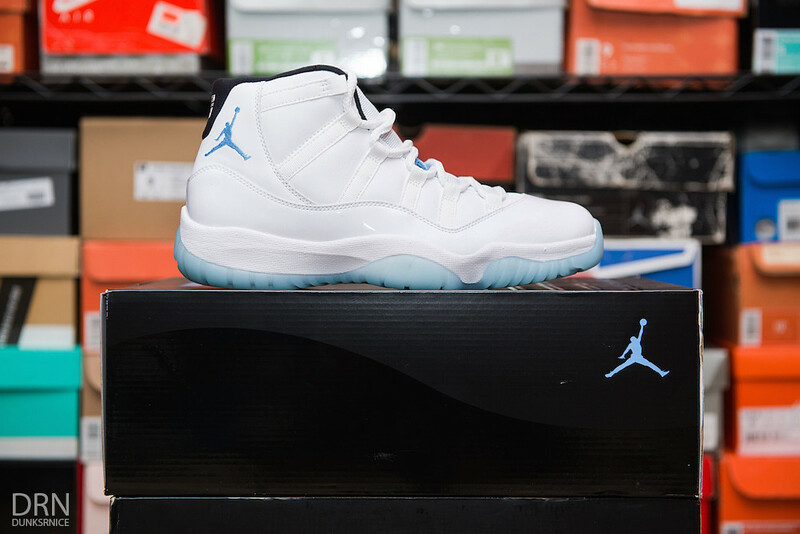 2001 Columbia XI's. 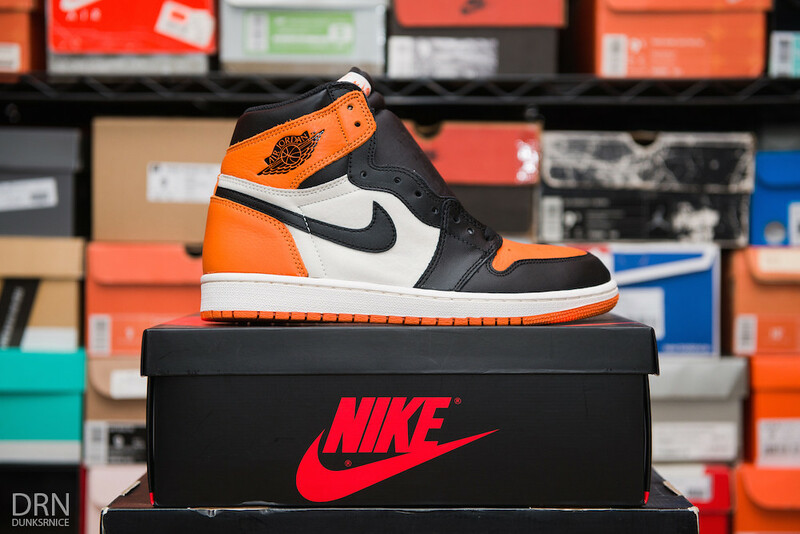 First Pair. 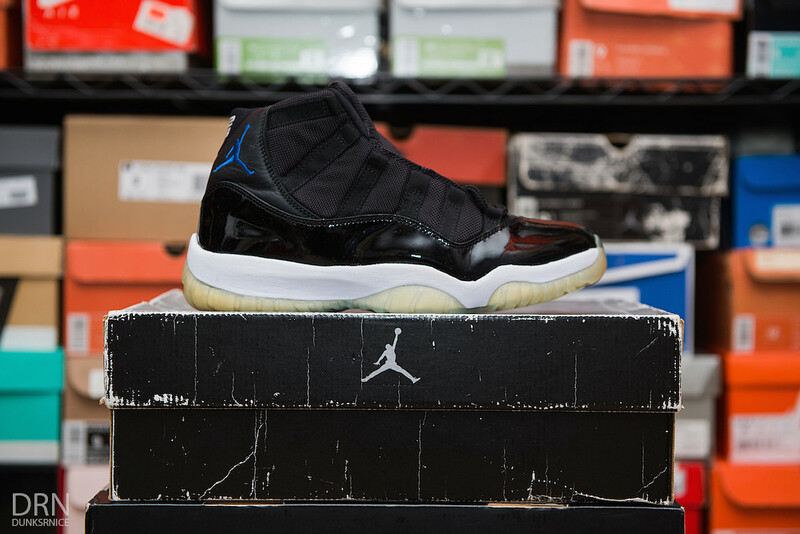 2001 Columbia XI's. 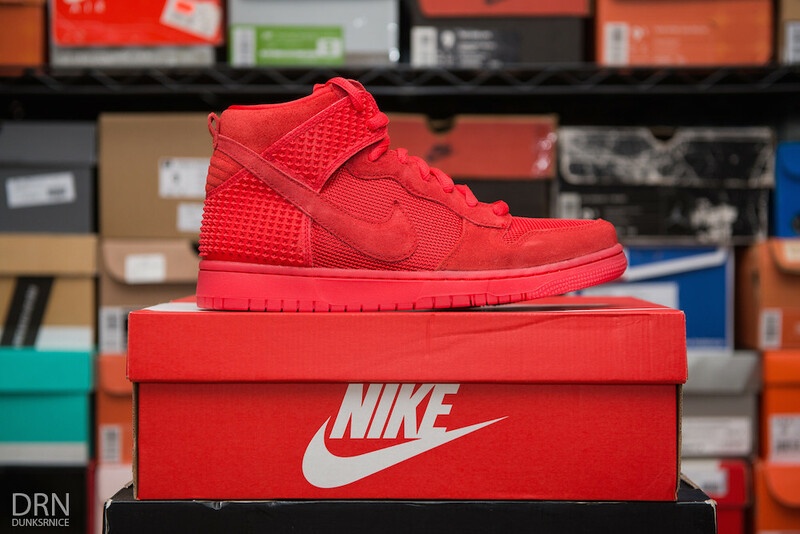 Second Pair. 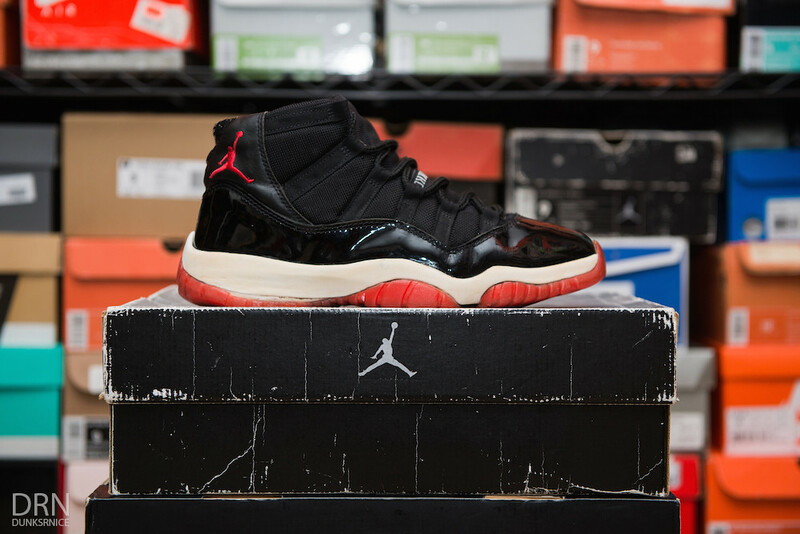 2001 Black & Red XI's. 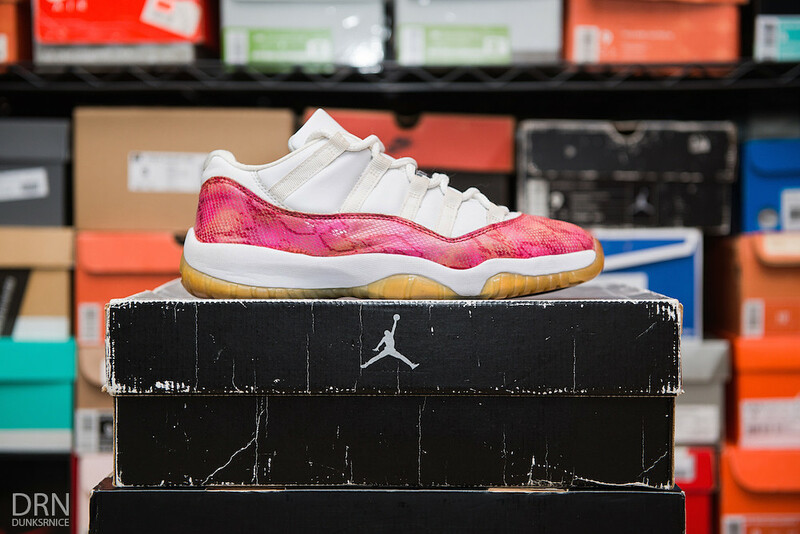 2001 Women's Pink Snakeskin Low XI's. First Pair. 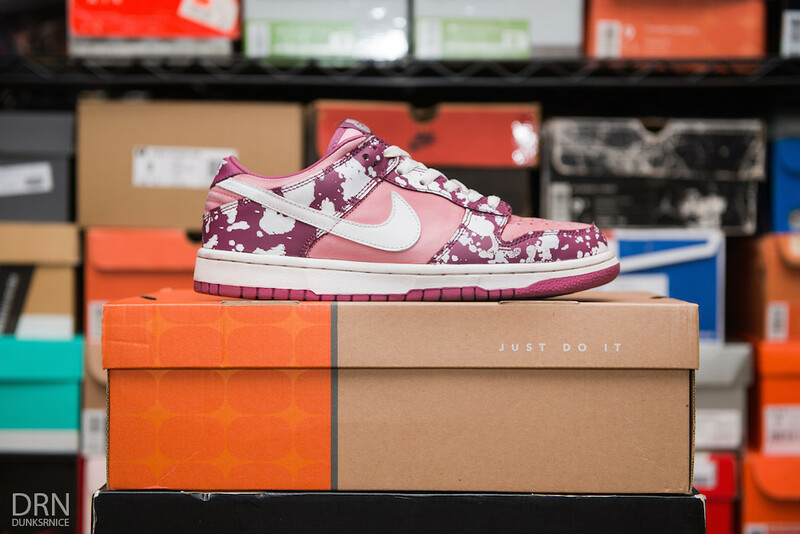 2001 Women's Pink Snakeskin Low XI's. 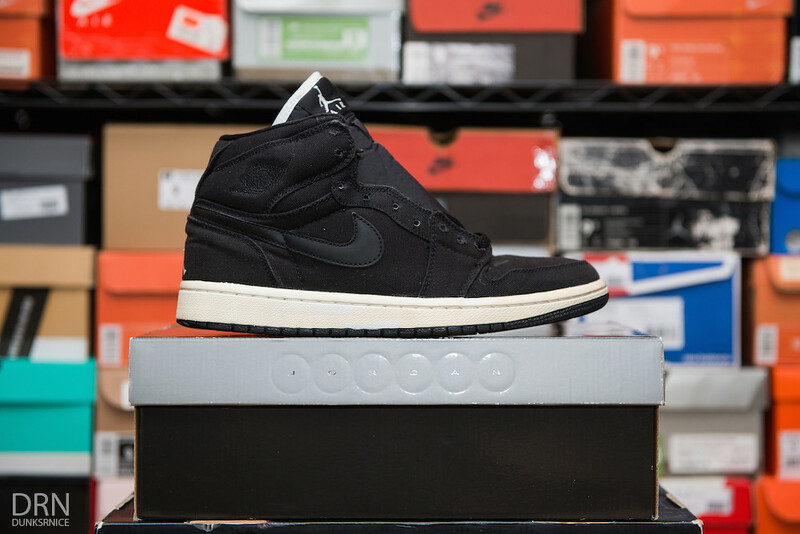 Second Pair. 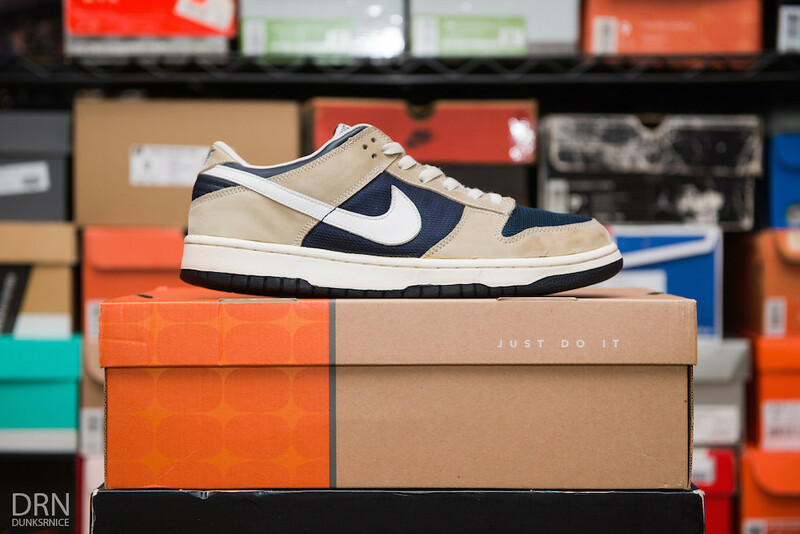 2001 Navy Snakeskin Low XI's. 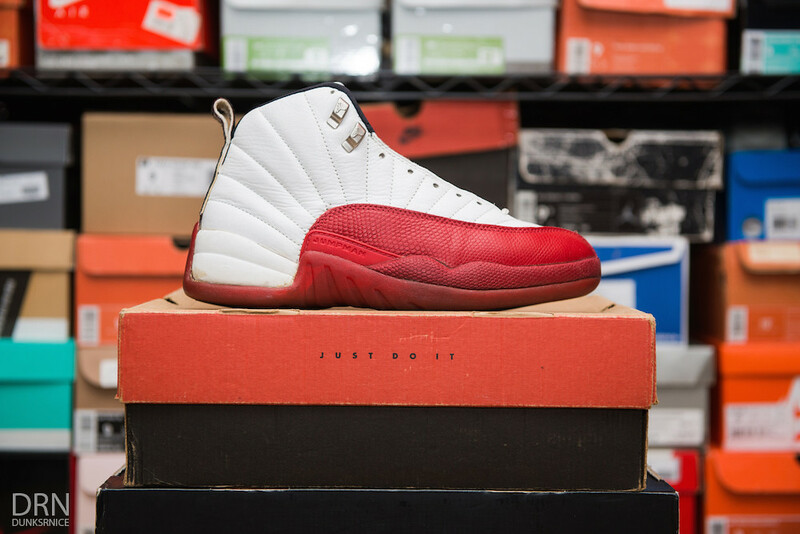 1997 White & Red XII's. 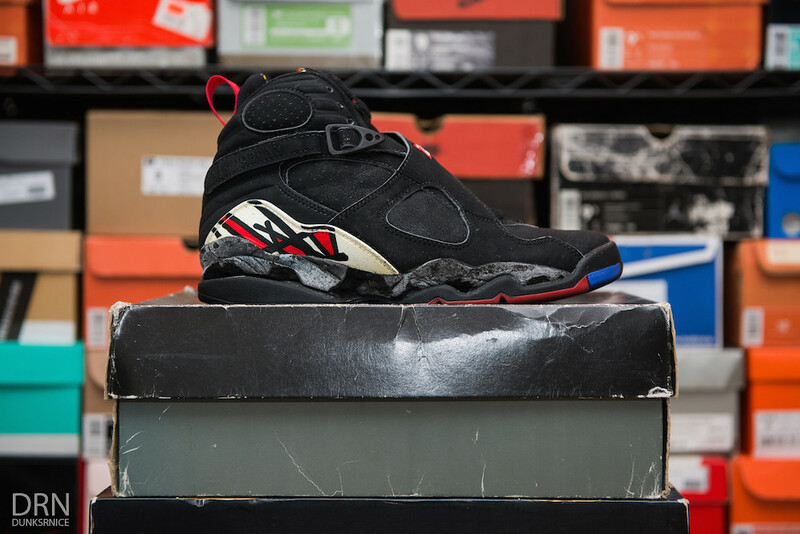 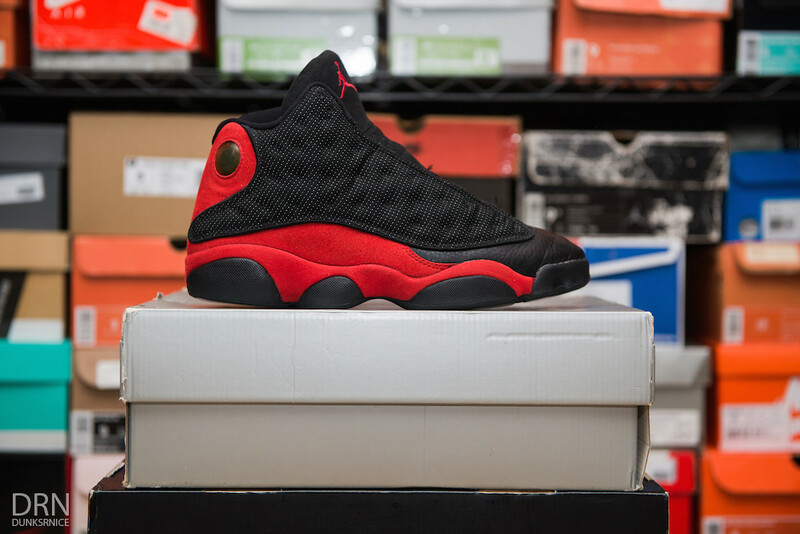 1998 Black & Red XIII's. 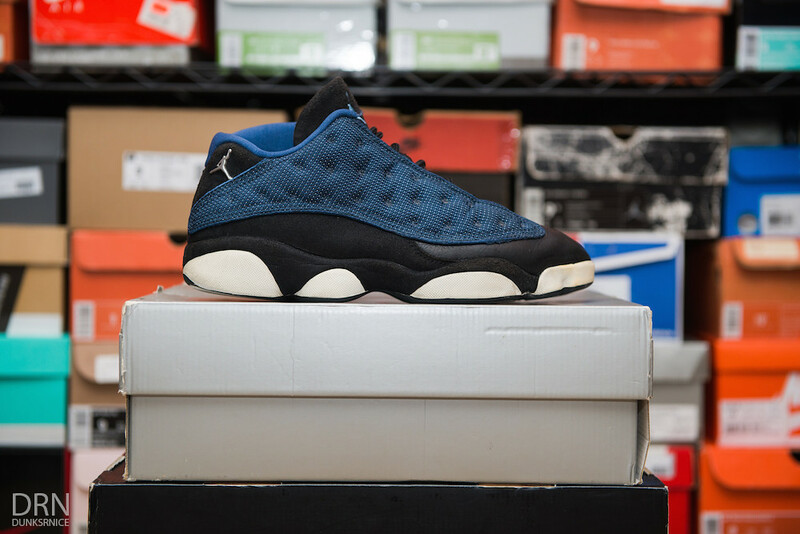 1998 Black & Navy Low XIII's. 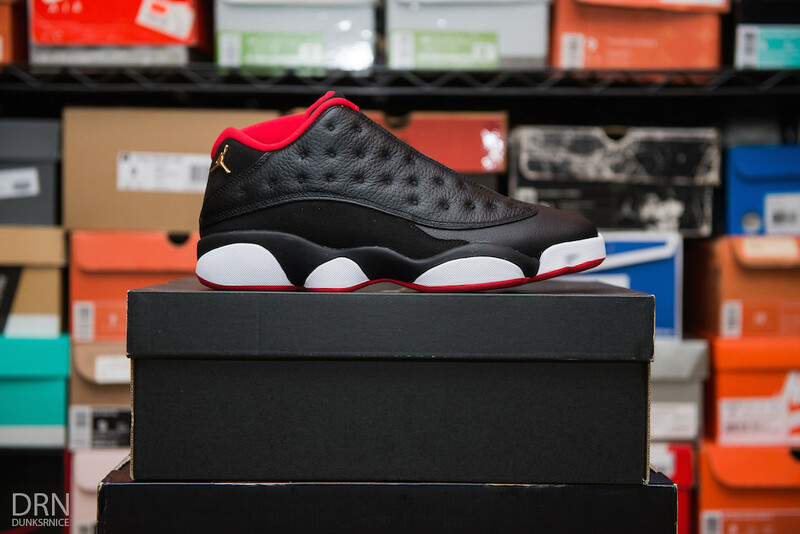 2015 Black & Red Low XIII's. 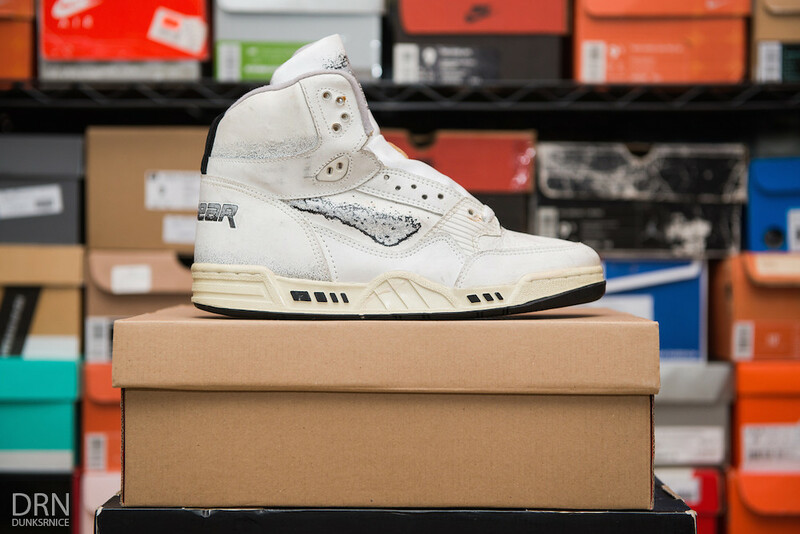 1999 White & Columbia Low XIV's. 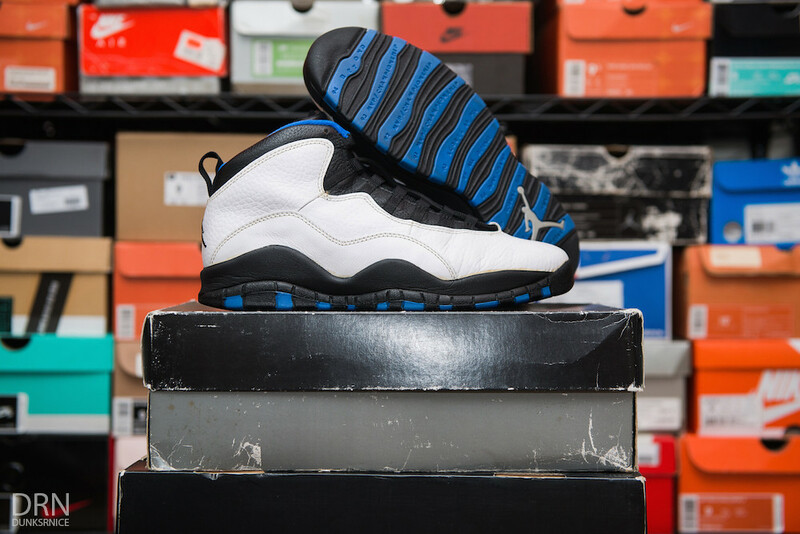 2000 Navy & White XV's. 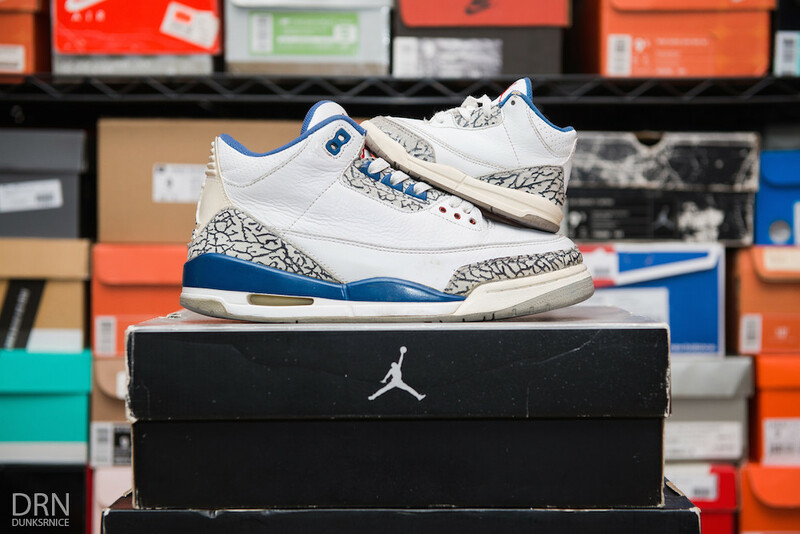 2003 White & Sport Royal XVIII's. 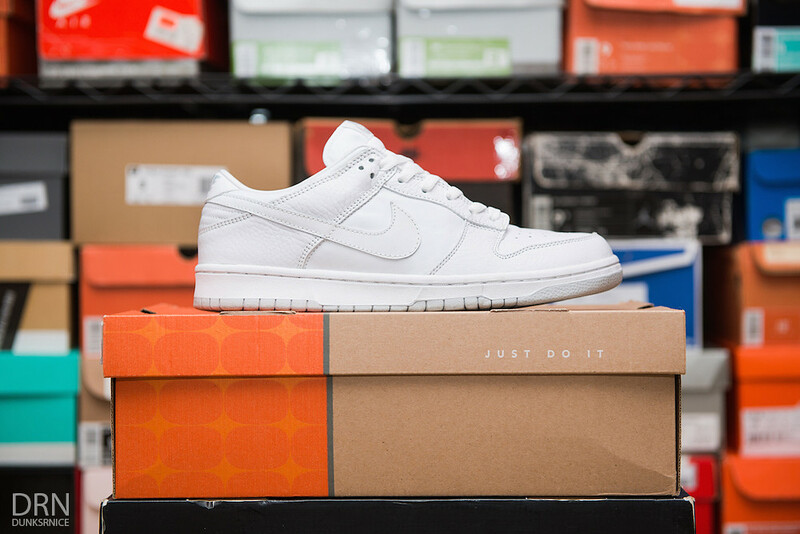 White Supreme Dunk Low SB's. 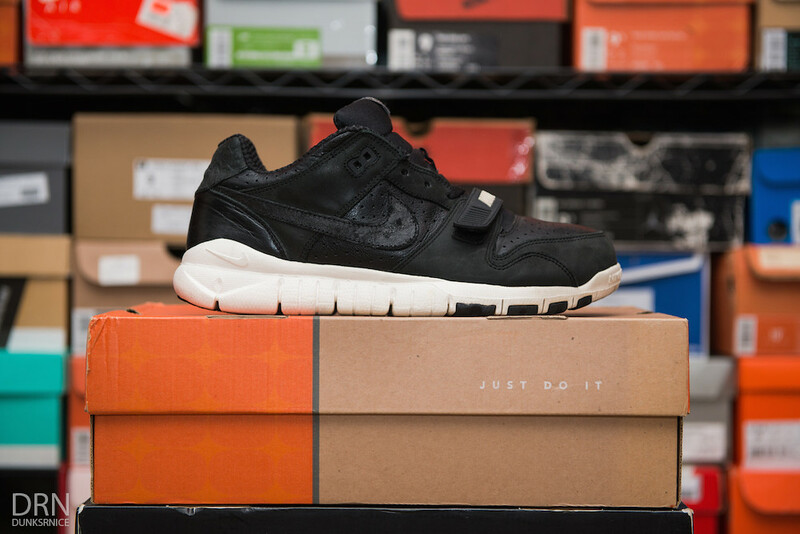 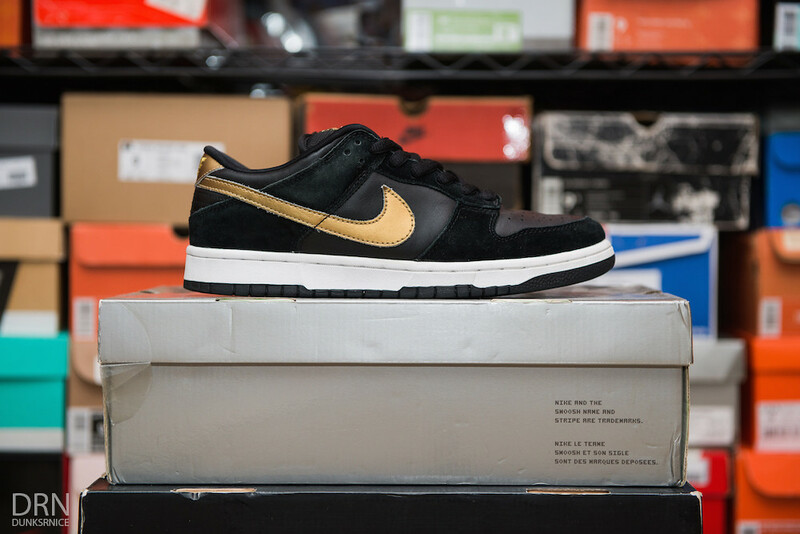 Black Supreme Dunk Low SB's. 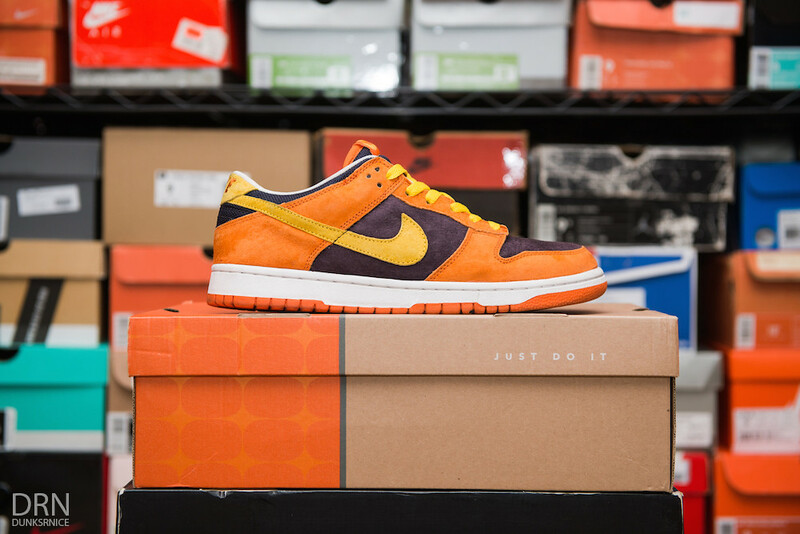 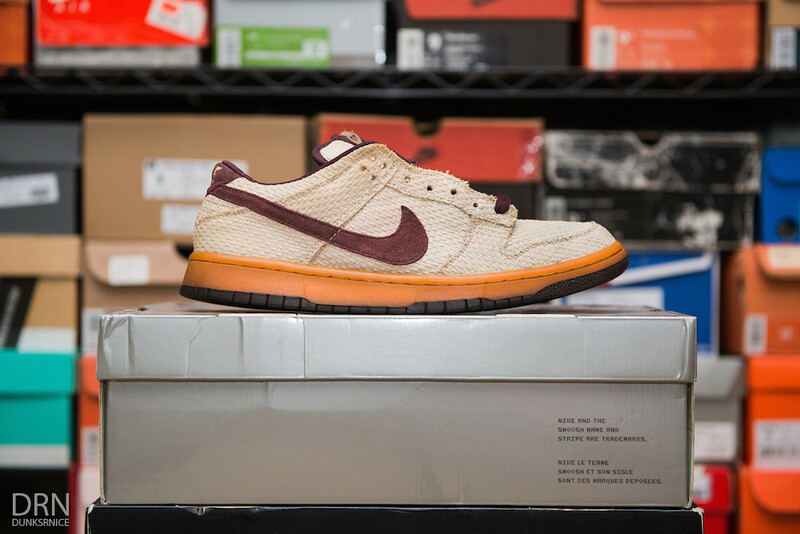 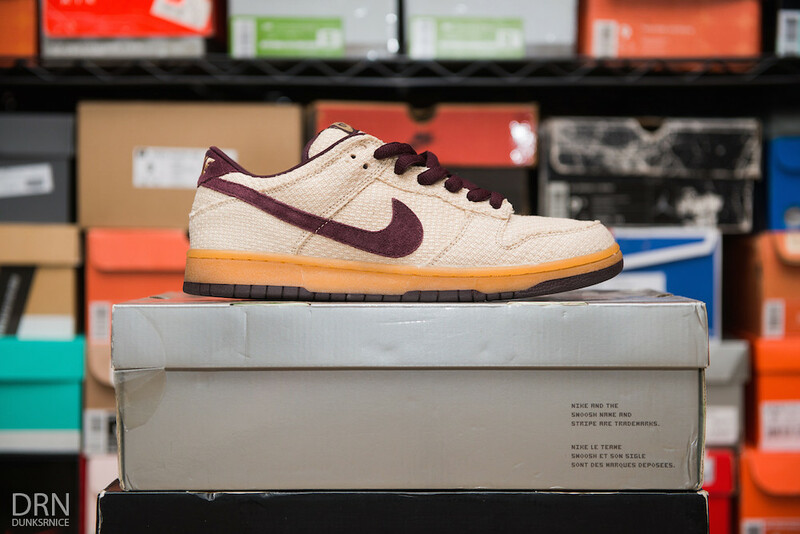 Mahogany Dunk Low SB's. 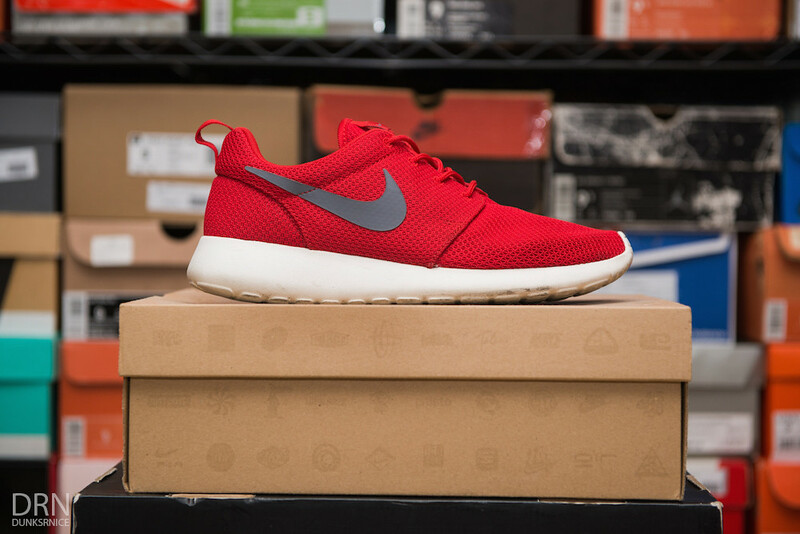 First Pair. 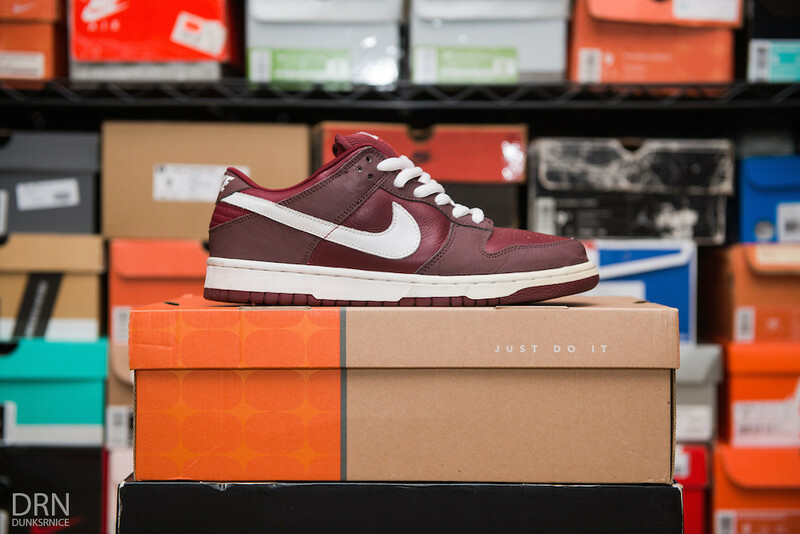 Mahogany Dunk Low SB's. 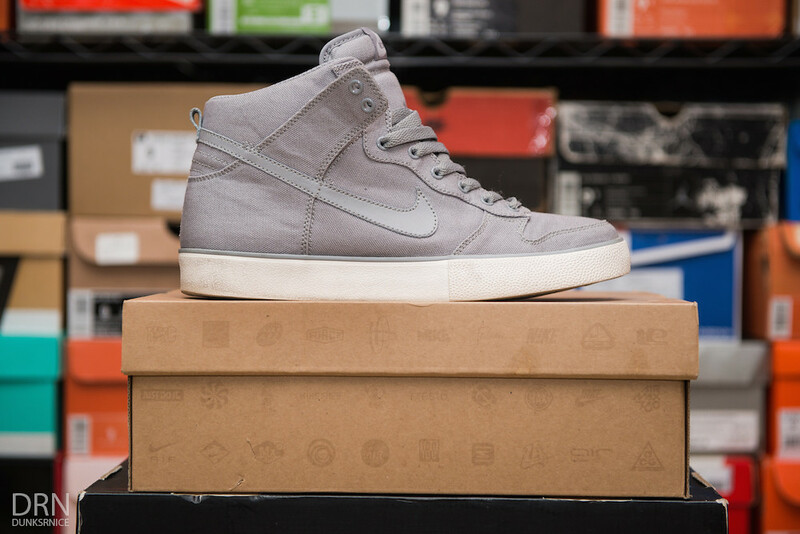 Second Pair. 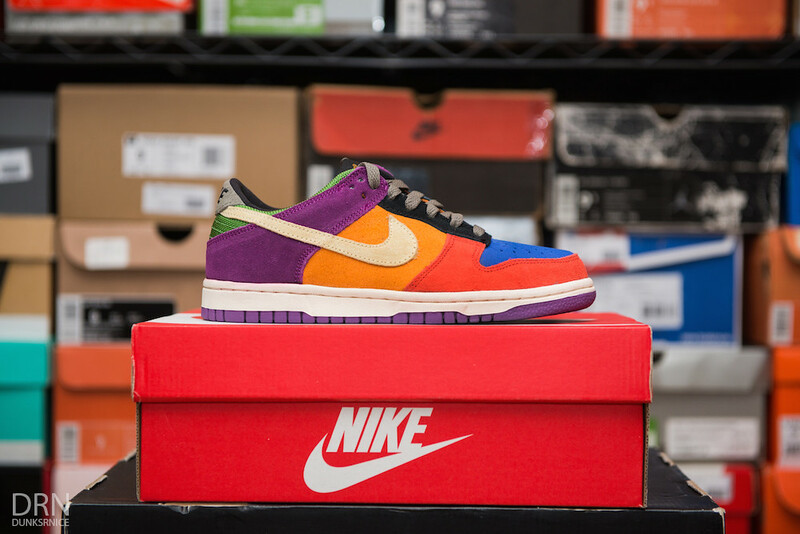 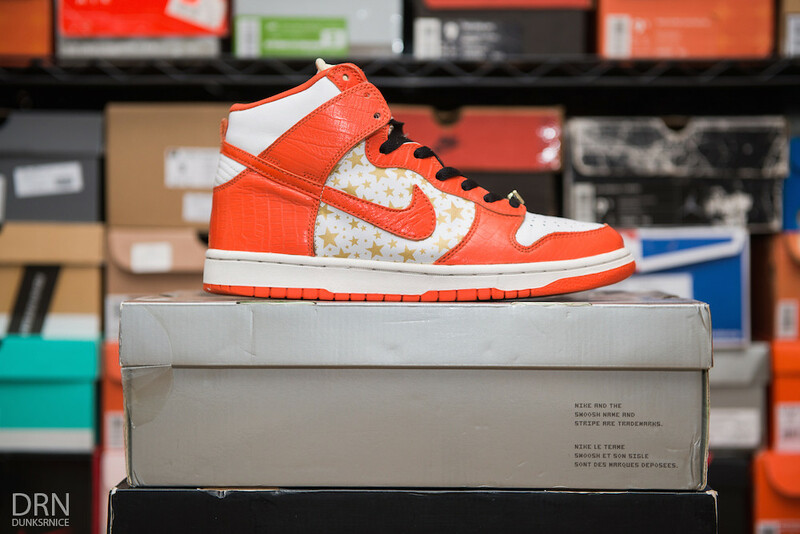 Orange Supreme Dunk High SB's. 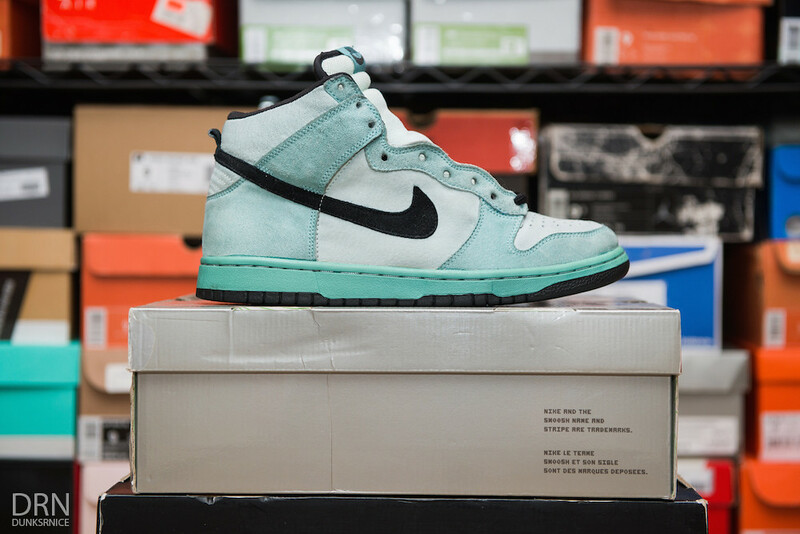 Sea Crystal Dunk High SB's. 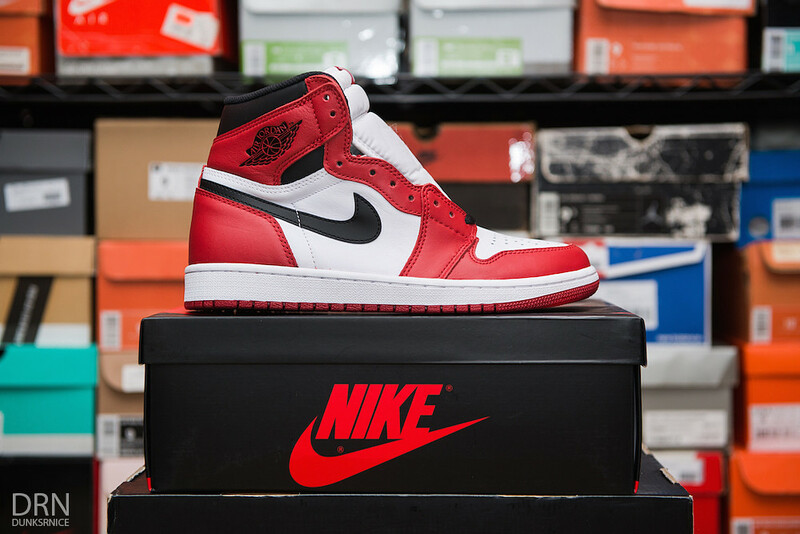 First Pair. 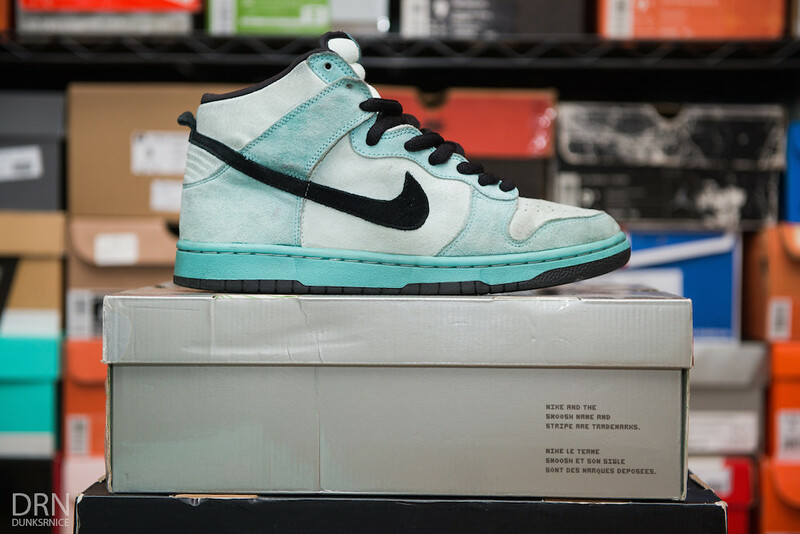 Sea Crystal Dunk High SB's. 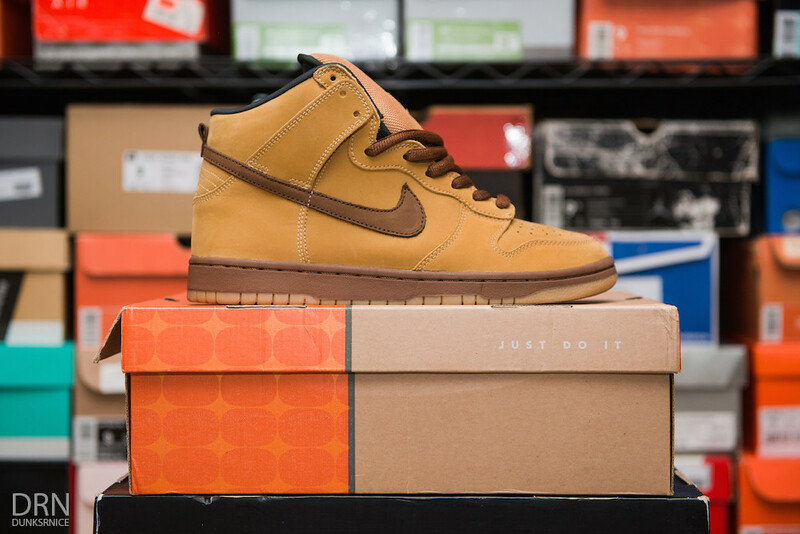 Second Pair. 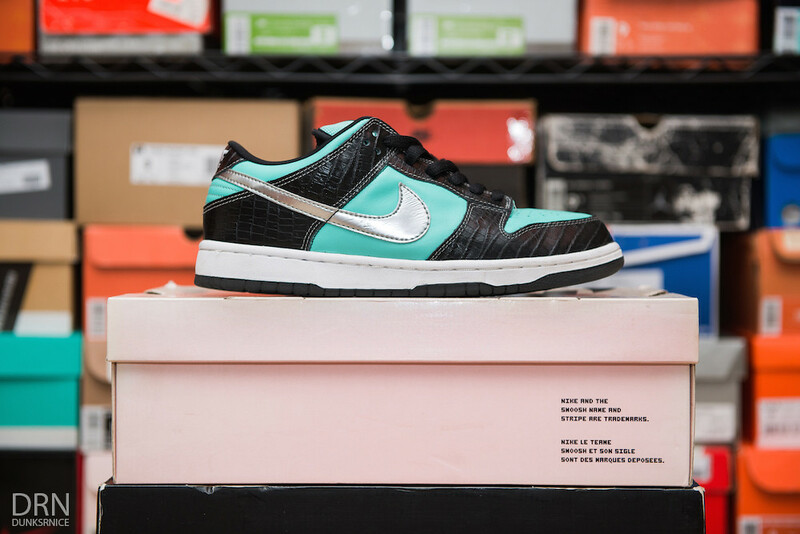 Tiffany Diamond Dunk Low SB's. 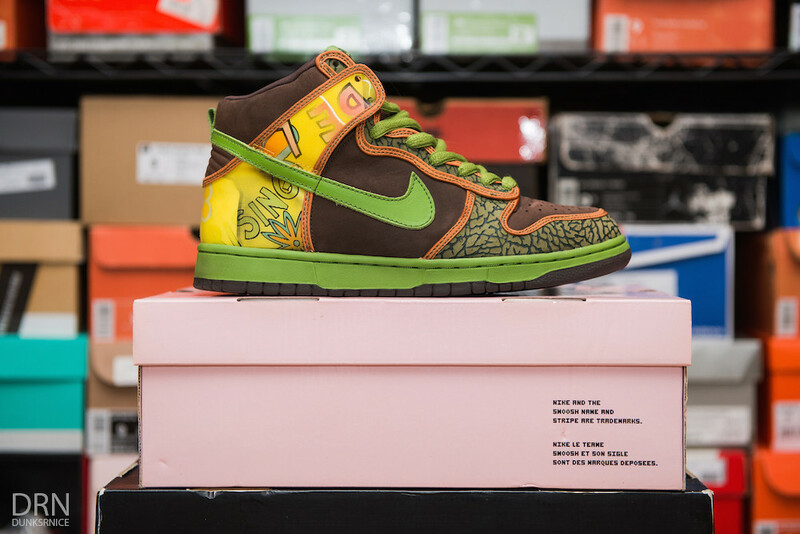 De La Soul Dunk High SB's. 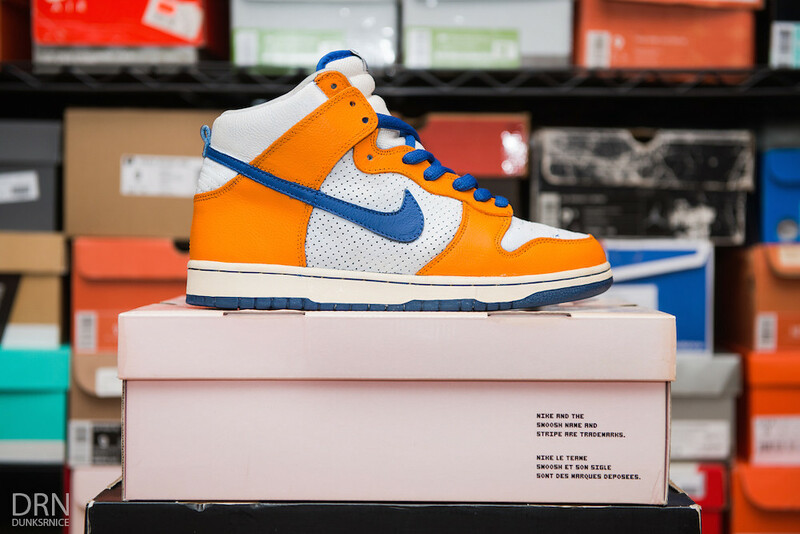 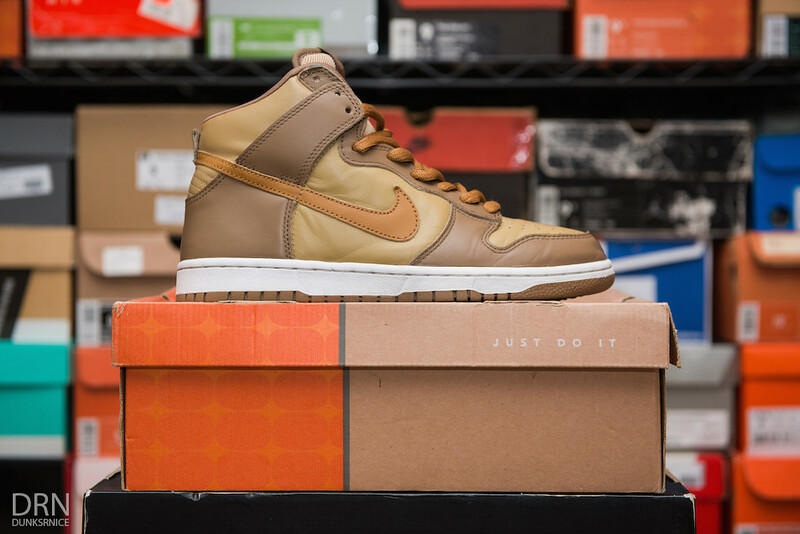 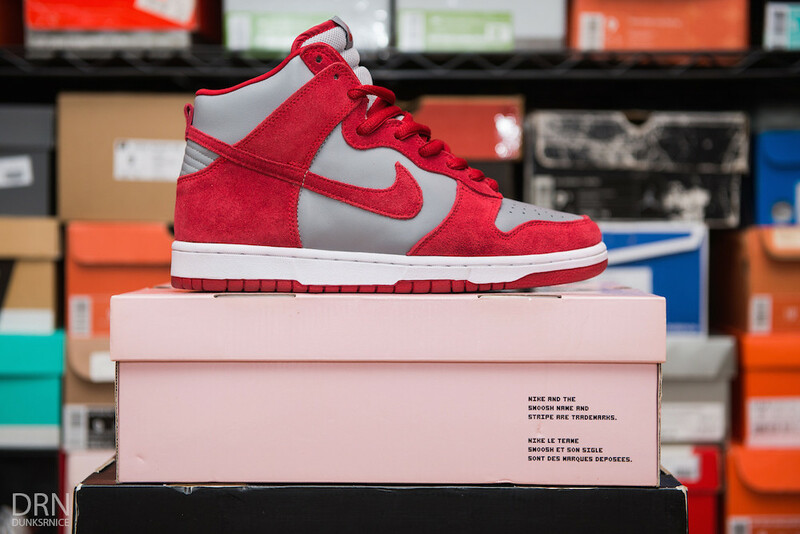 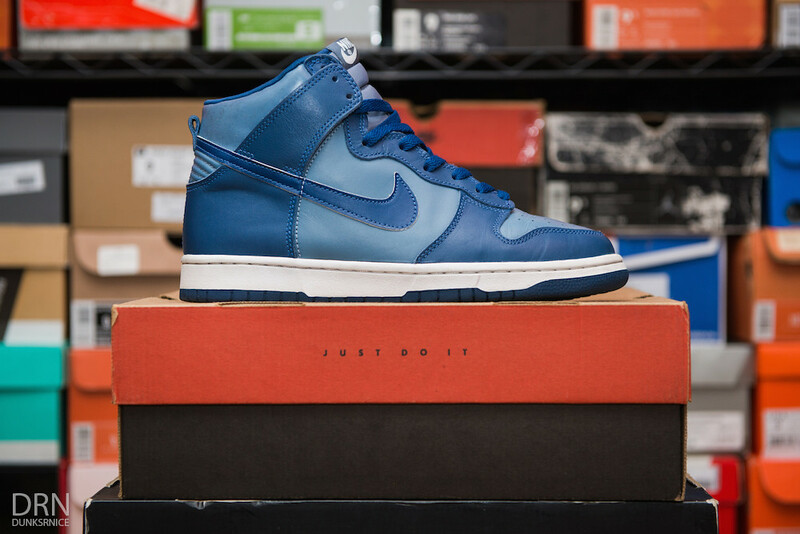 UNVL BTTYS Dunk High SB's. 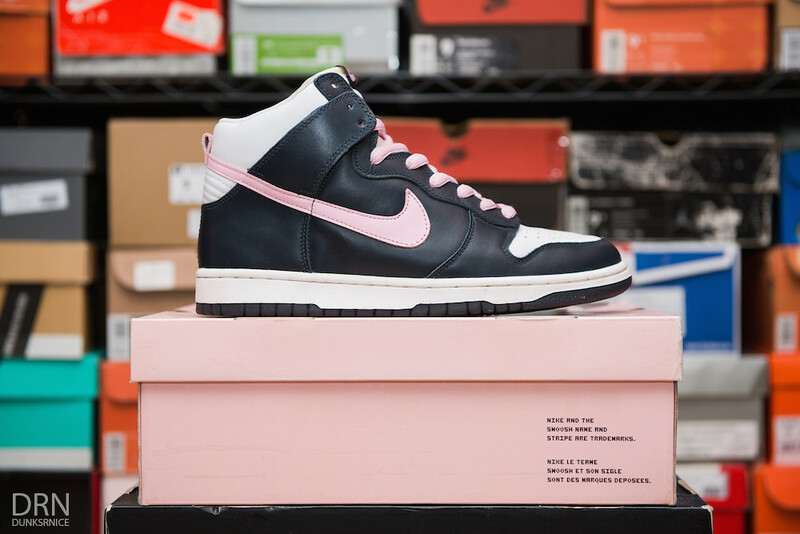 Shy Pink Dunk High SB's. 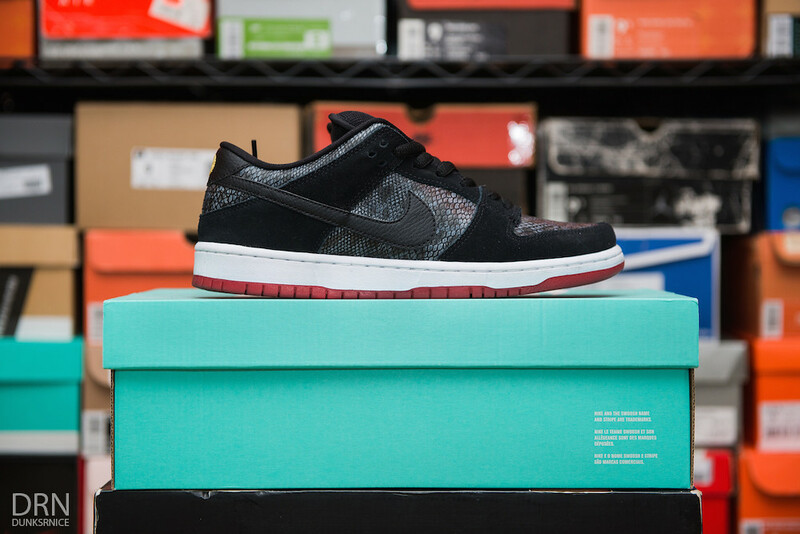 Snake Eye Dunk Low SB's. 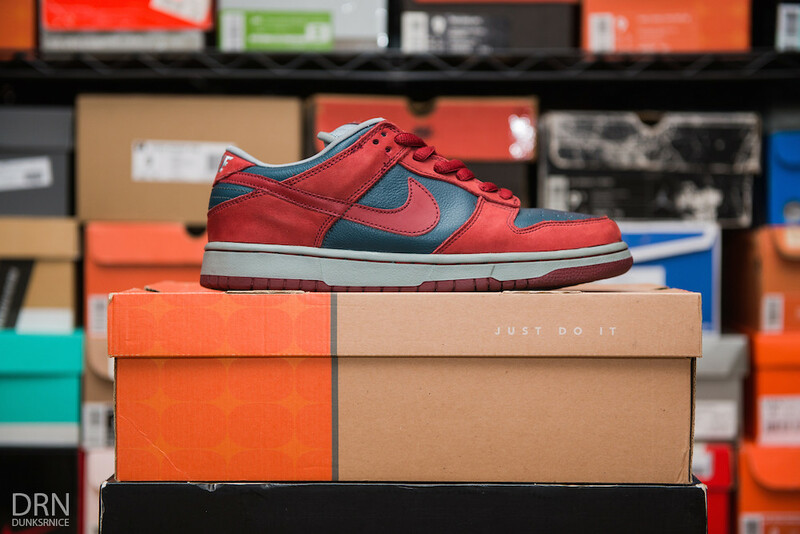 Red J-Pack Dunk Low SB's. 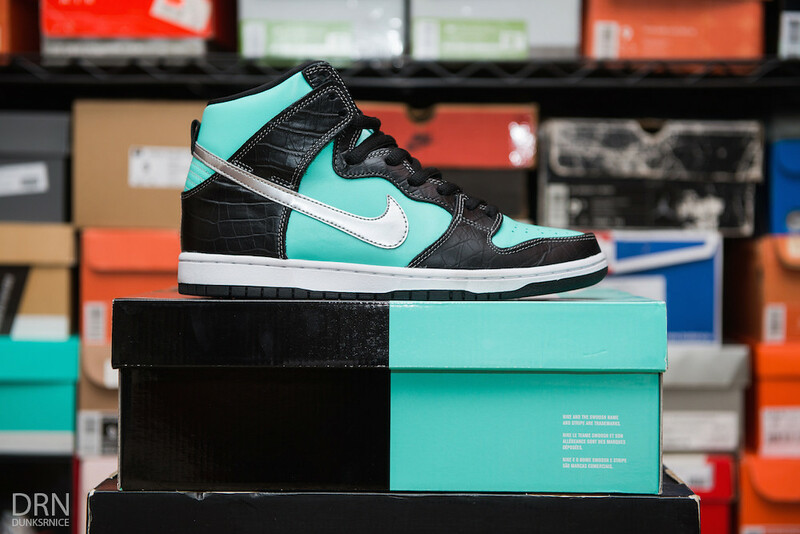 Tiffany Diamond Dunk High SB's. 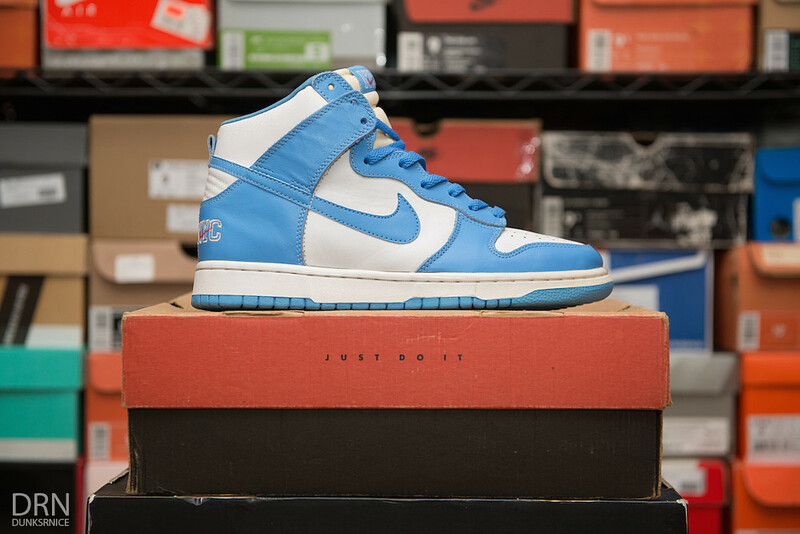 NYC Carolina & White Dunk High's. 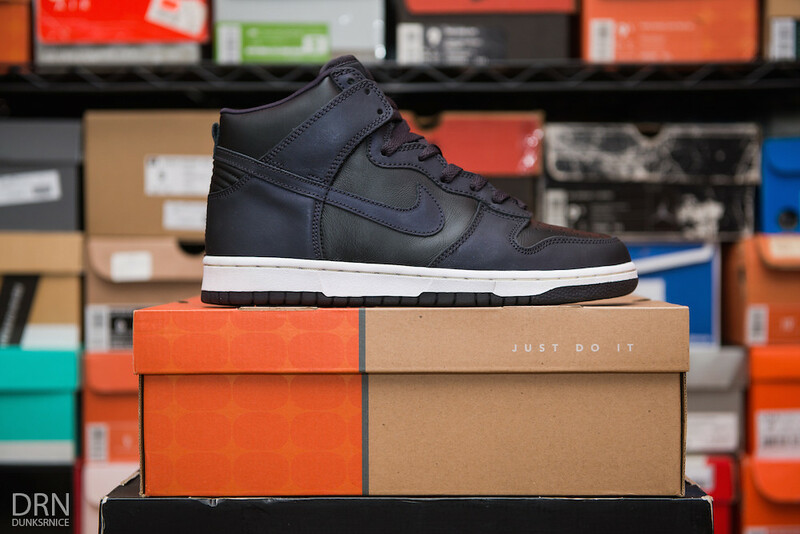 Reverse City Attack Dunk Highs. 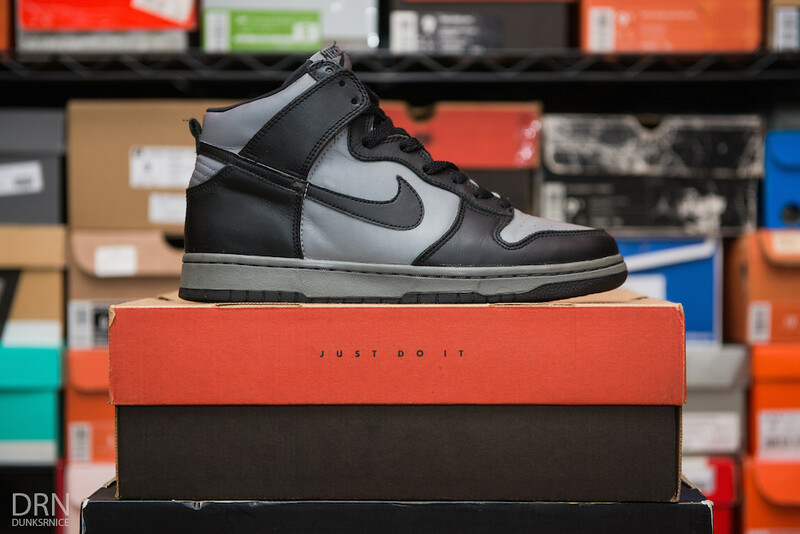 Black & Grey Dunk Highs. 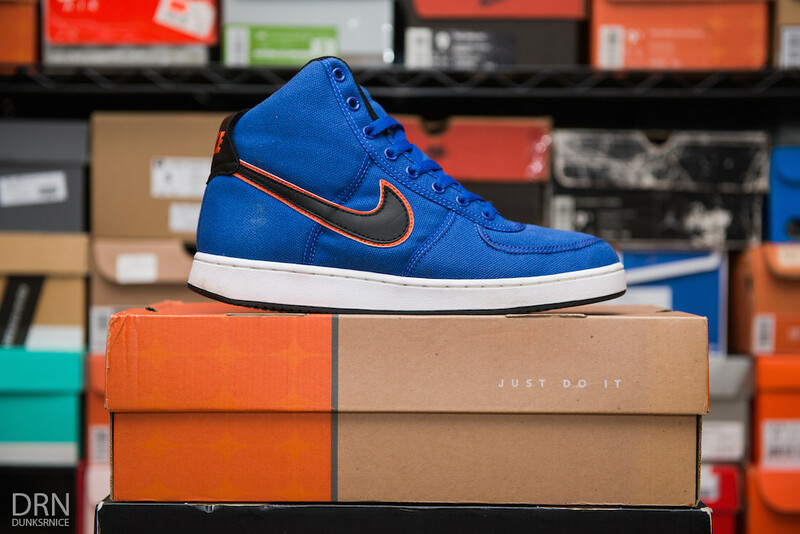 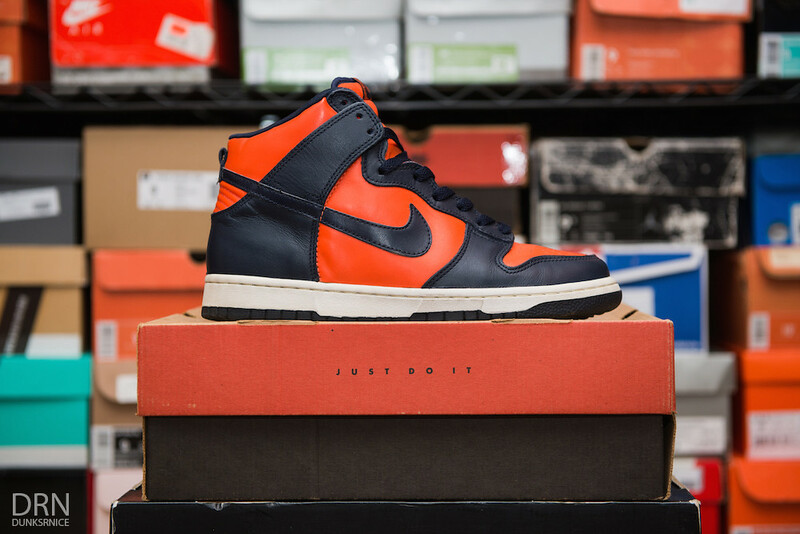 Orange & Navy Dunk High's. 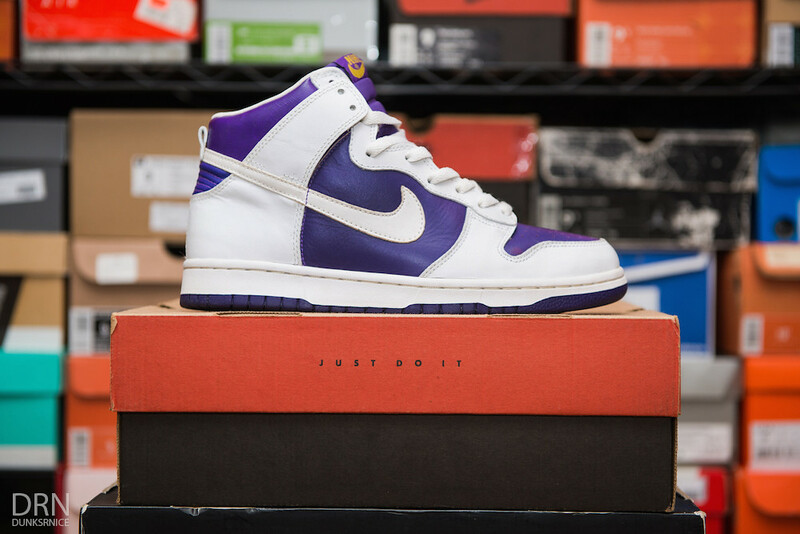 Metallic Purple & Black Dunk Highs. 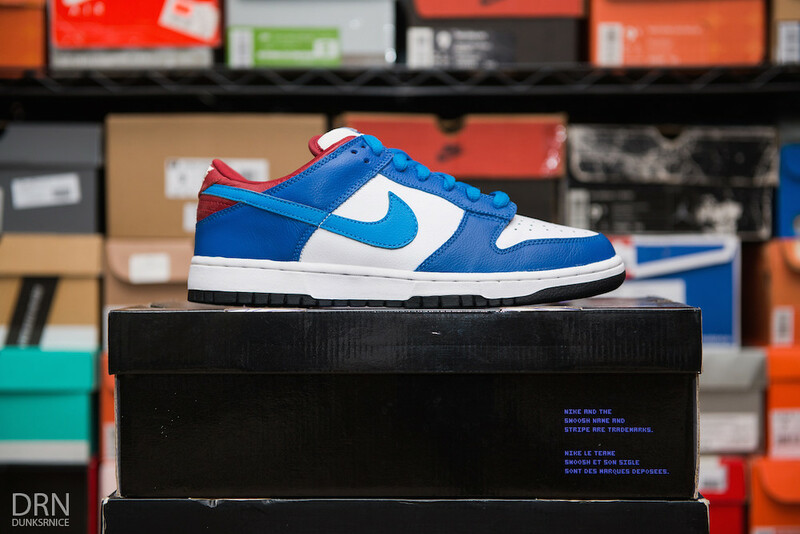 2015 Youth Viotech Dunk Lows. 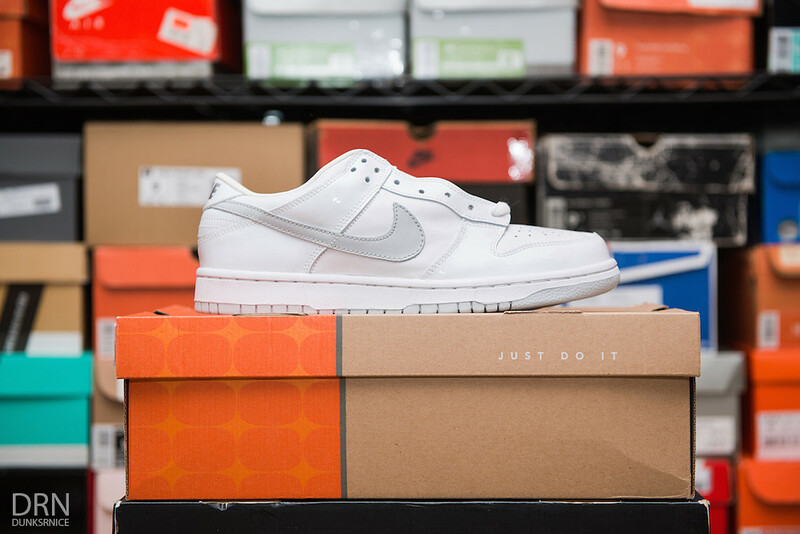 2002 White & Grey Patent Dunk Lows. 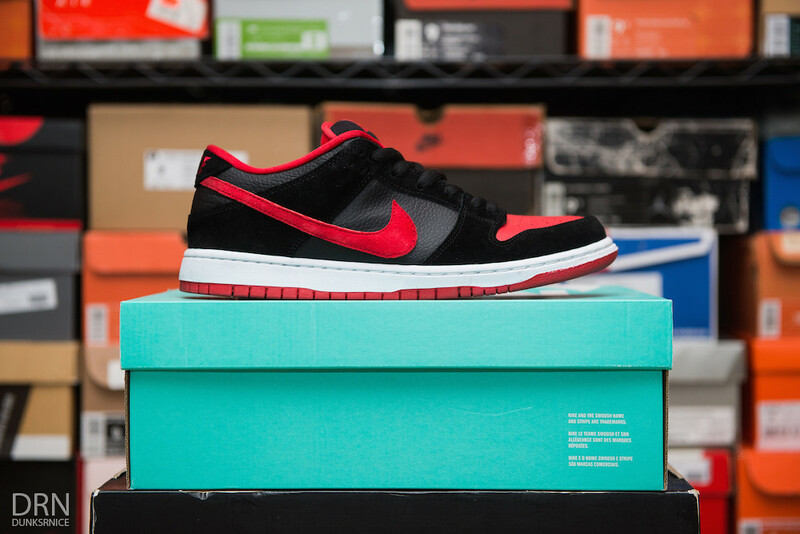 Team Red 3M Dunk Lows. 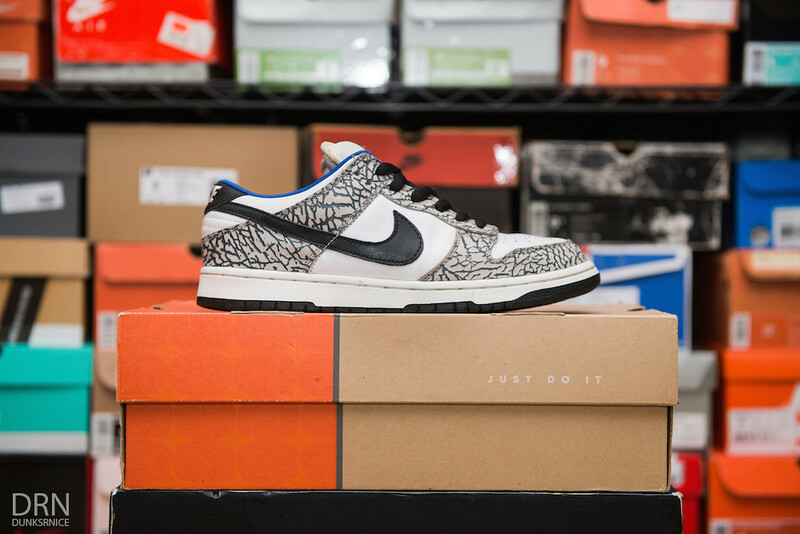 2003 White & Grey Dunk Lows. 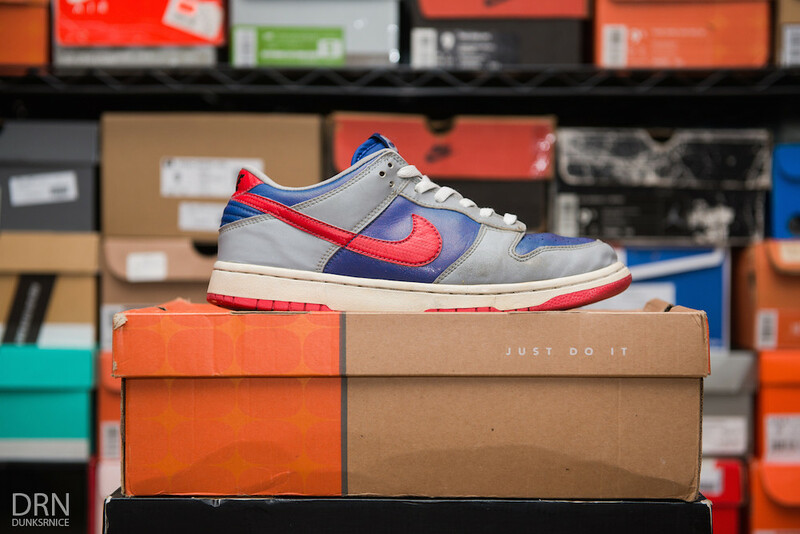 2001 CO.JP Argon Dunk Lows. 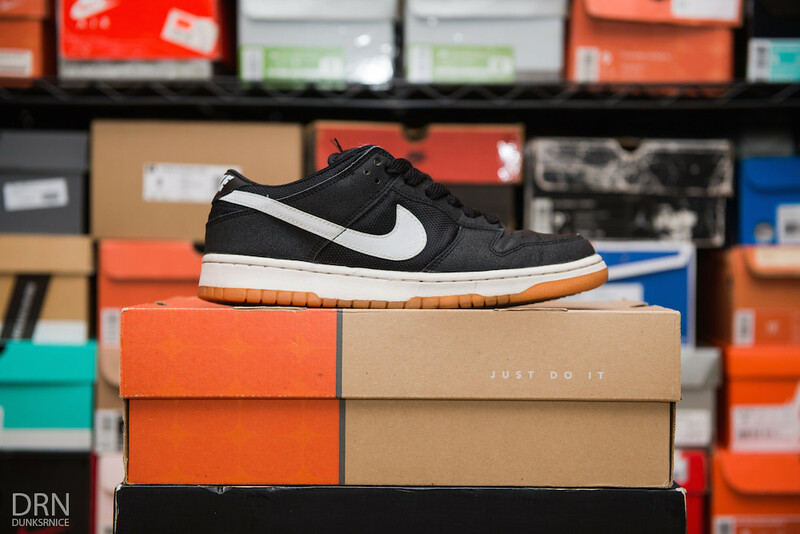 Stone & Obsidian Dunk Lows. 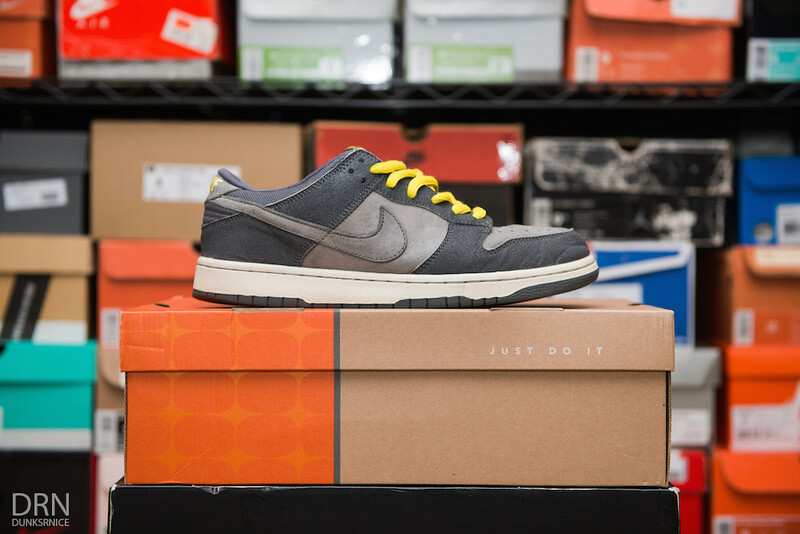 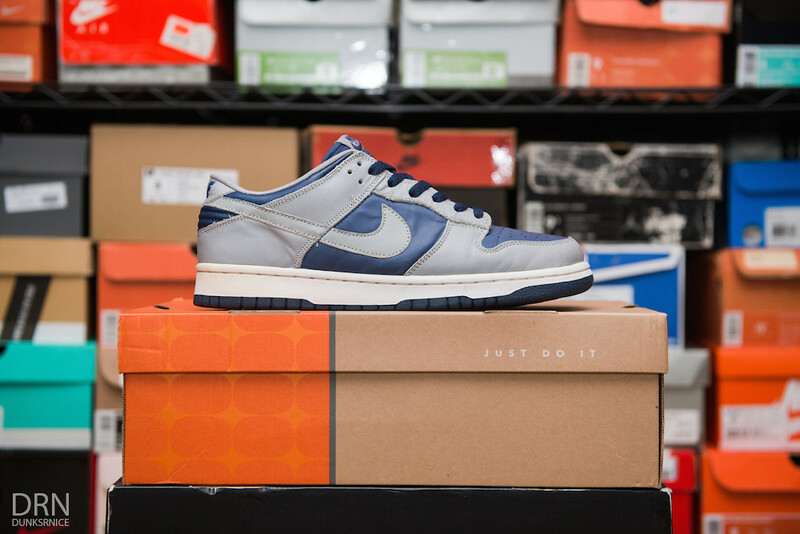 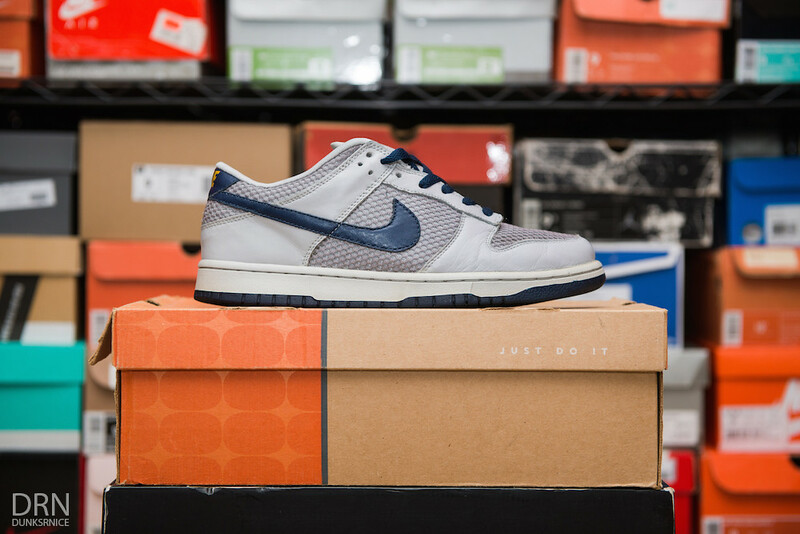 Grey & Navy Netting Dunk Lows. 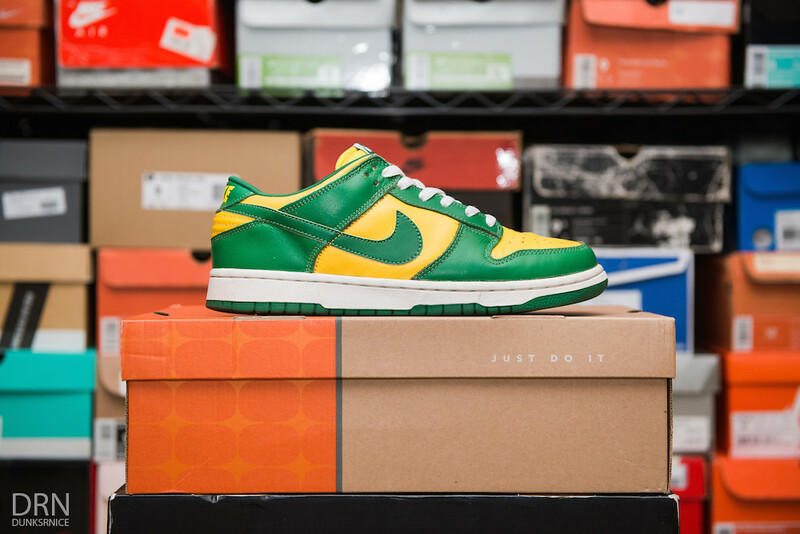 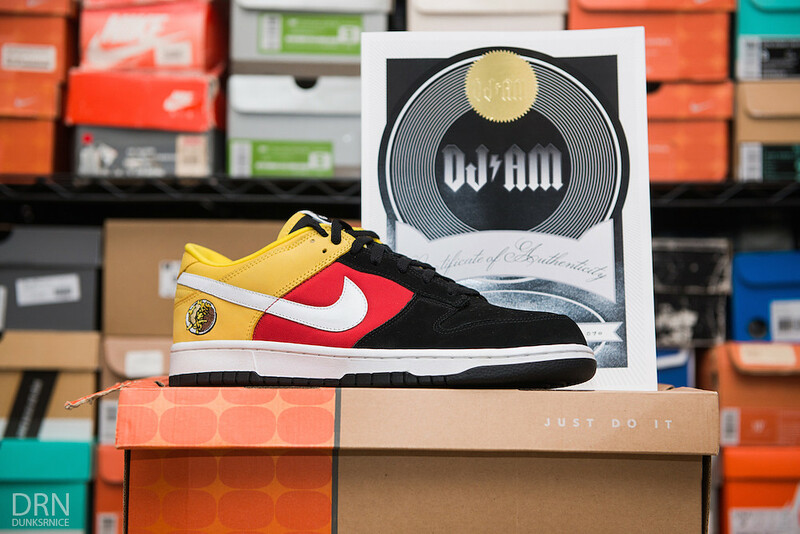 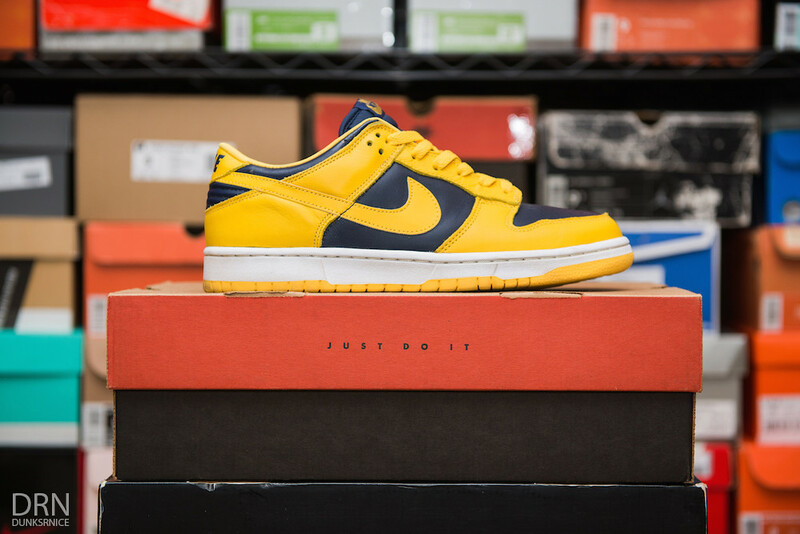 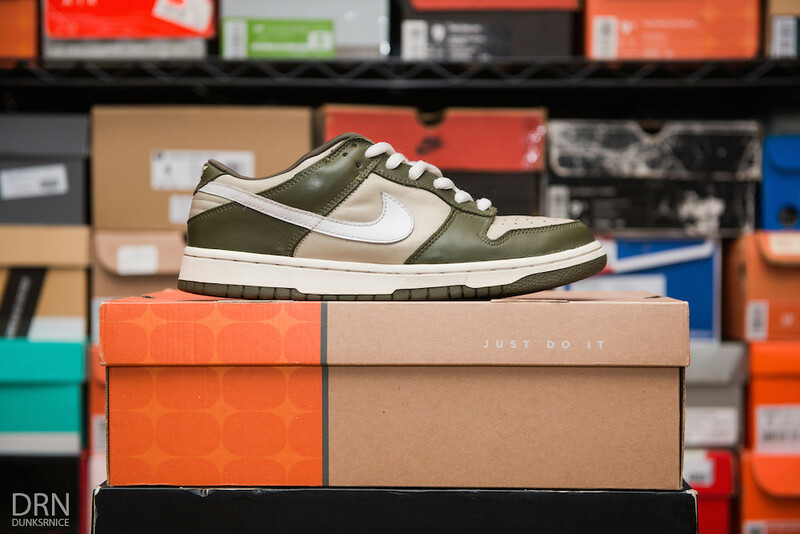 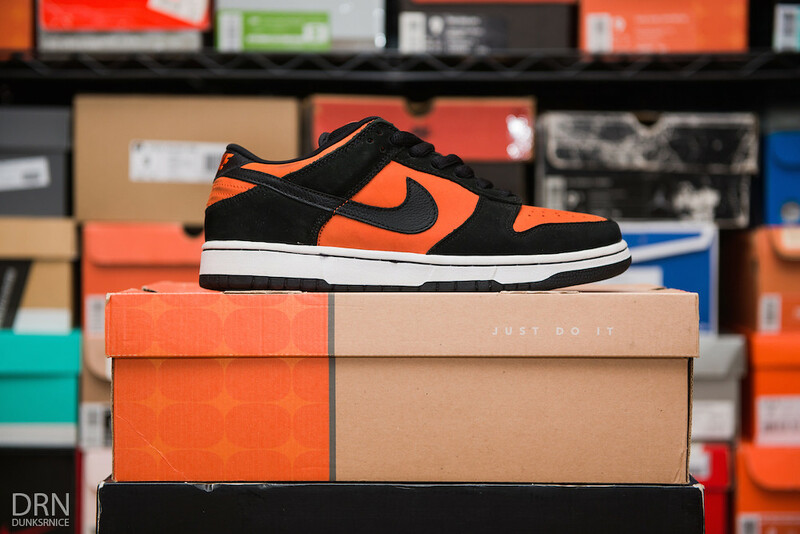 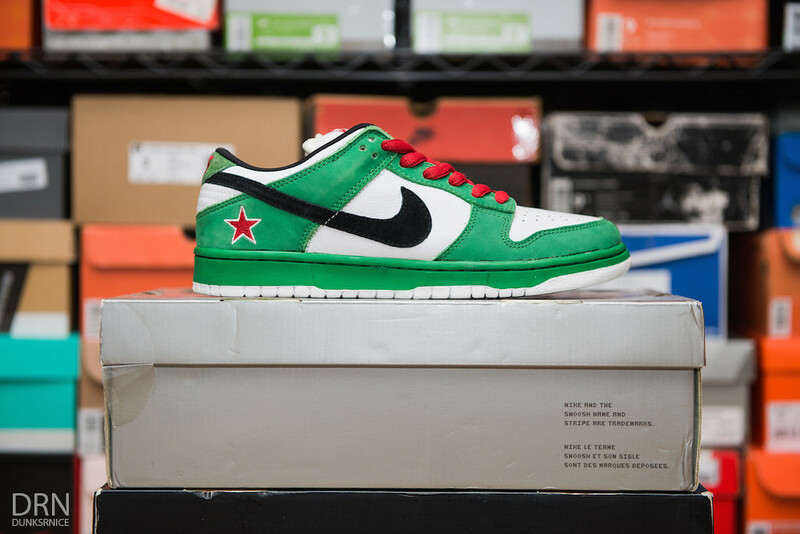 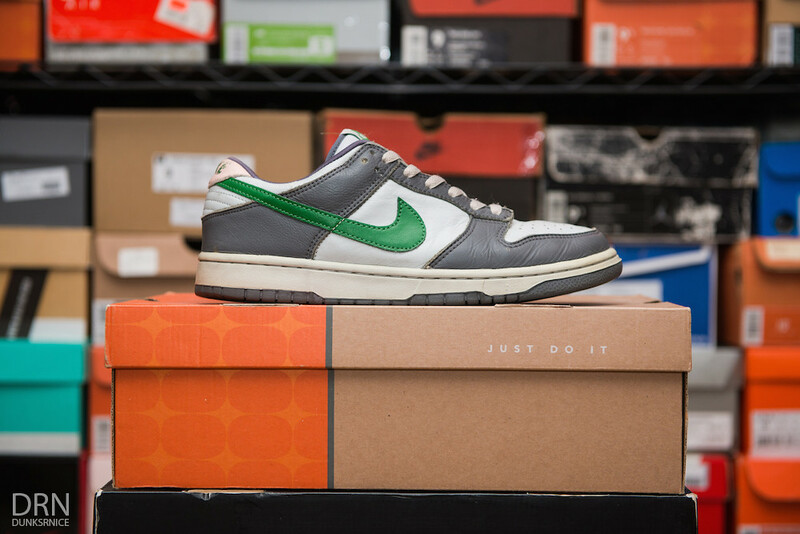 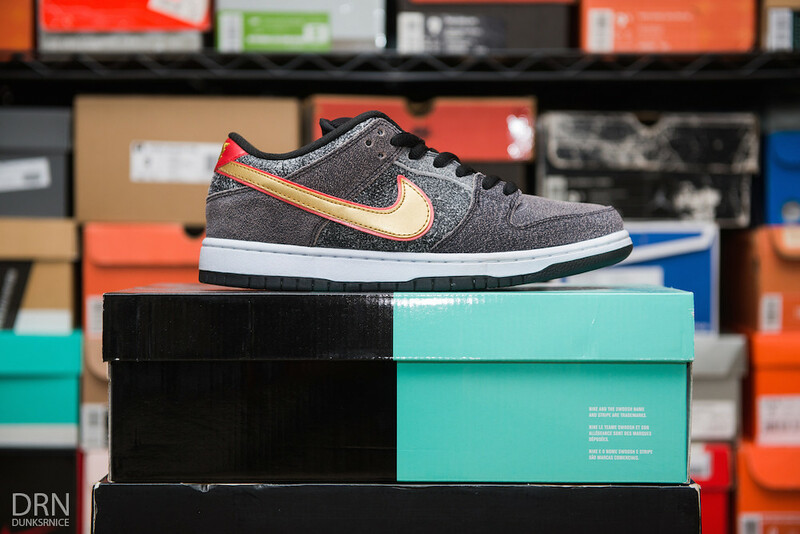 DJ AM's Personal Pair Germany Dunk Low. 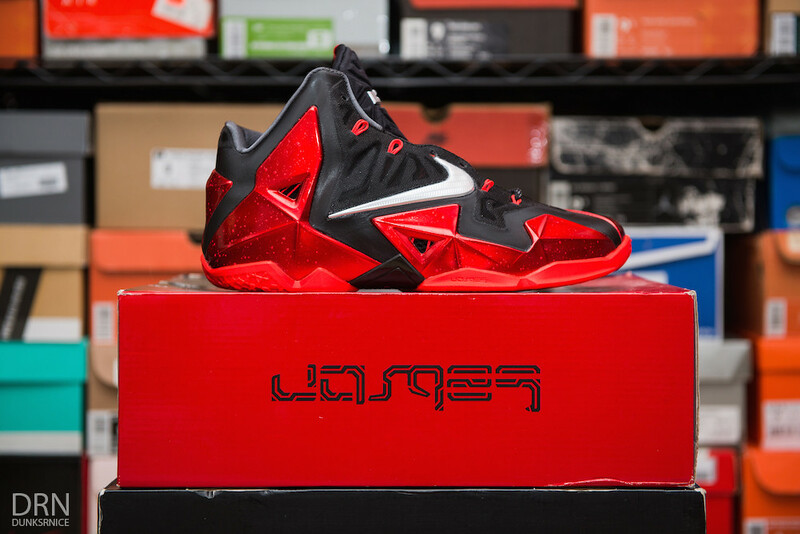 Metallic Red & Black Lebron XI's. 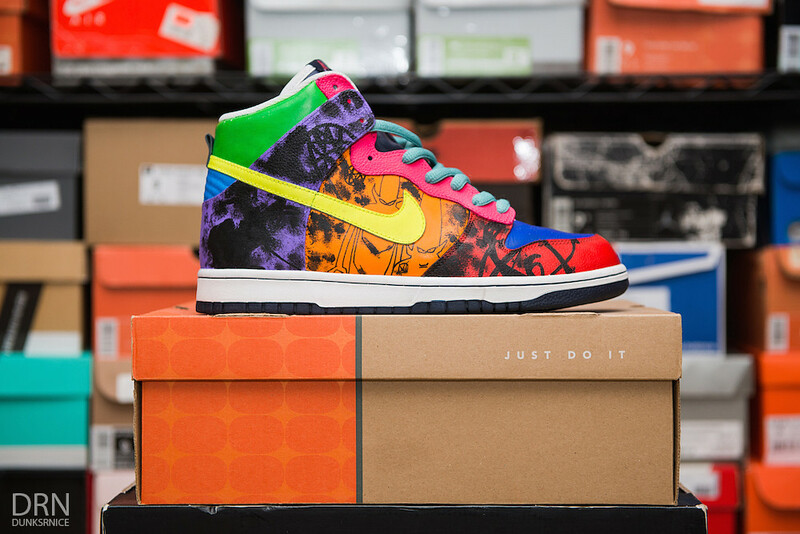 Multi Color Sk8-Hi Van Customs (Done by me). 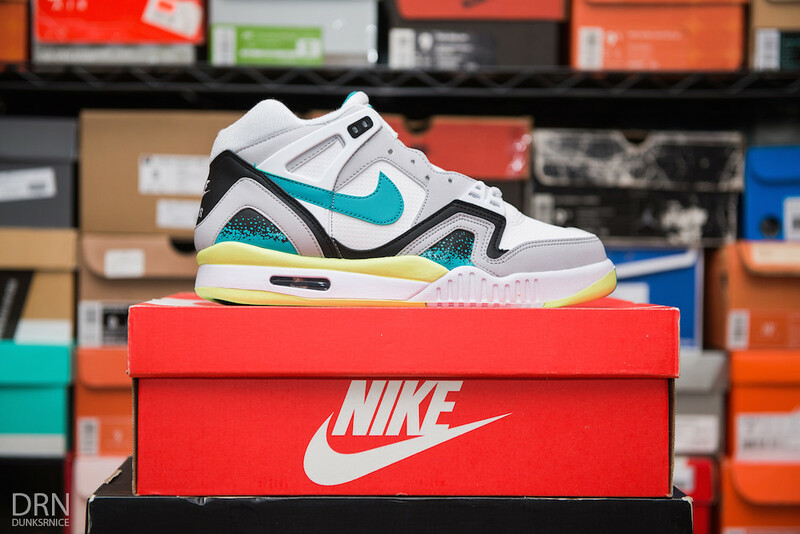 KB x Twelve AM Agassi Inspired Blazer Customs. 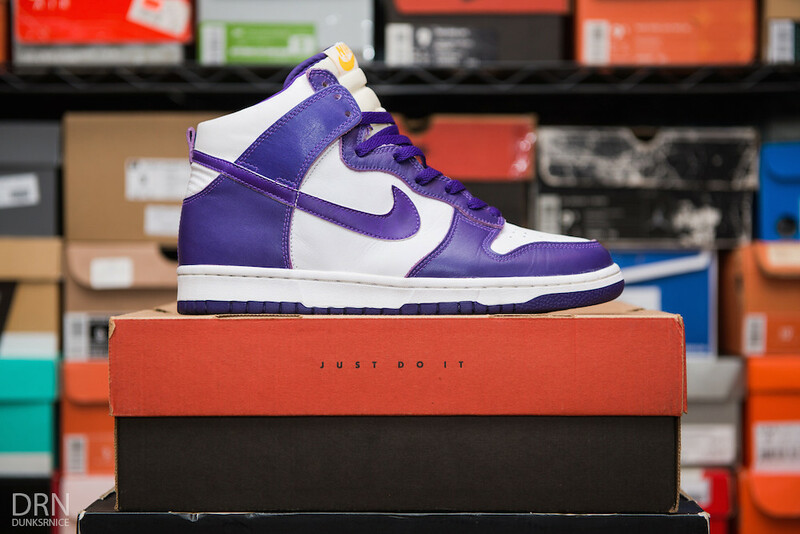 Poorman Supa Dunk High SB Customs (Done by me). 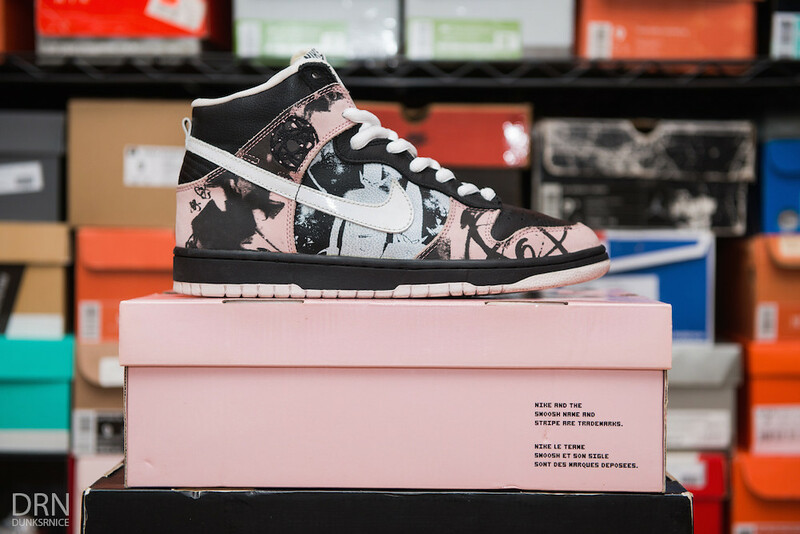 Untechkle Dunk High Customs (Done by me). 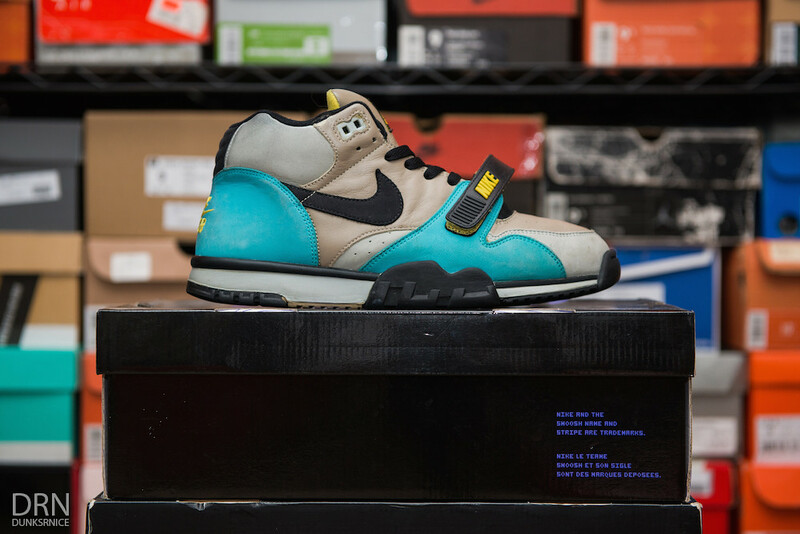 Viotech Version 2.0 Customs (Done by me). 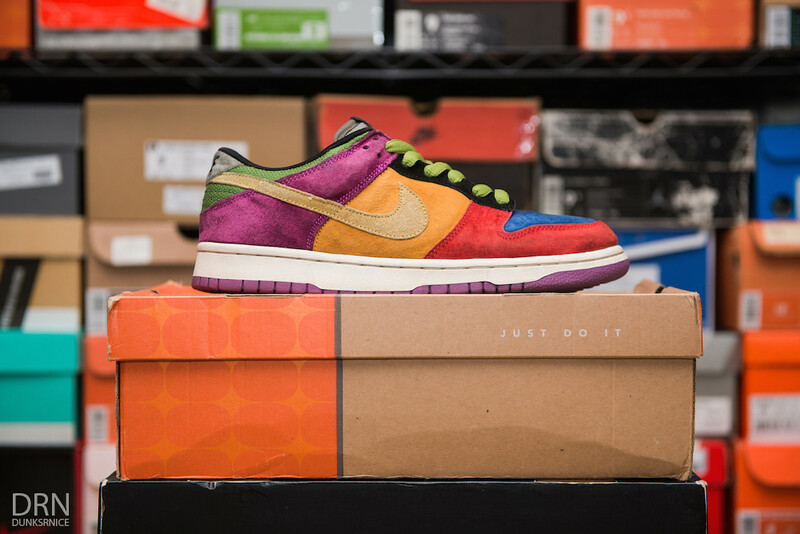 Pufnstuf Customs (Done by me). 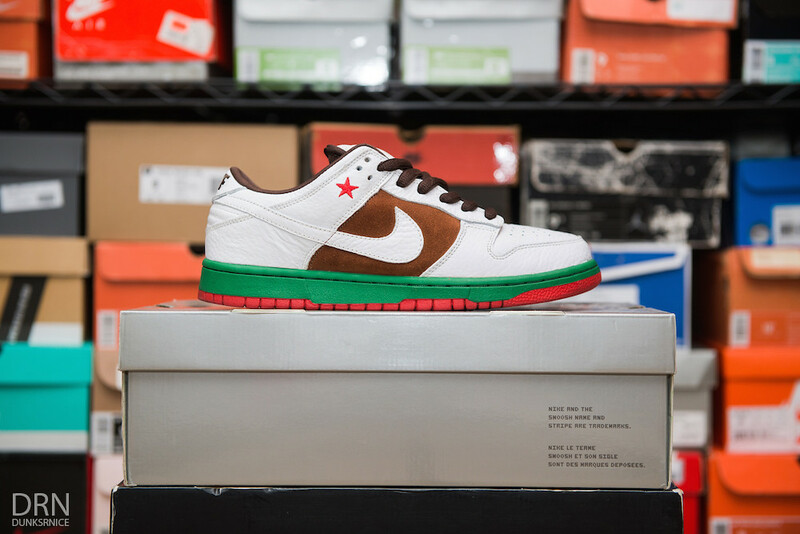 White & Red Unkle Low Customs (Done by me). 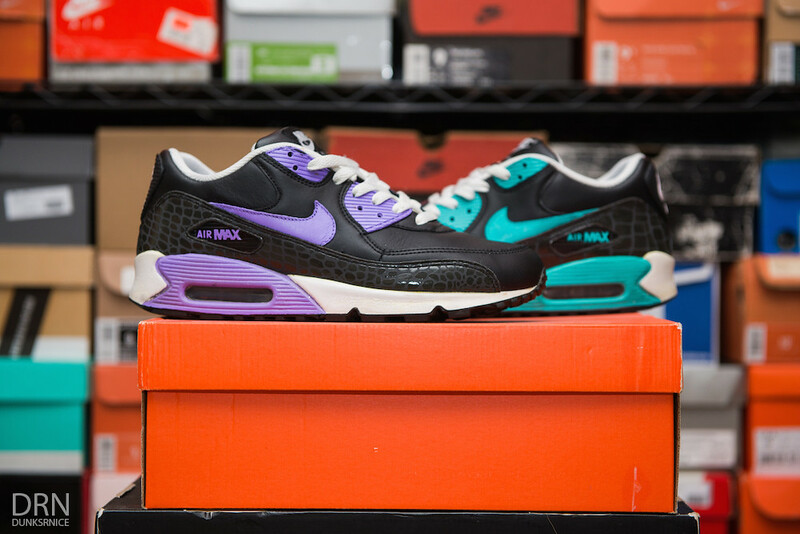 Good, Bad, & Ugly AM 90 Customs (Done by me). 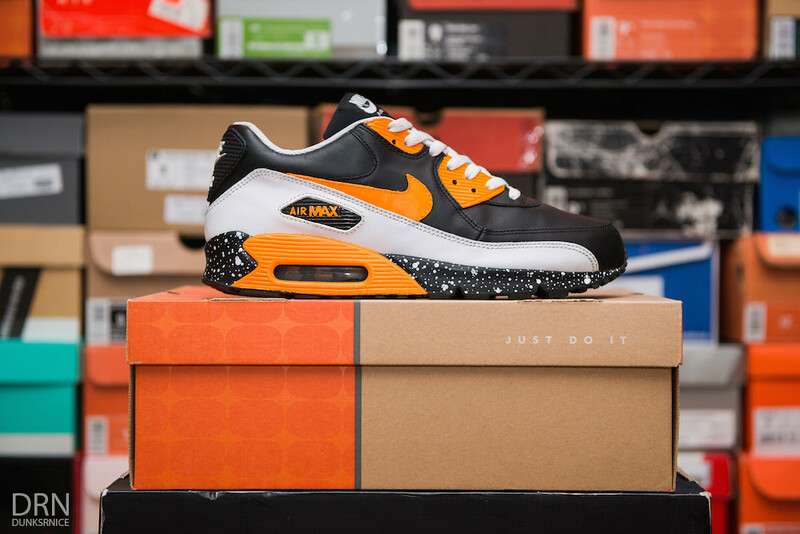 Black & Orange Speckle Customs (Done by me). 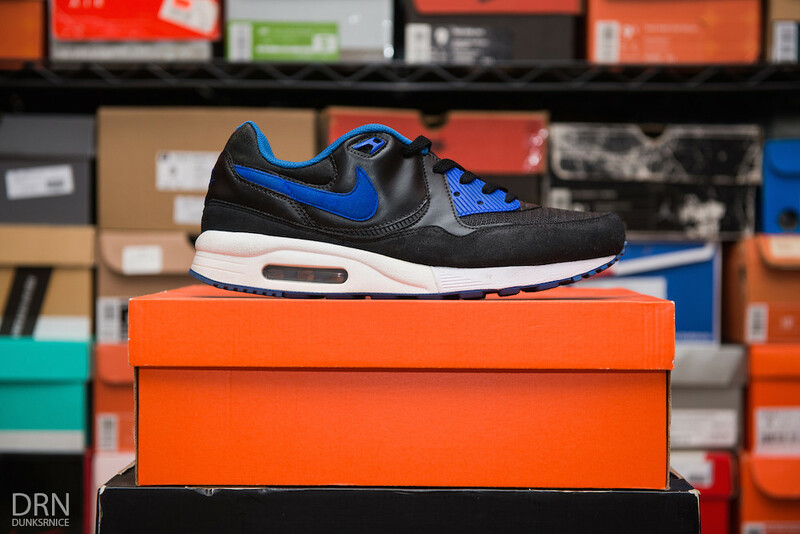 Poorman Homegrown Air Max Light Customs (Done by me). 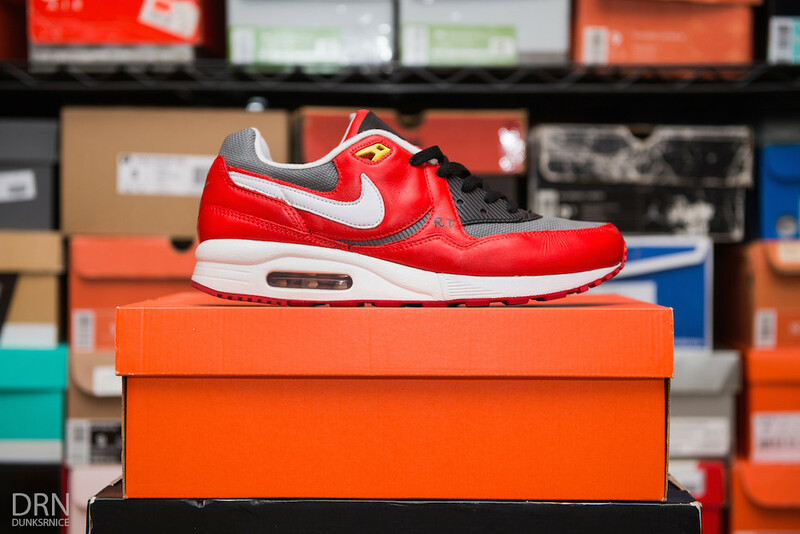 Poorman Urawa Air Max Light Customs (Done by me). 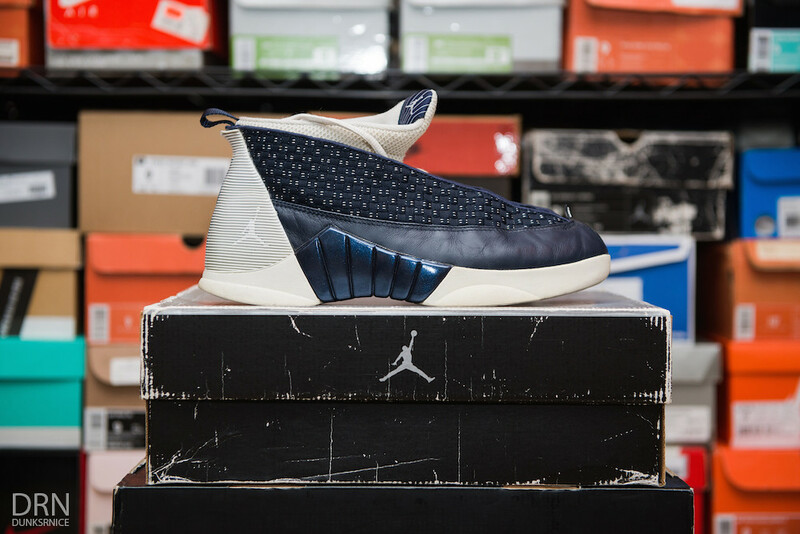 Sub Zero AM Light Customs (Done by me). 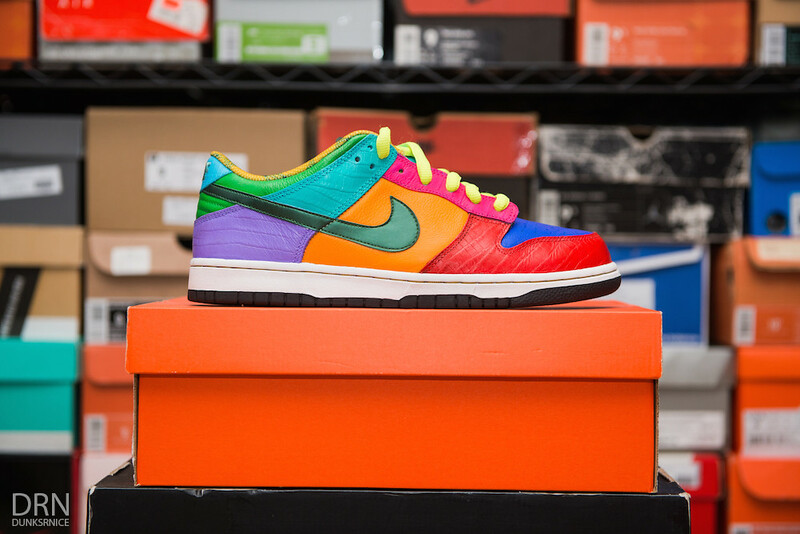 Poorman Kidrobot AM Light Customs (Done by me). 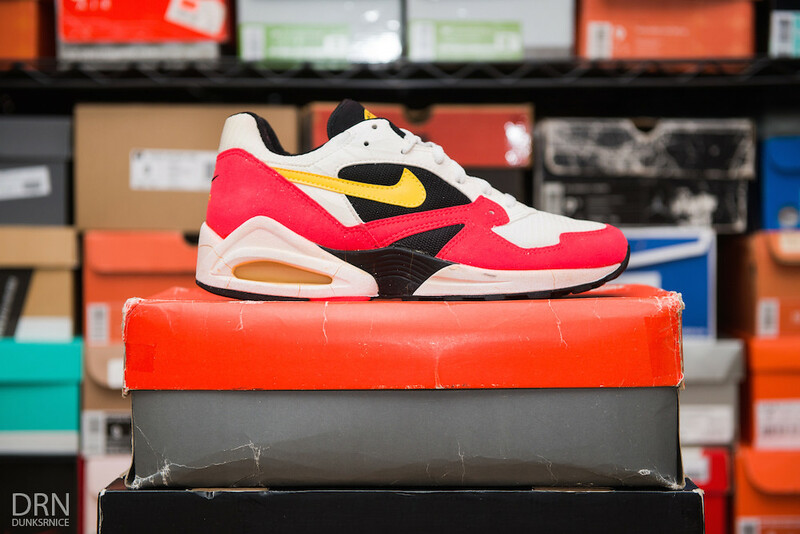 Black & Red Air Stab Customs (Done by me). 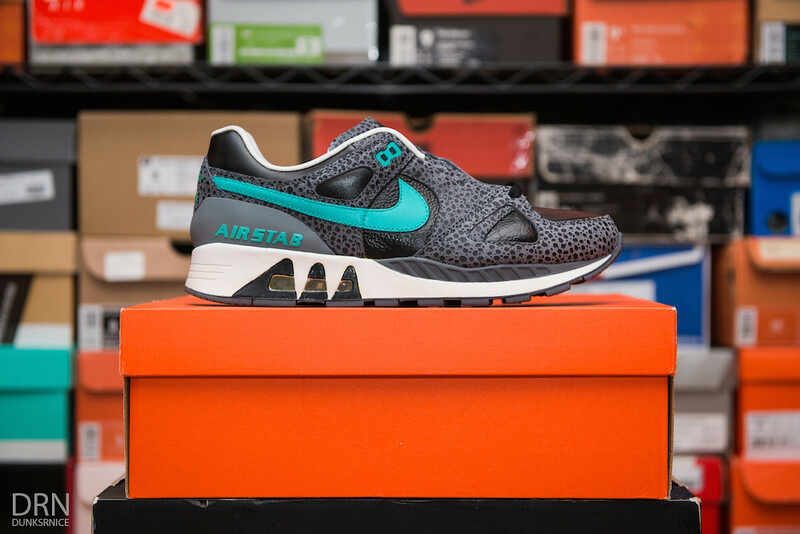 Teal & Black Air Stab Customs (Done by me). 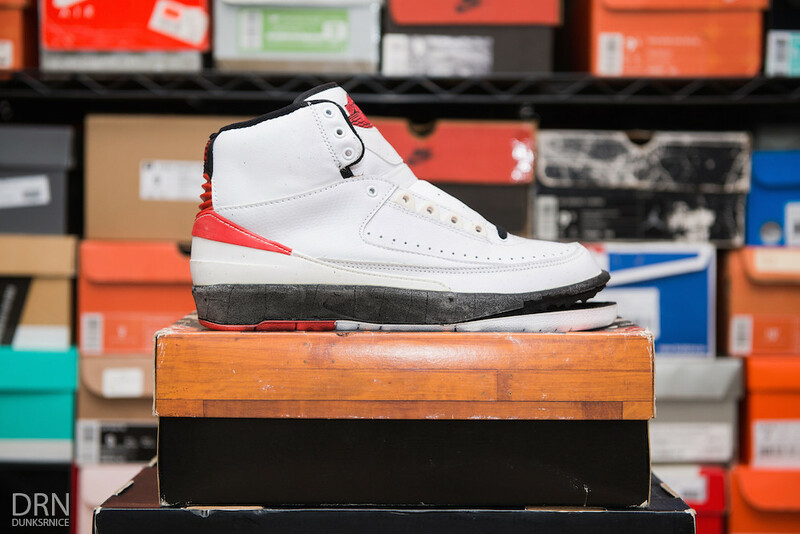 White Cement Flight 89 Scrapped Customs (Done by me). 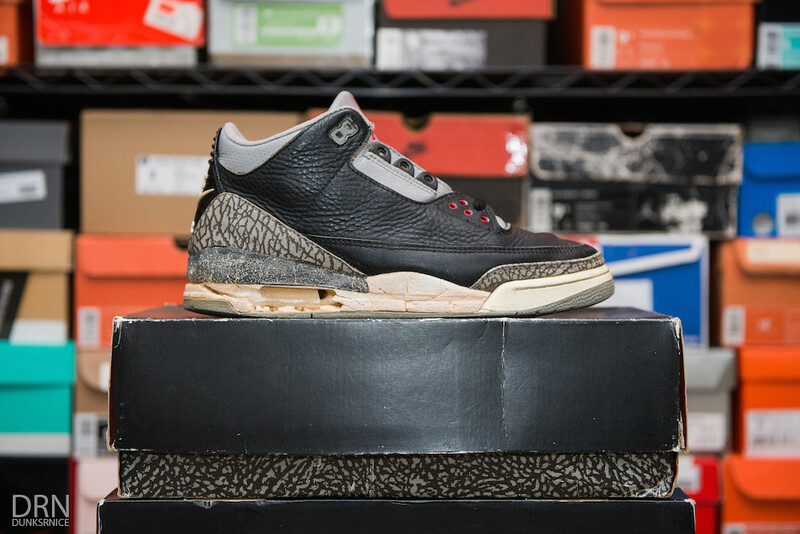 Black Cement Flight 89 Scrapped Customs (Done by me). 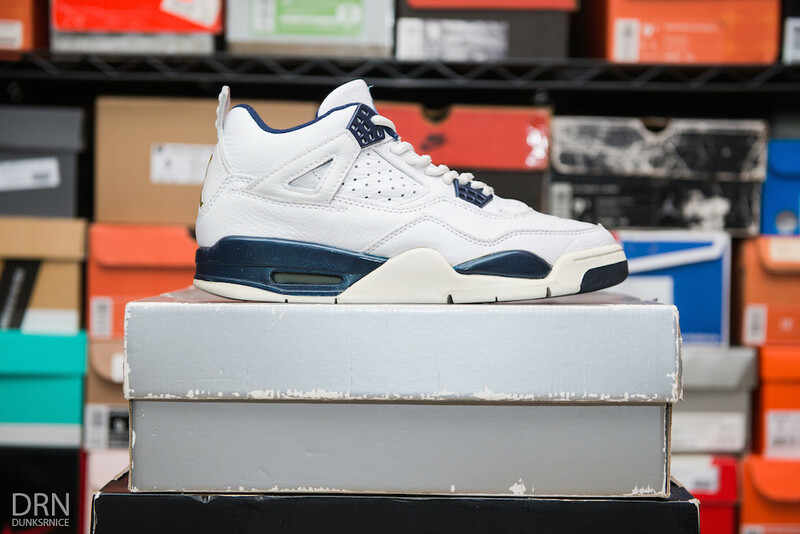 1990 Pixel Court ATC 3/4's. 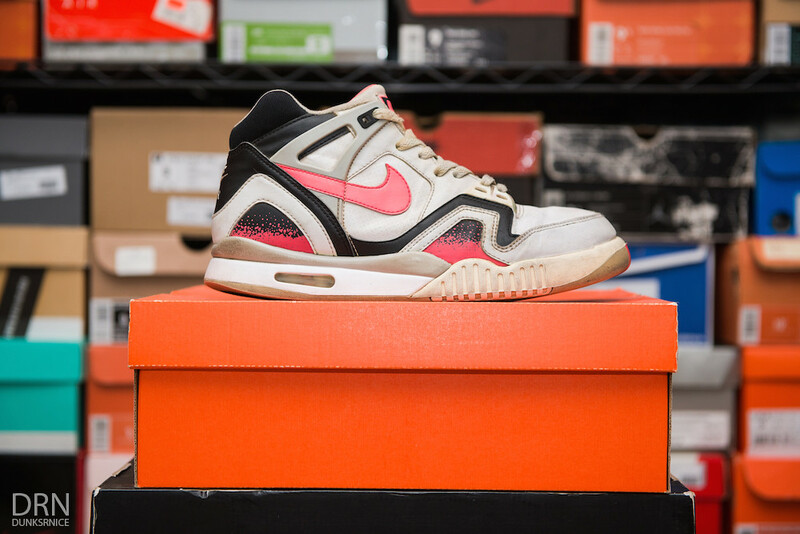 2008 Hot Lava ATC II's. 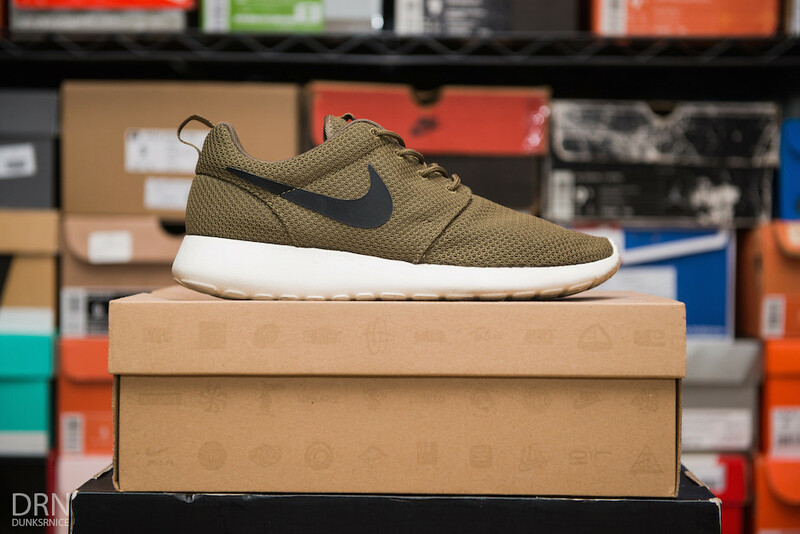 First Pair. 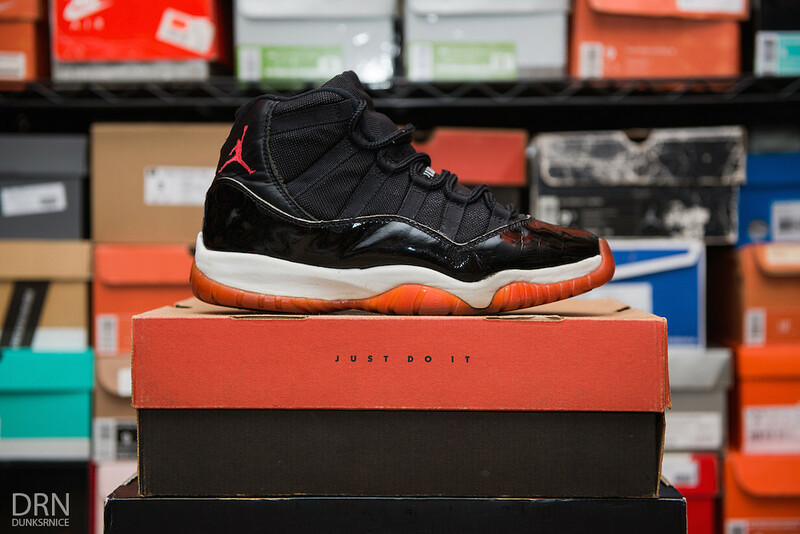 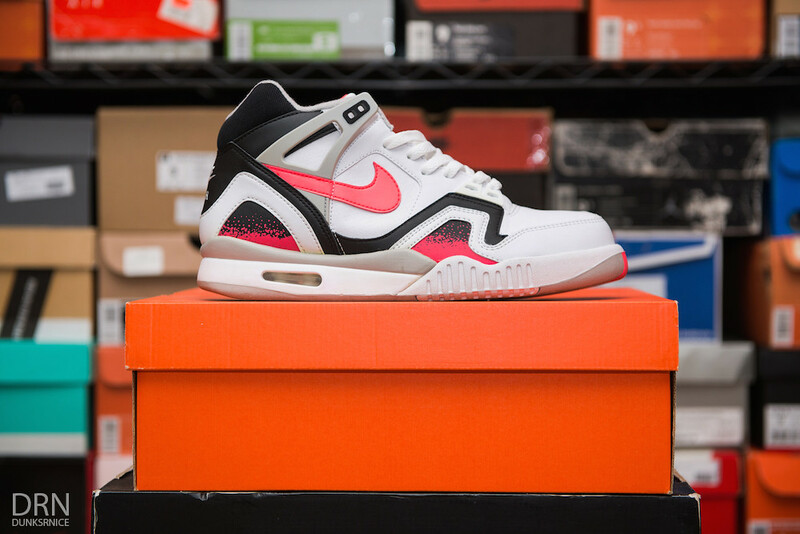 2008 Hot Lava ATC II's. 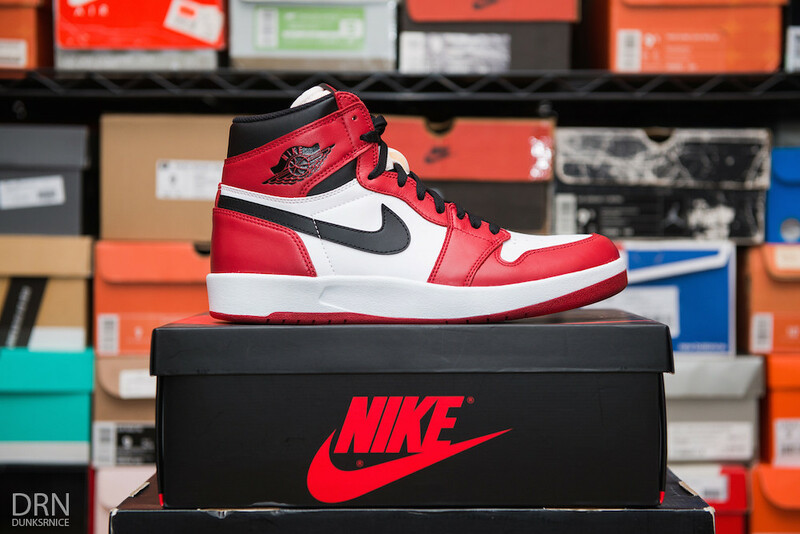 Second Pair. 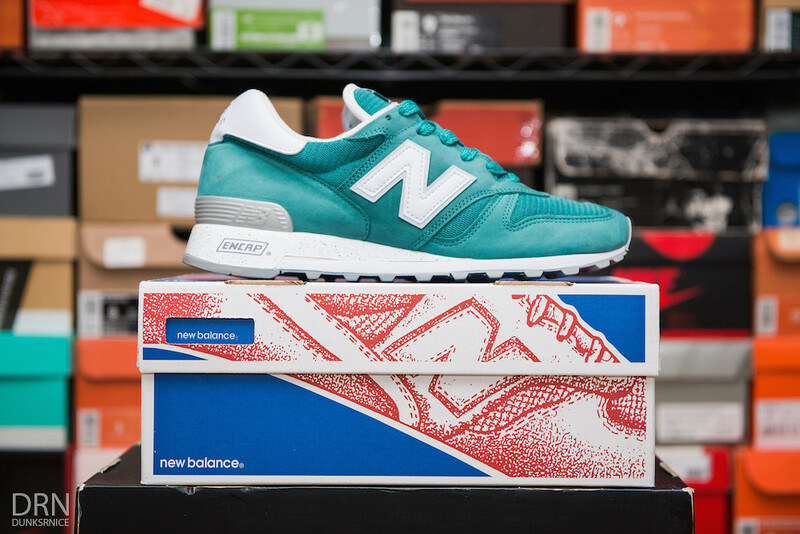 2014 Turbo Green ATC II's. 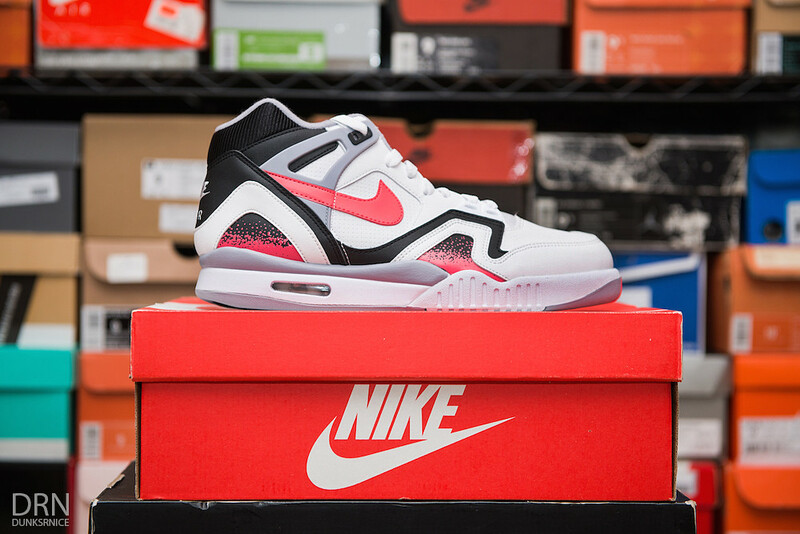 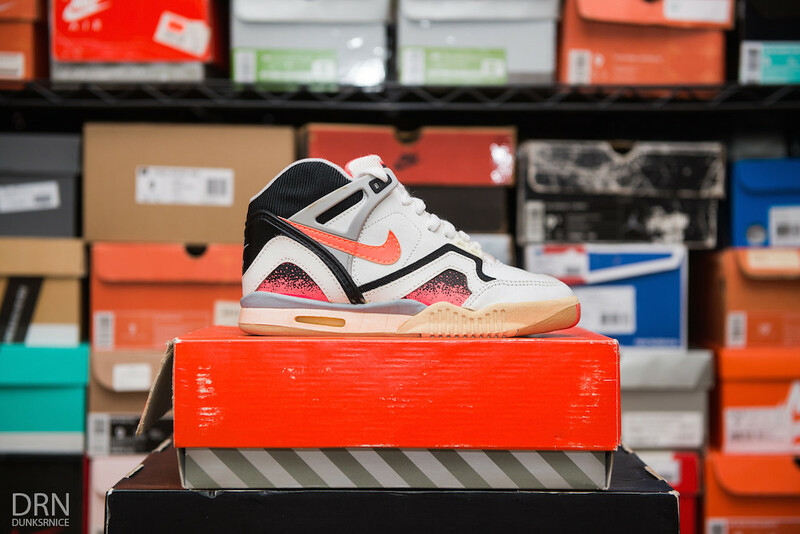 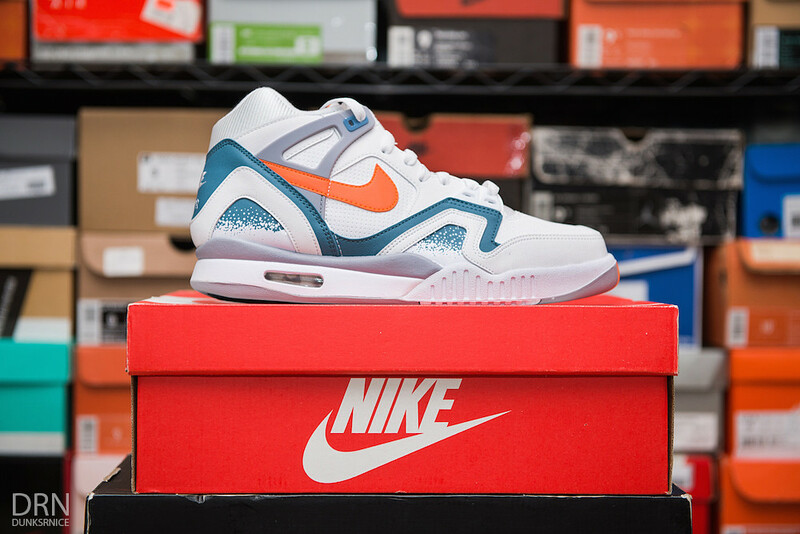 2014 Hot Lava ATC II's. 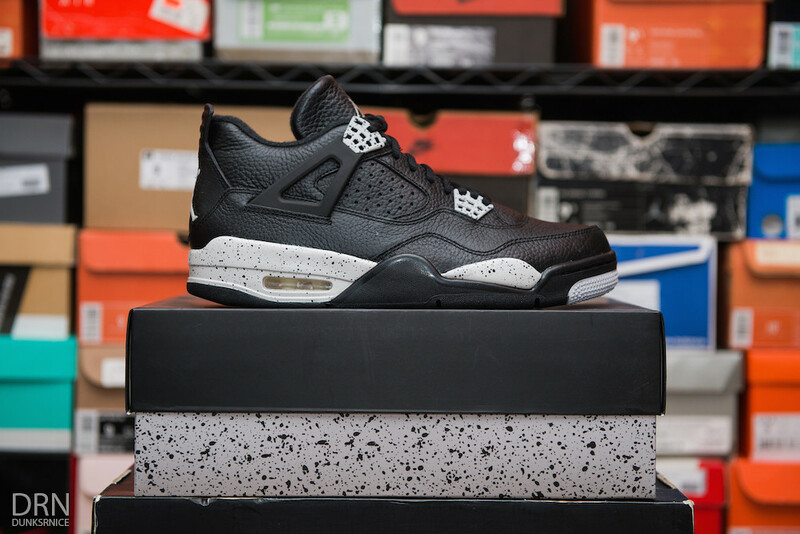 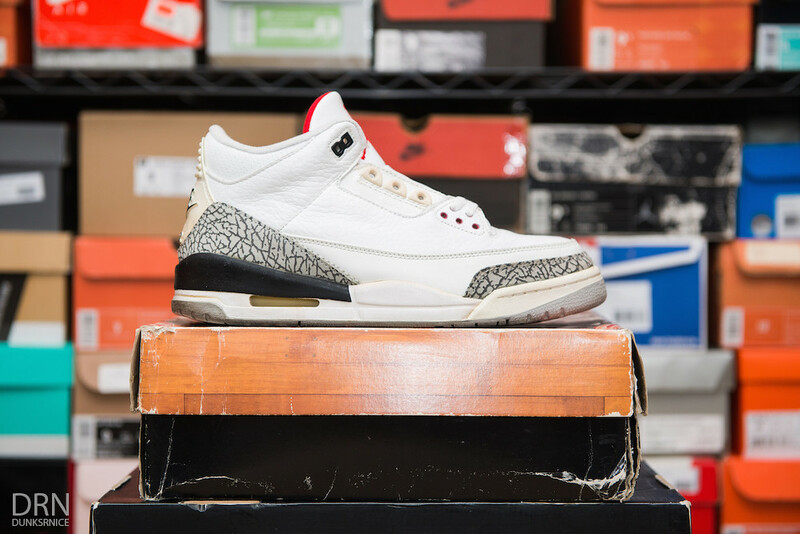 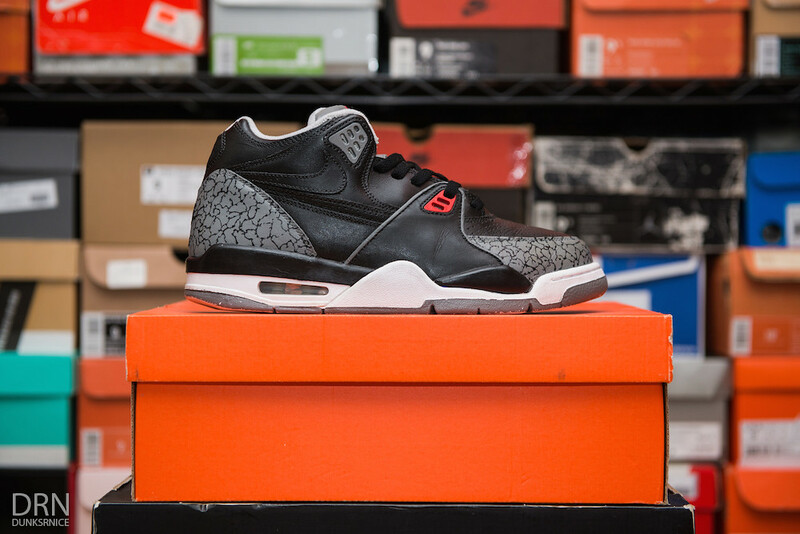 1991 Black & White ATC 3/4's. 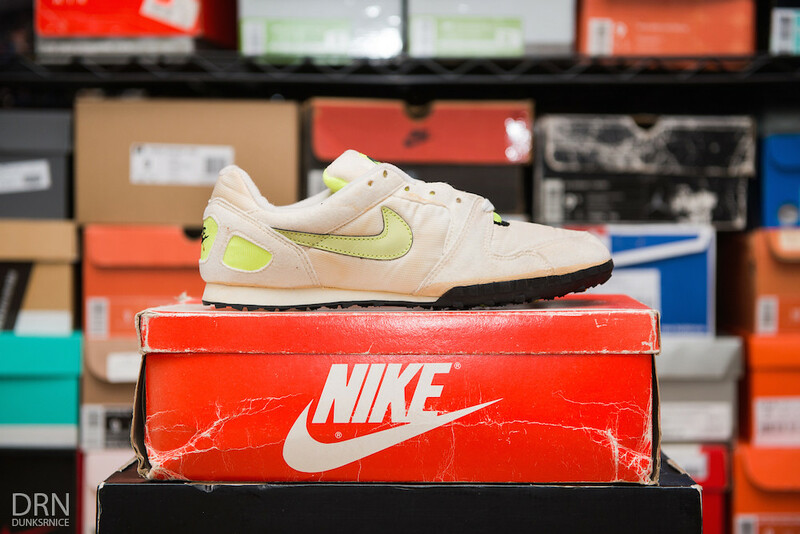 1991 White & Lime Waffle Racers. 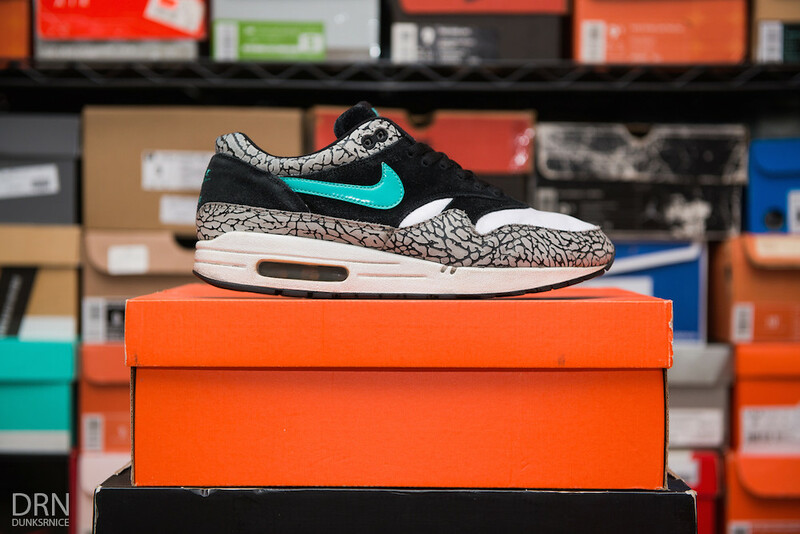 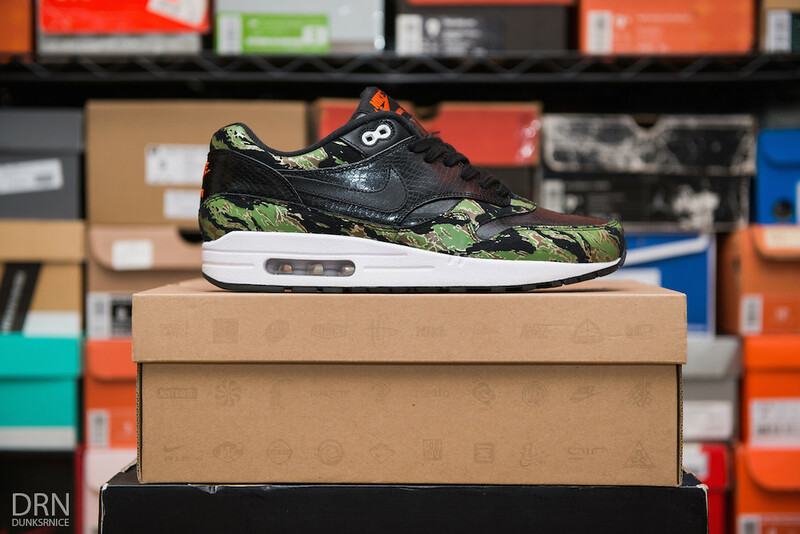 Tiger Camo Atmos AM 1's. 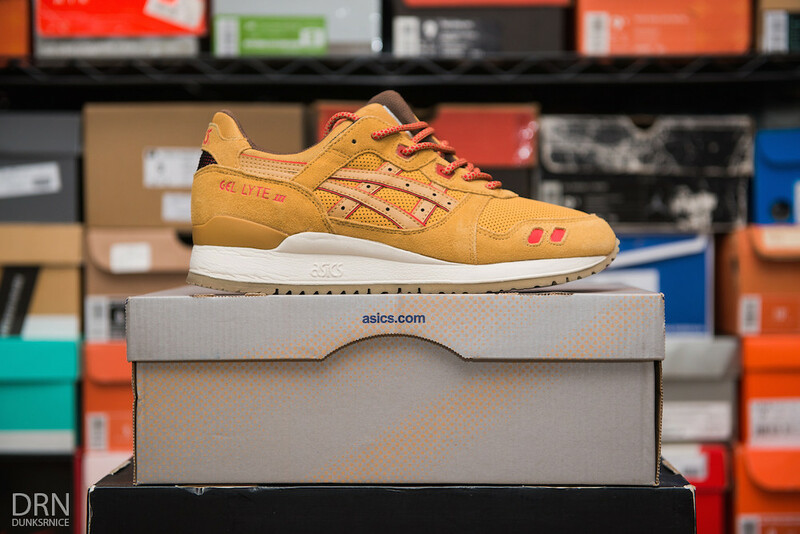 Honey Mustard Gel Lyte III's. 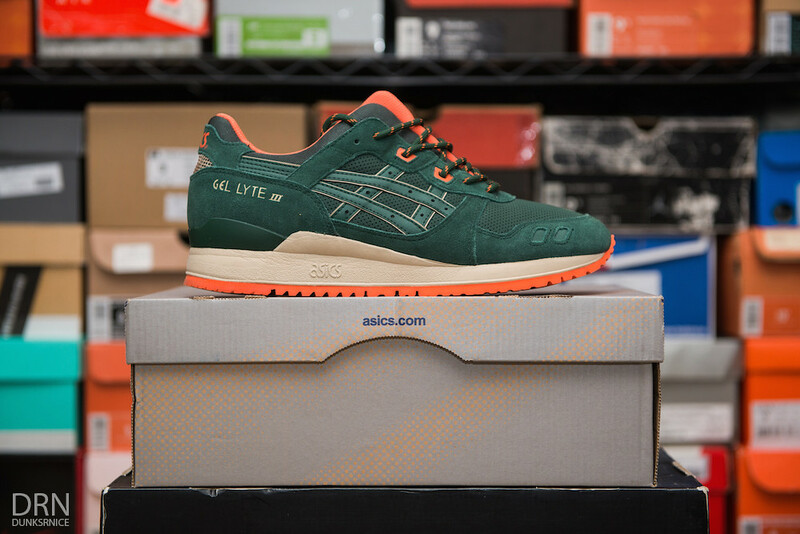 Dark Green & Orange Gel Lyte III's. 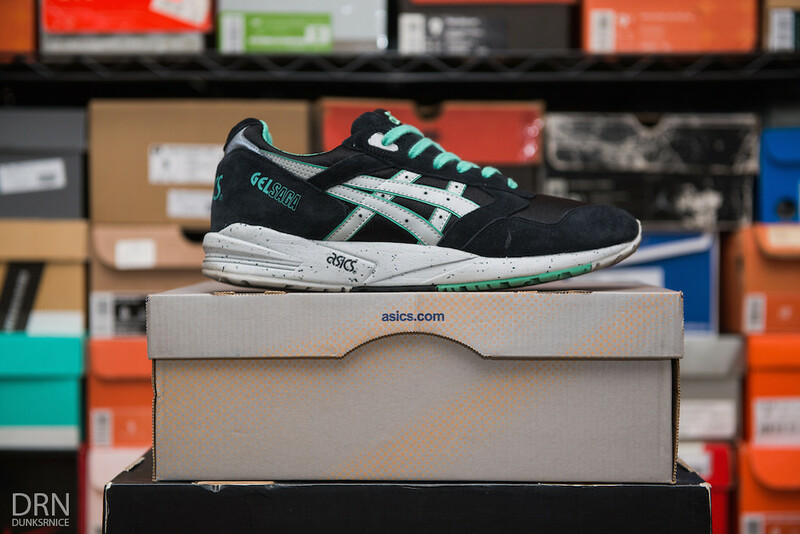 Black & Mint Gel Saga's. 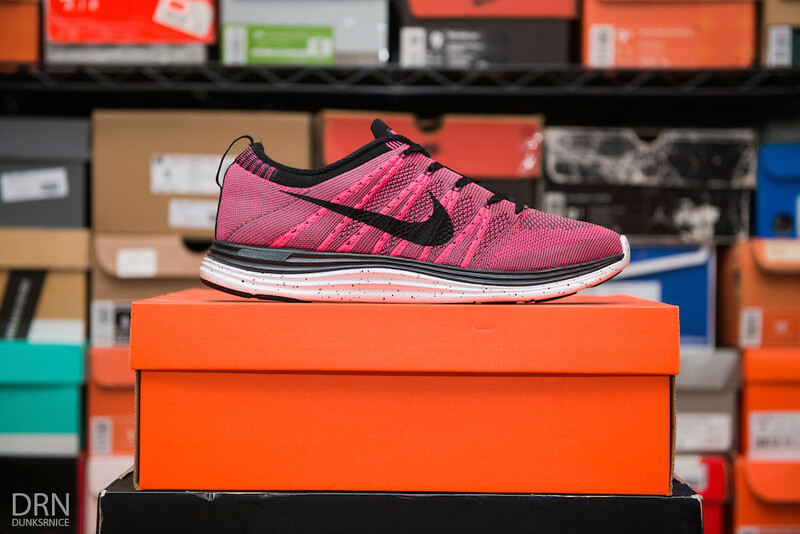 Pink & Black Lunar Flyknit One's. 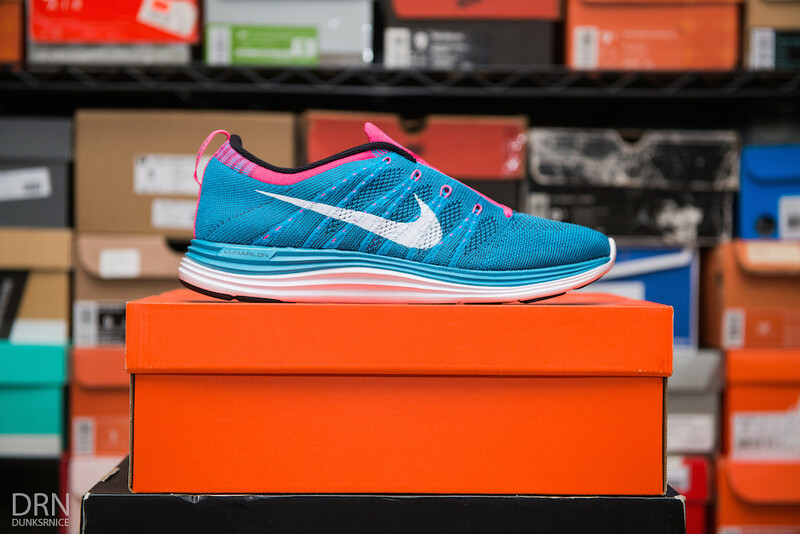 Turquoise & Pink Lunar Flyknit One's. 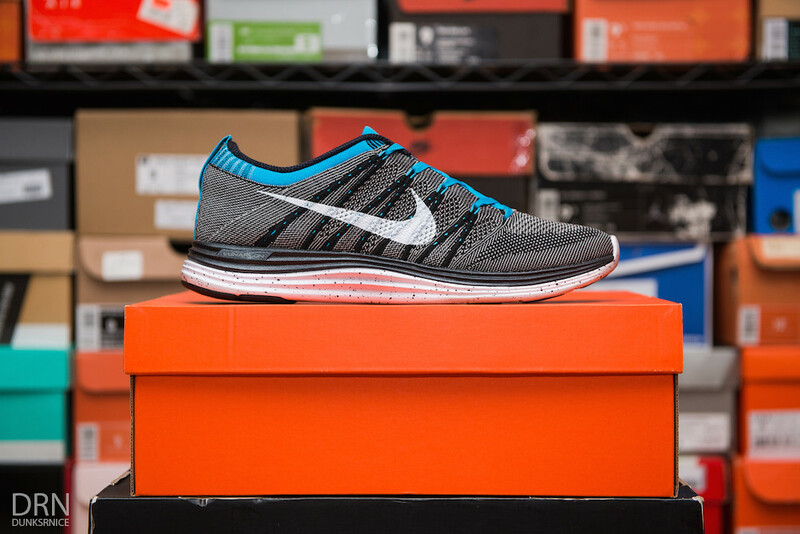 Blue & Black Lunar Flyknit One's. 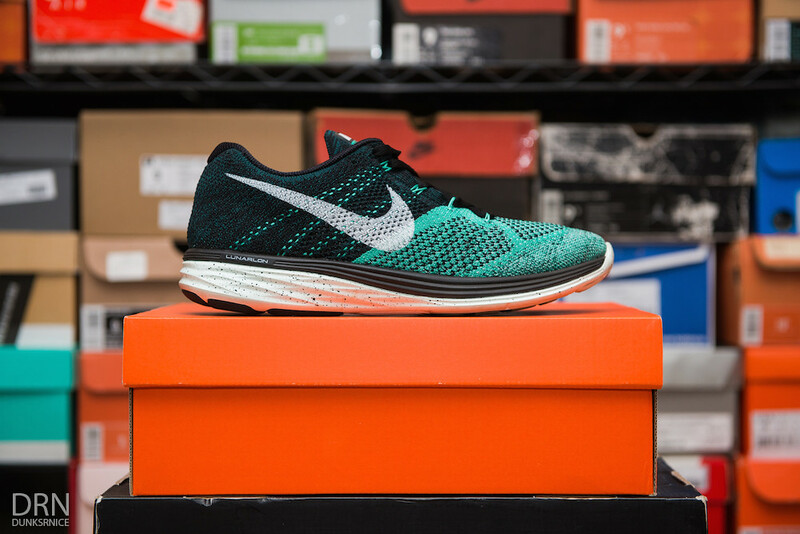 Women's Teal Flyknit Lunar Three's. 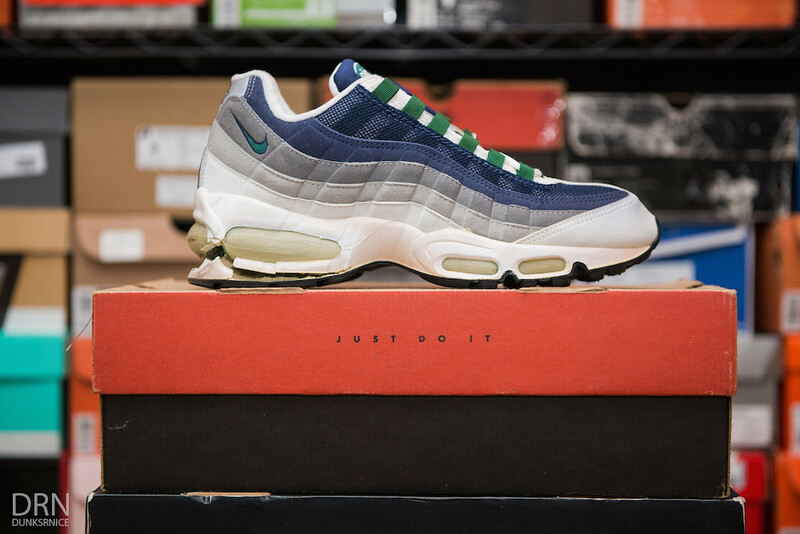 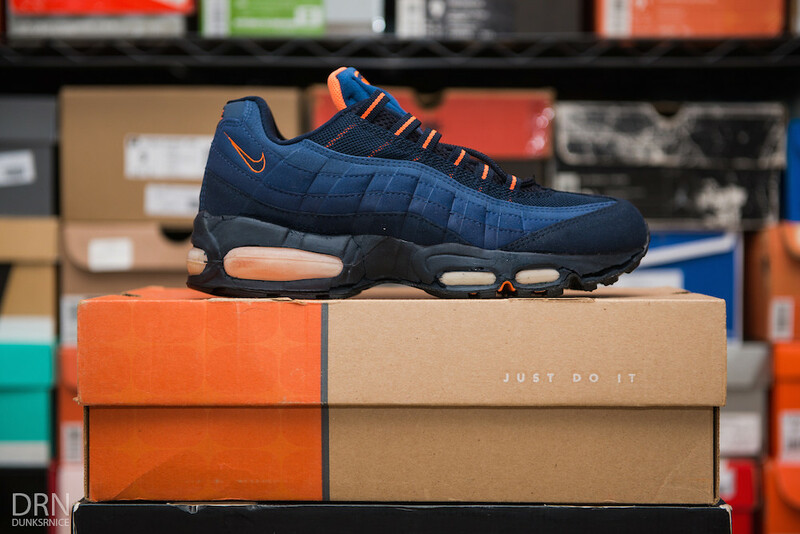 1998 Navy & Forest AM95. 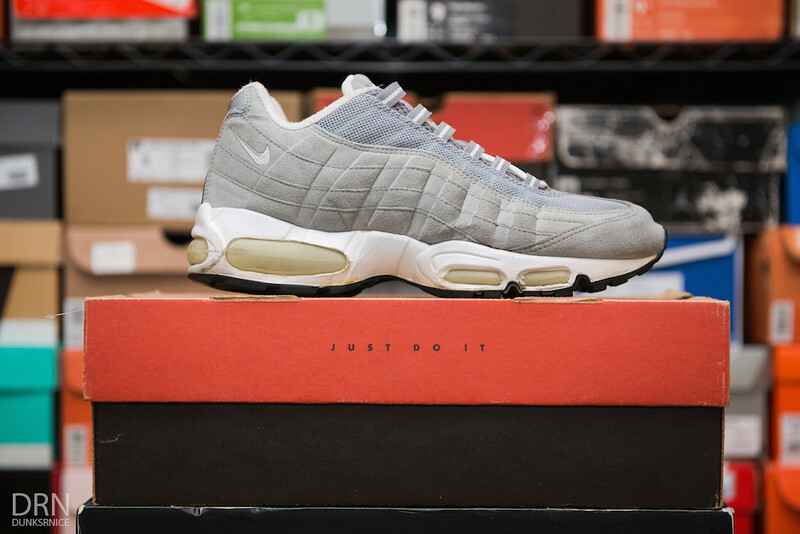 1999 Grey & White AM95's. 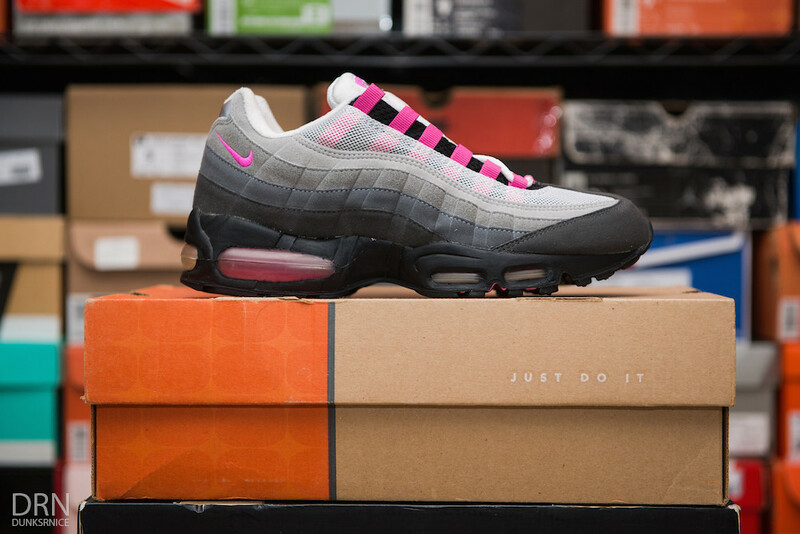 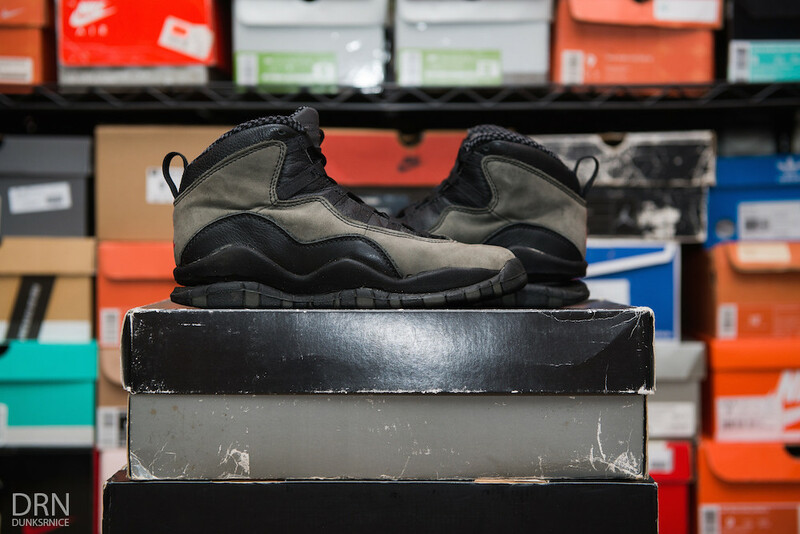 1999 Obsidian & Orange AM95. 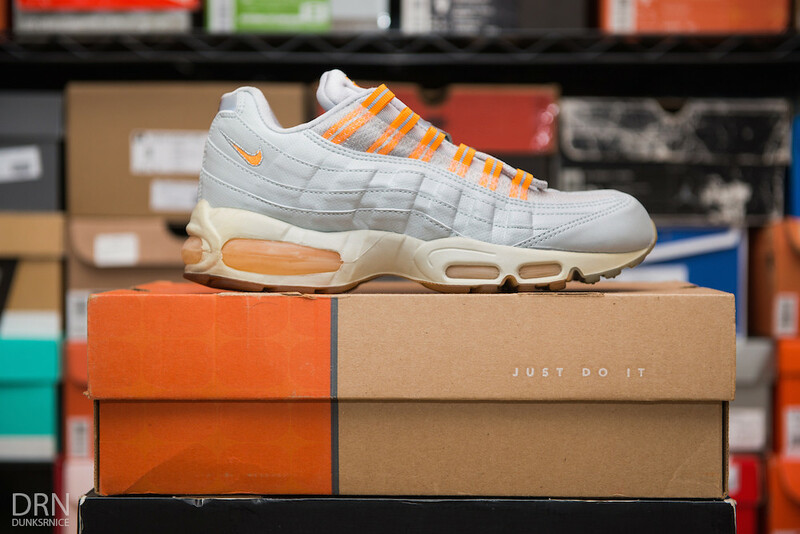 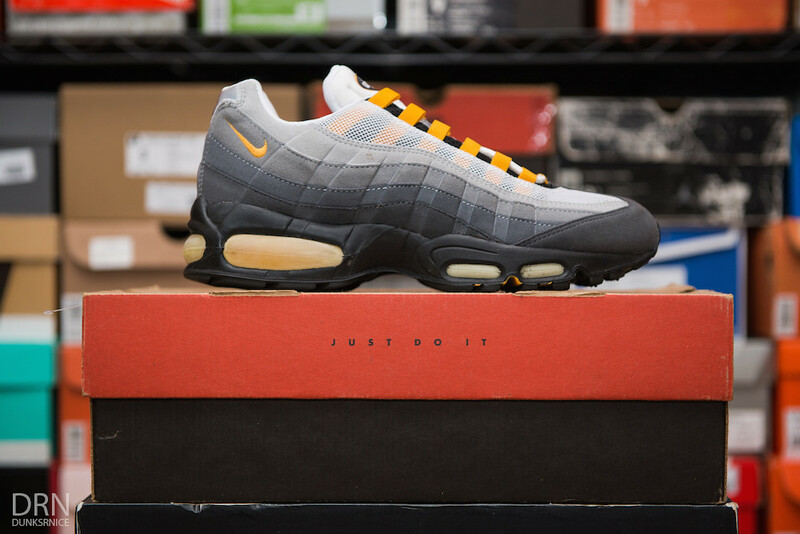 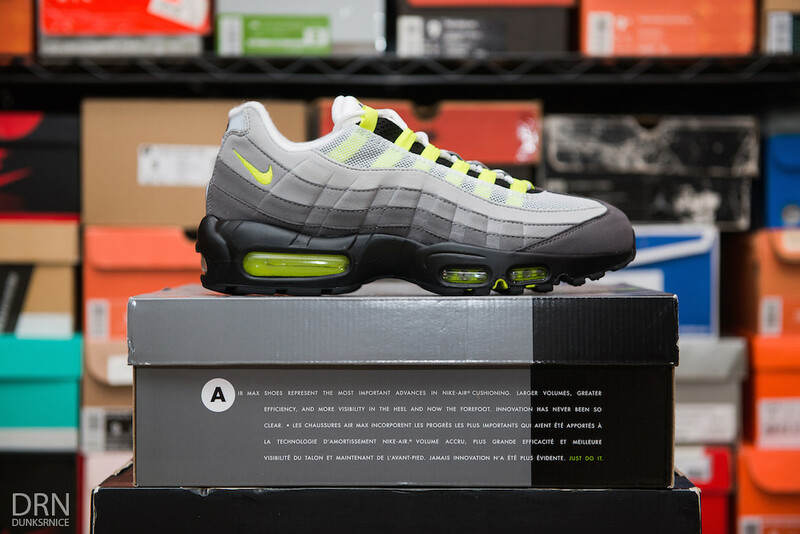 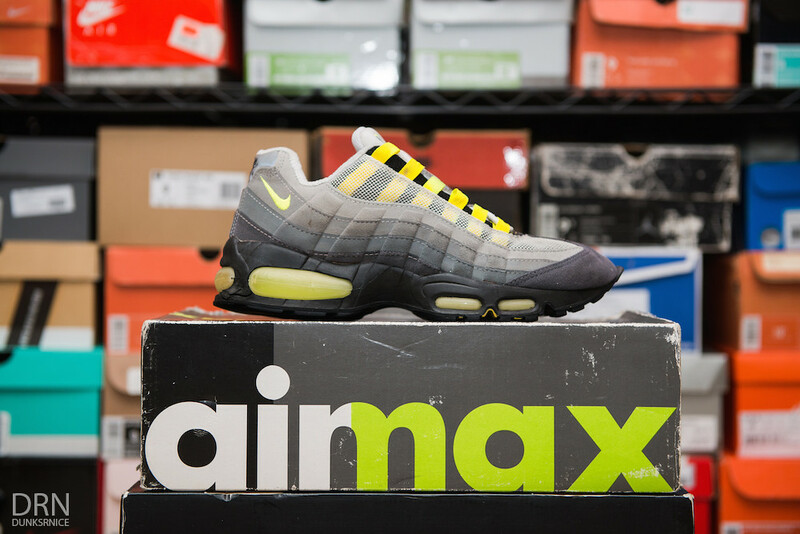 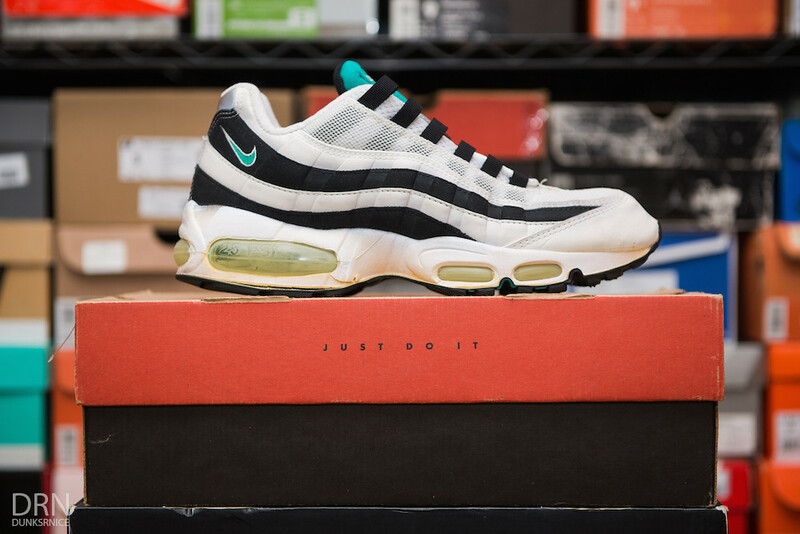 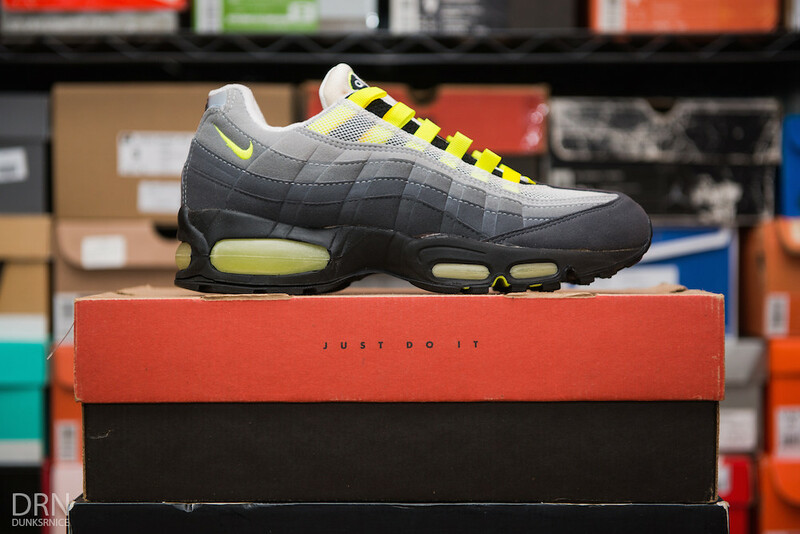 2001 Grey & Citrus AM95. 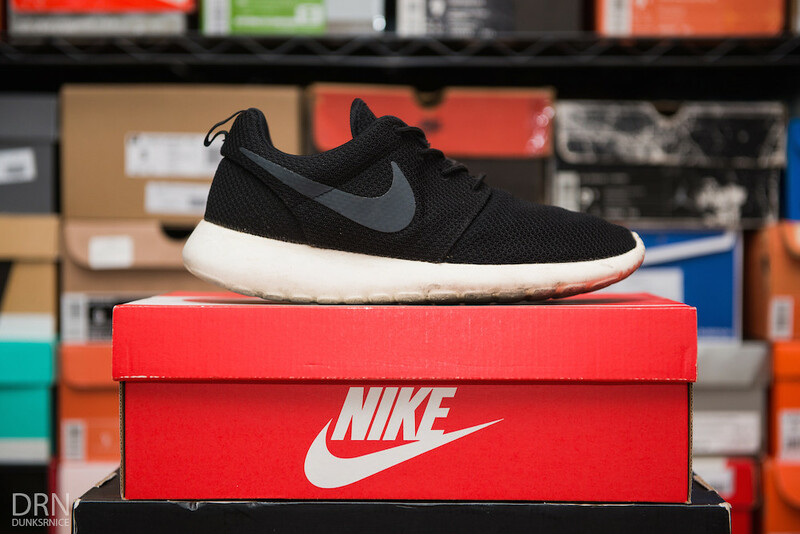 Black Roshe Runs. 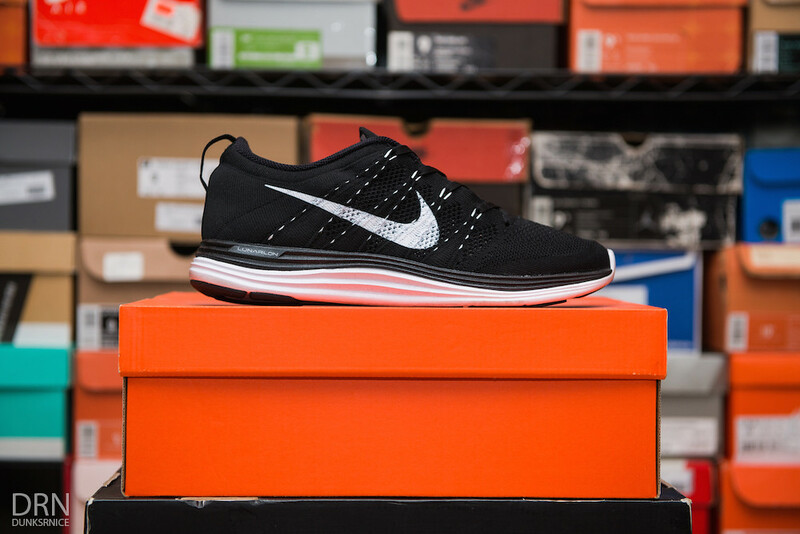 First Pair. 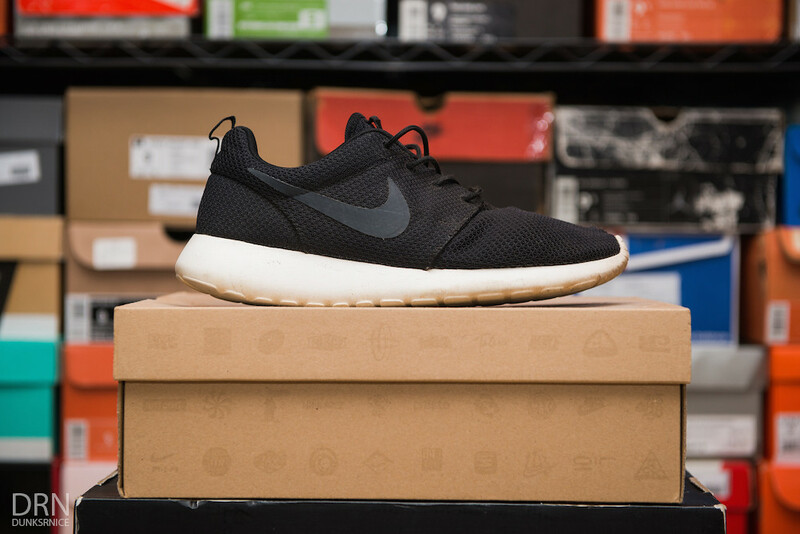 Black Roshe Runs. 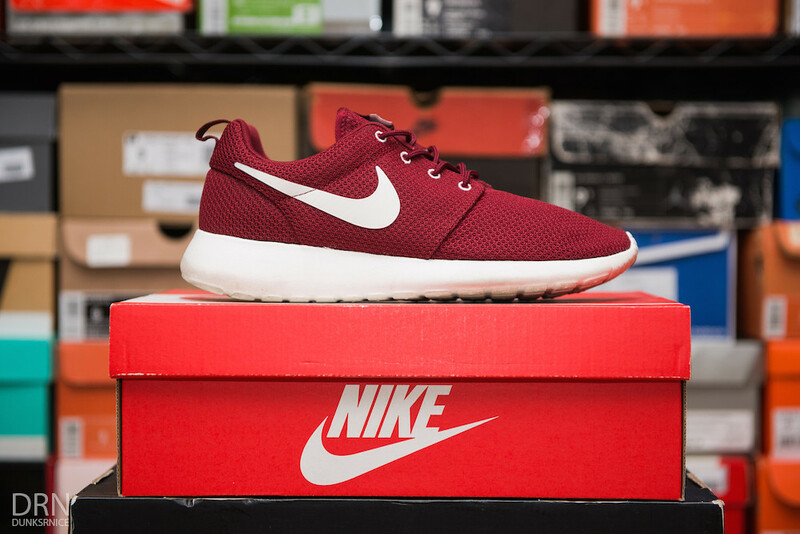 Second Pair. 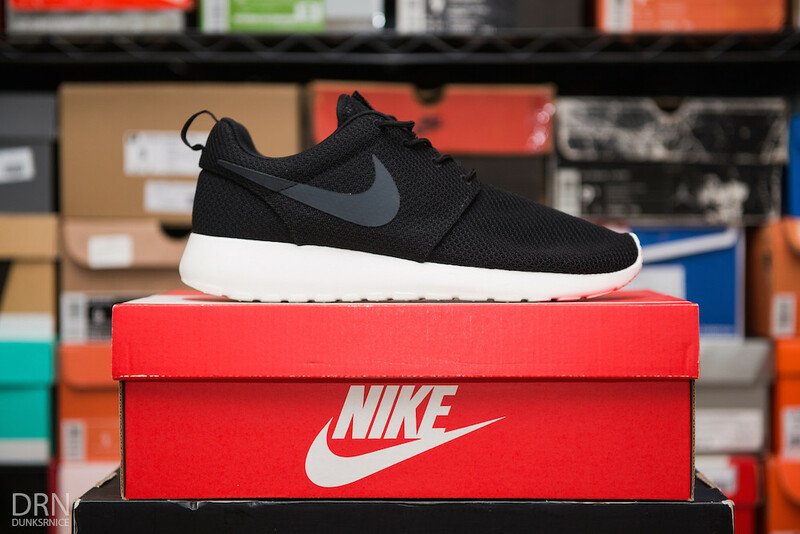 Black Roshe Runs. 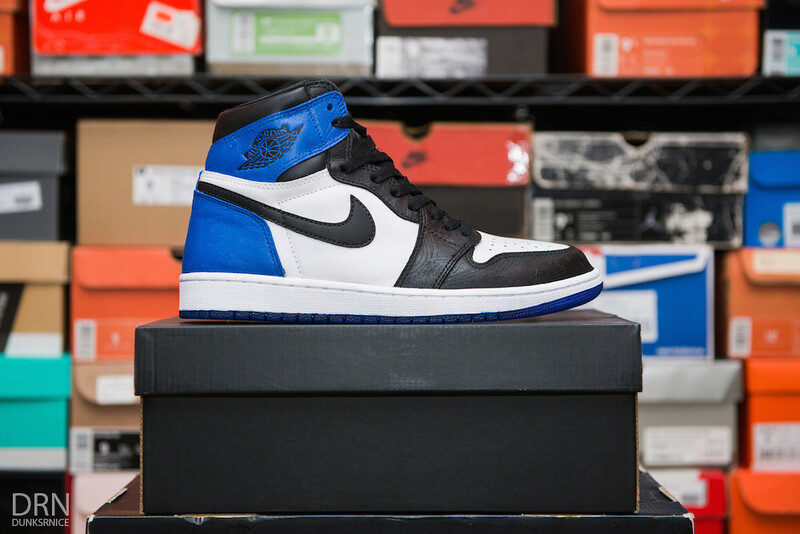 Third Pair. 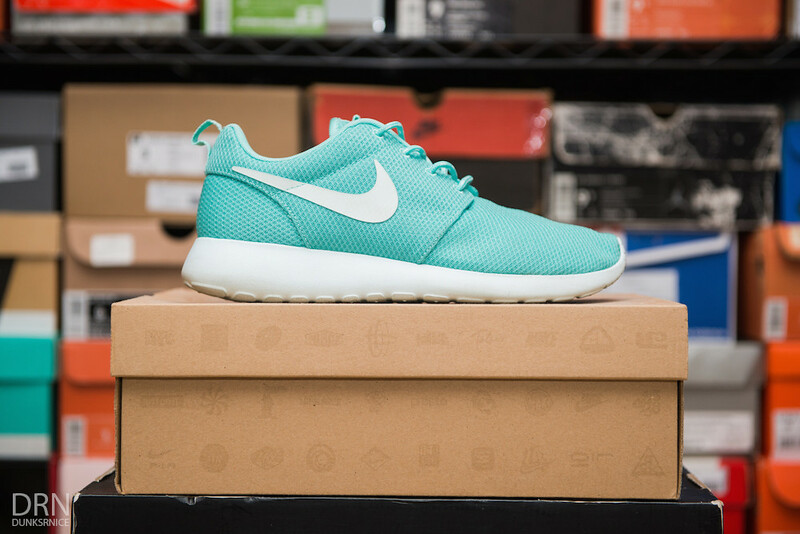 Teal & White Roshe Runs. Women's White & Black Speckled Roshe Runs. Black Tiger Camo Roshe Runs. 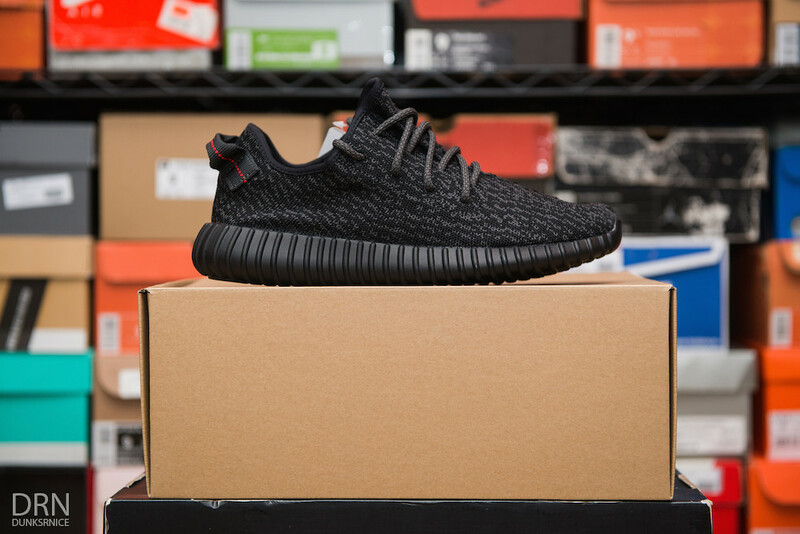 Black Yeezy 350 Boost Lows. 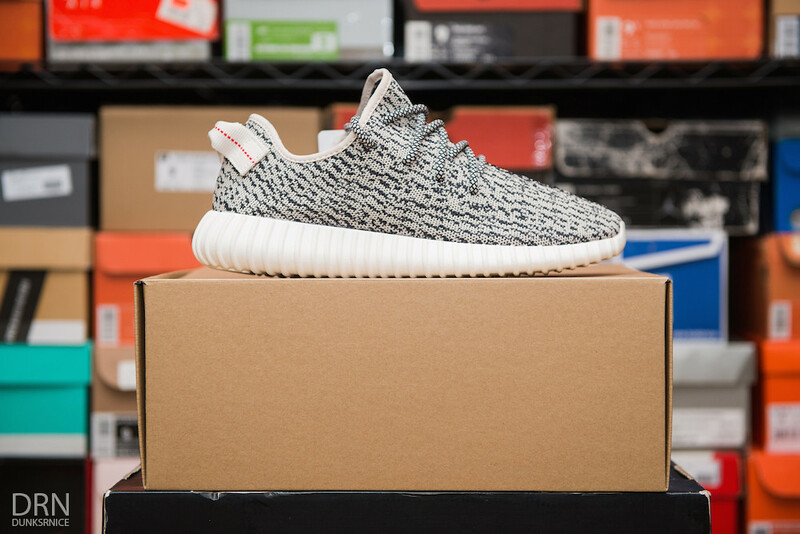 White & Grey Yeezy 350 Boost Lows. 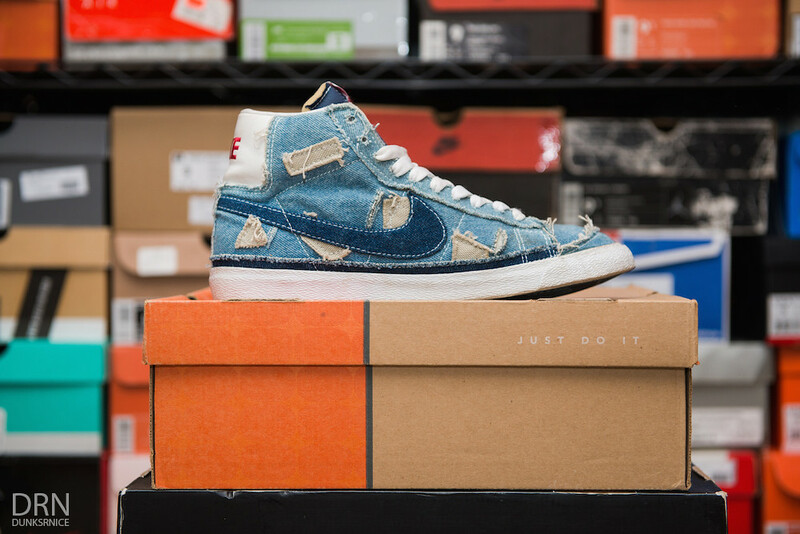 Womans Co.Jp Patchwork Denim Blazers. 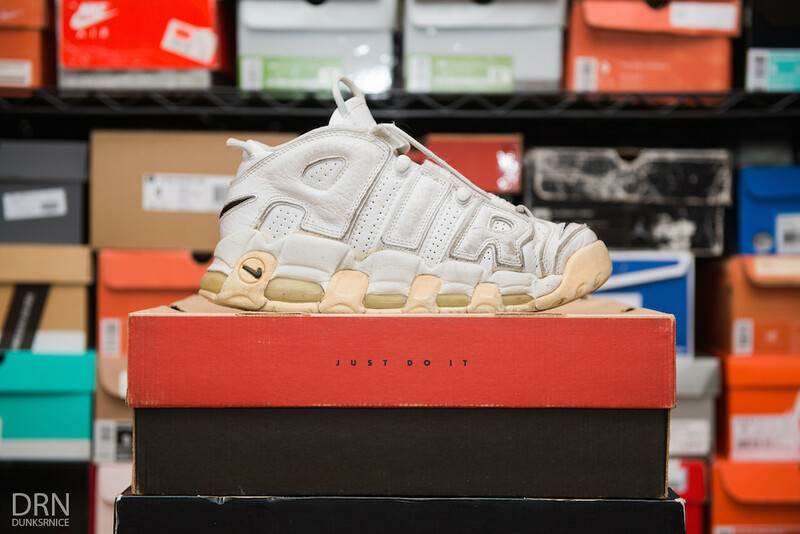 1996 White & Black Uptempo's. 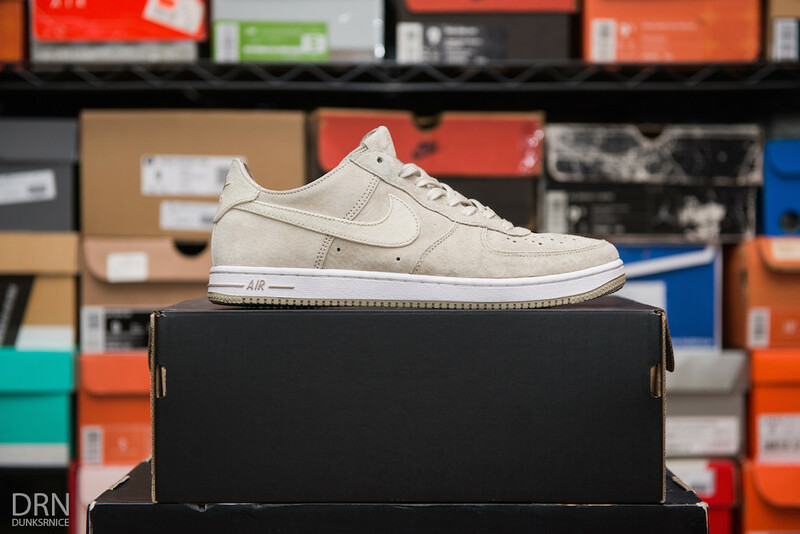 Women's Tan Air Force 1's. 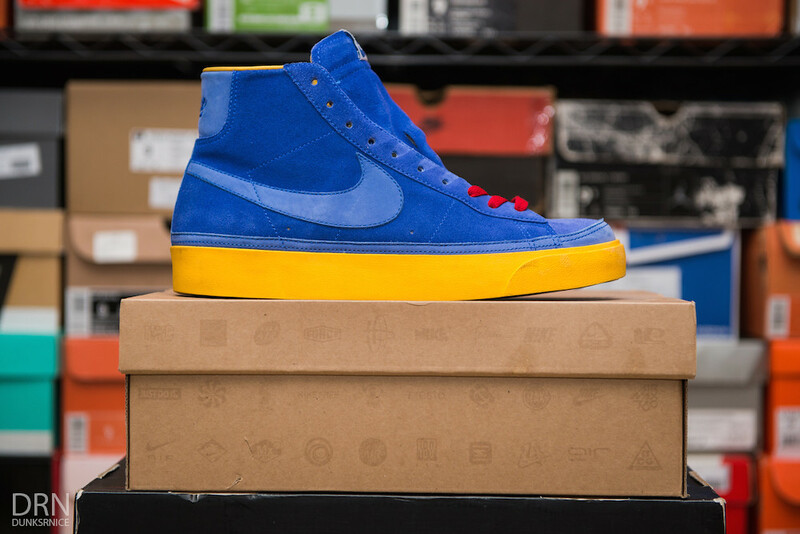 Blue & Yellow Blazer Samples. 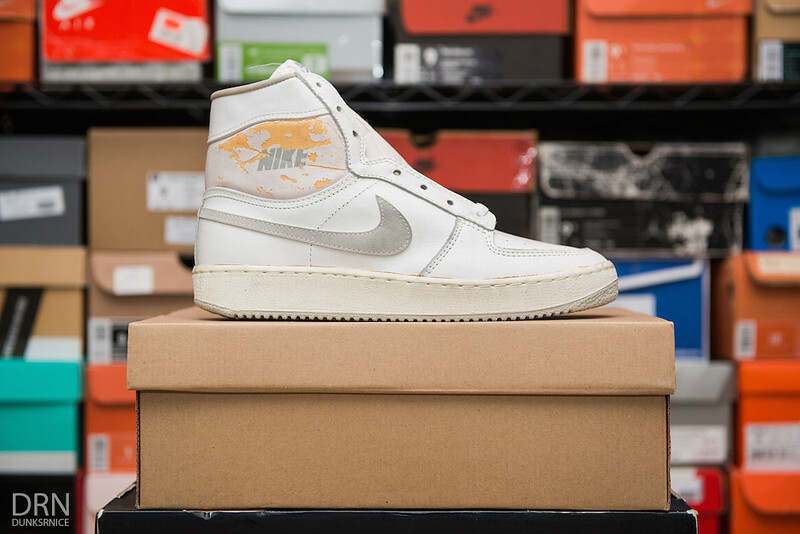 1984 White & Grey Sky Force.